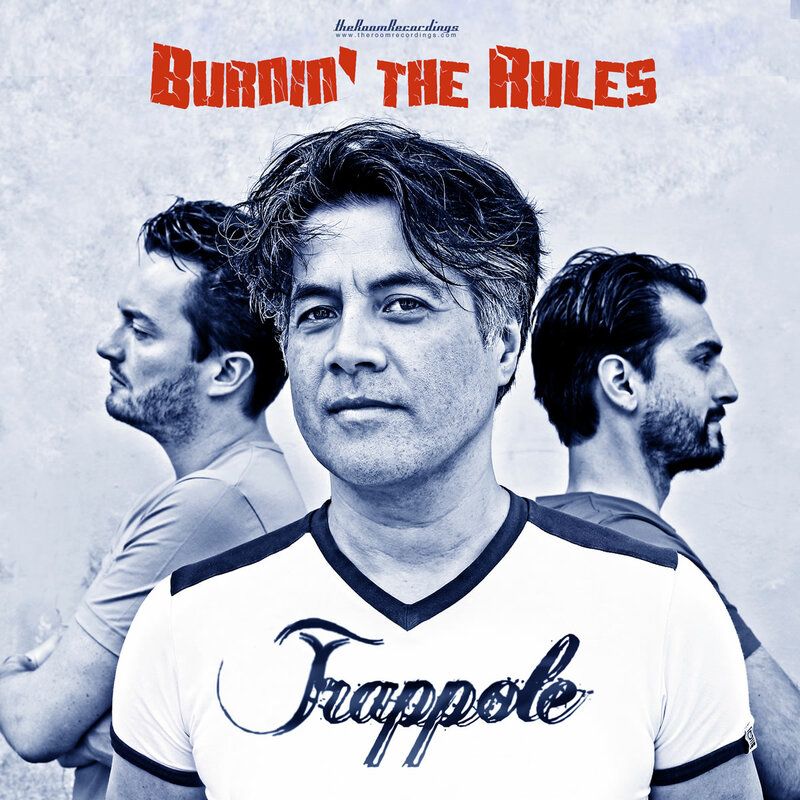 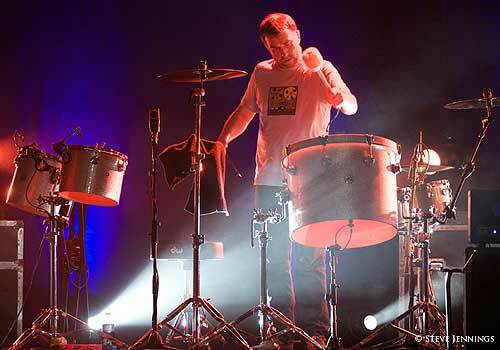 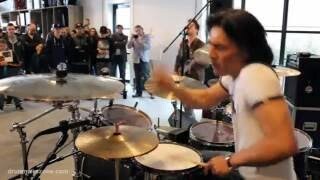 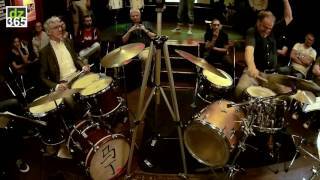 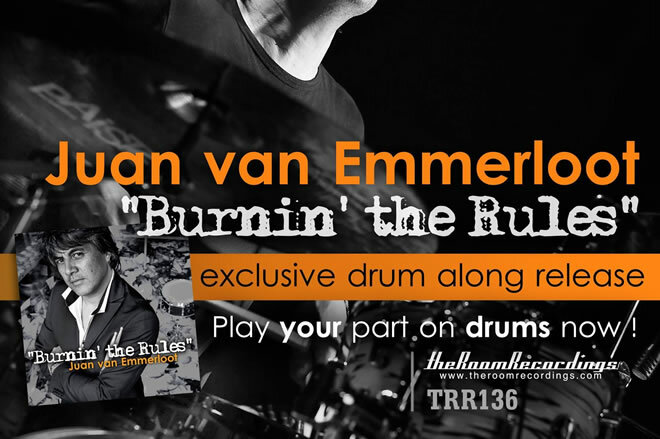 Juan van Emmerloot released his debut album Burnin' the Rules during the opening of his Drum Academy Beat Supplier. 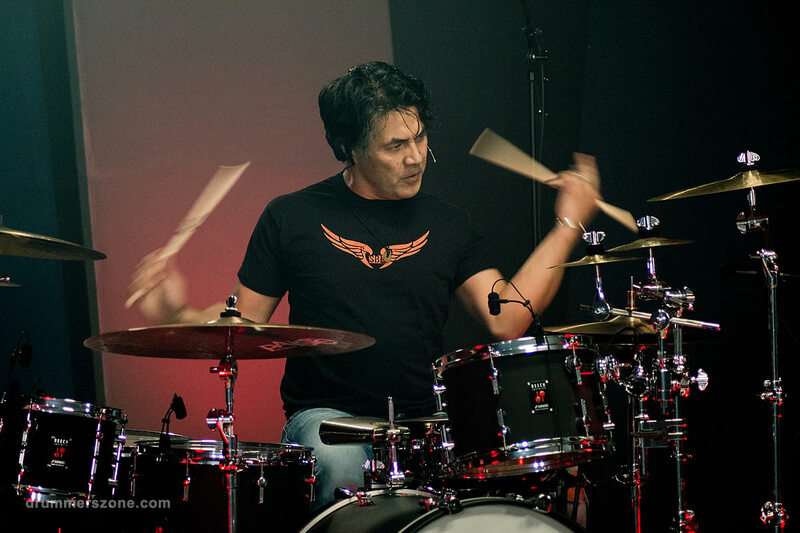 The record features international acclaimed artists like Stef Burns, Snowy White, John "Rabbit" Bundrick and percussionist Martin Verdonk. 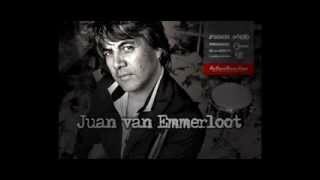 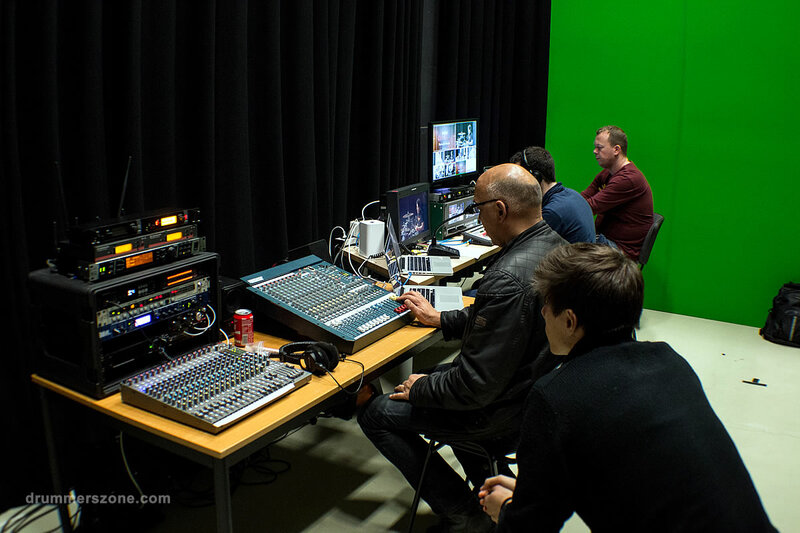 All audio files are mixed by Juan van Emmerloot. 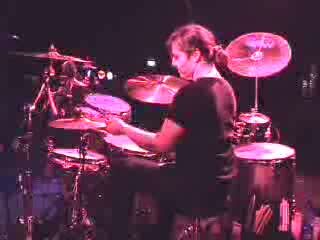 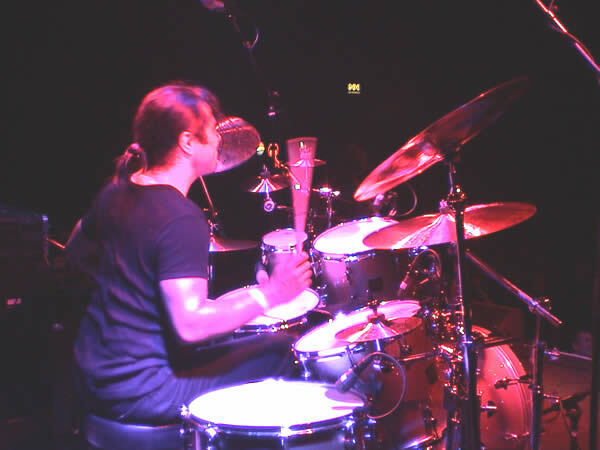 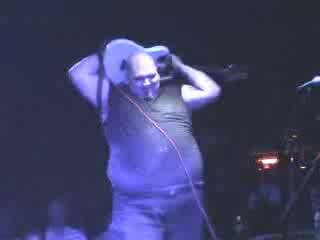 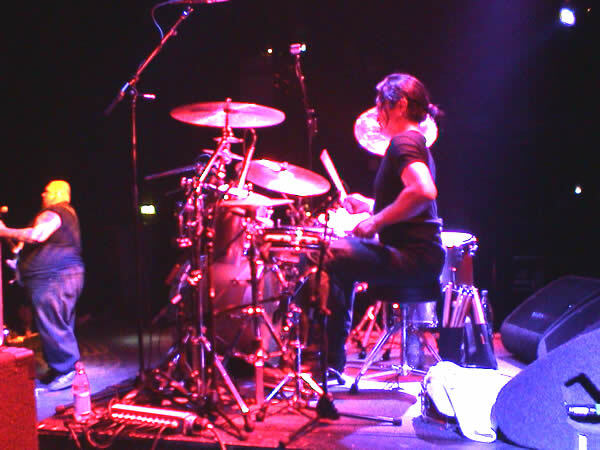 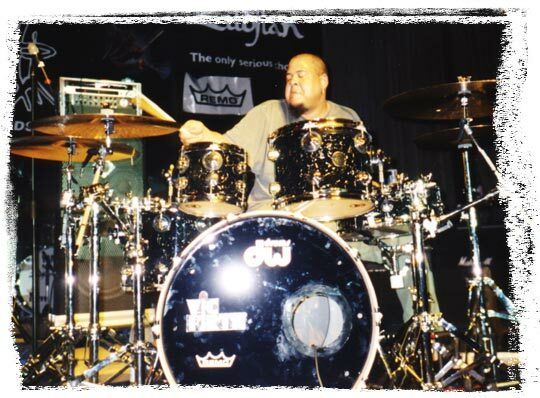 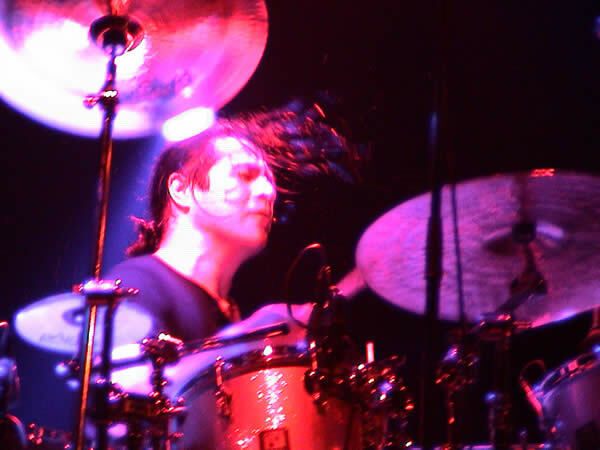 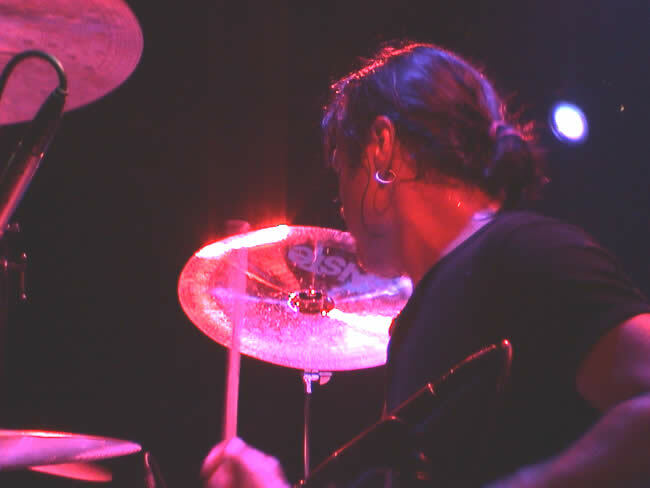 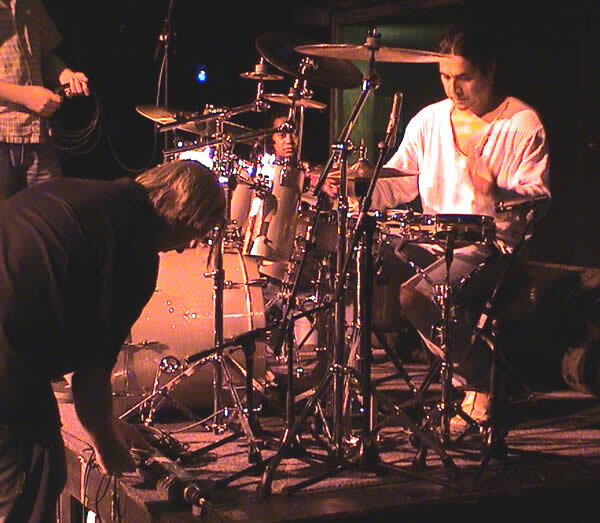 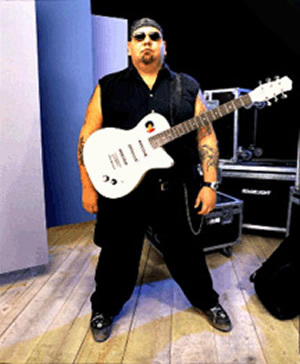 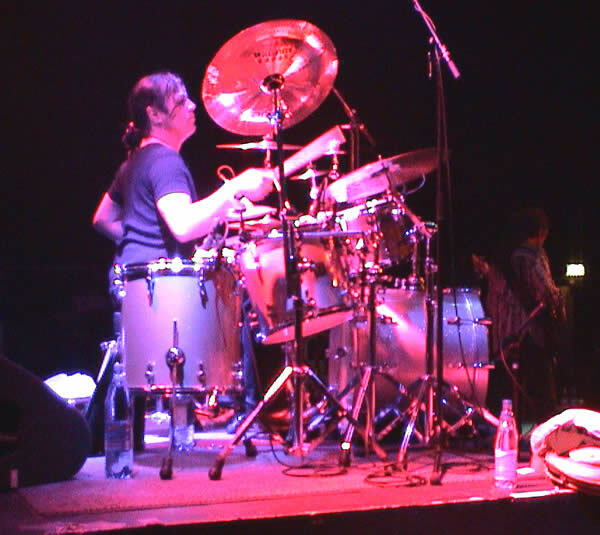 Juan on tour with Popa Chubby during his 'Popa Chubby plays Jimi Hendrix'. 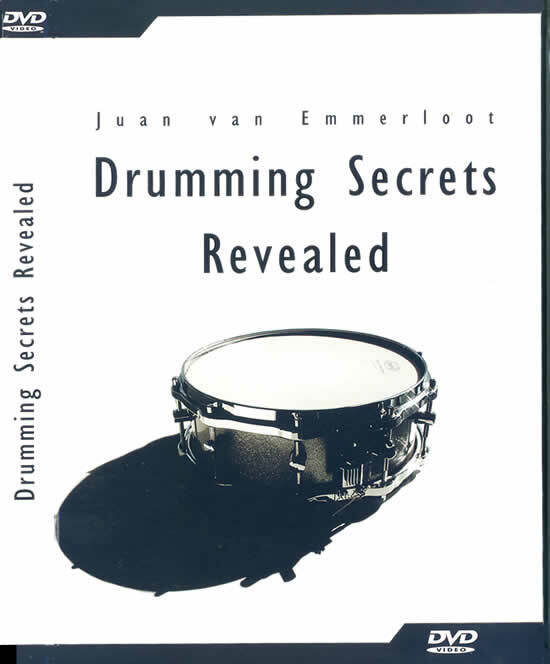 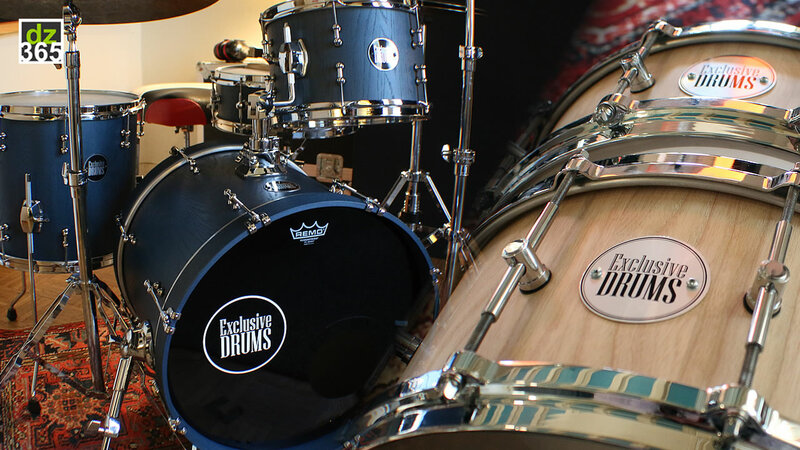 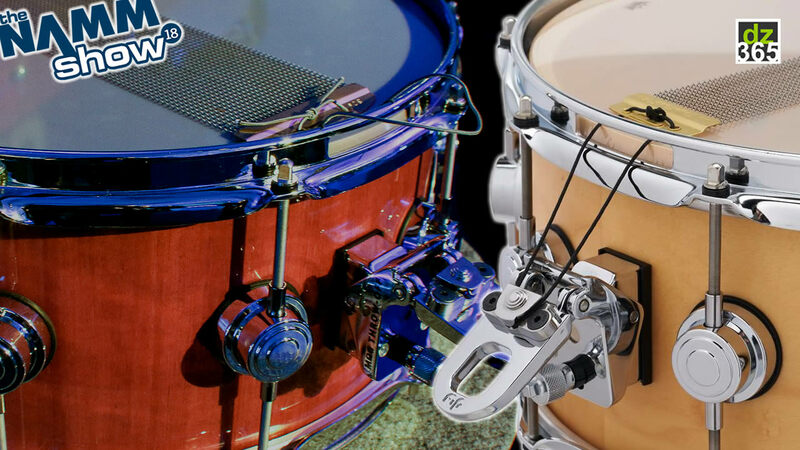 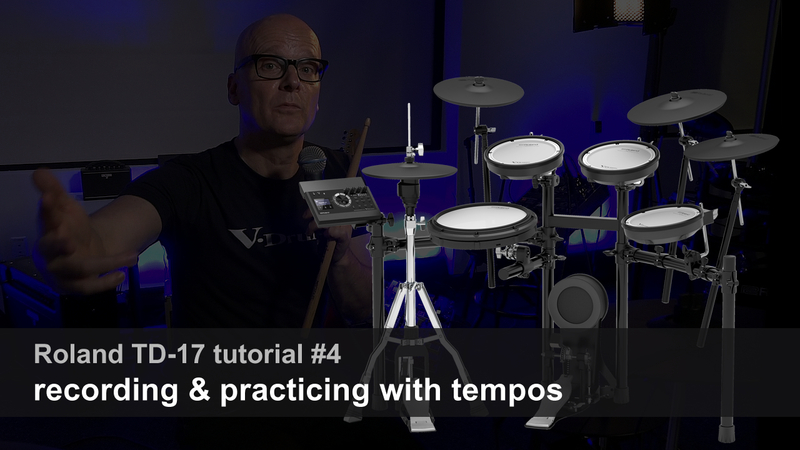 'Drumming Secrets Revealed' will show: how you too can be playing even better drums than ever before. 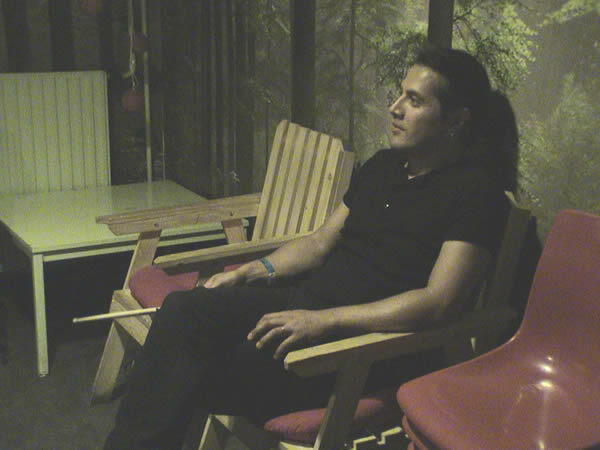 It will teach you the knowledge, basic tricks and capabilities, in fraction of the time it took Juan to reach this level. 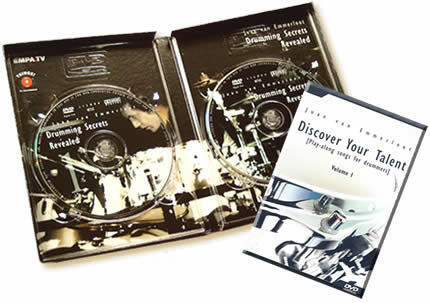 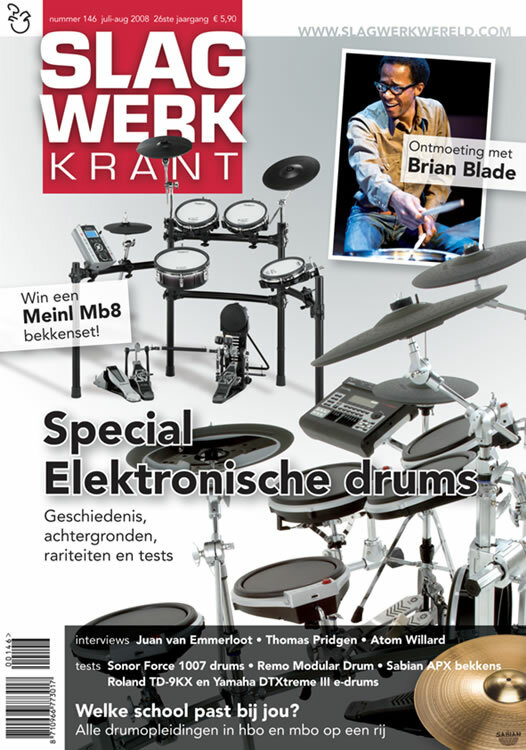 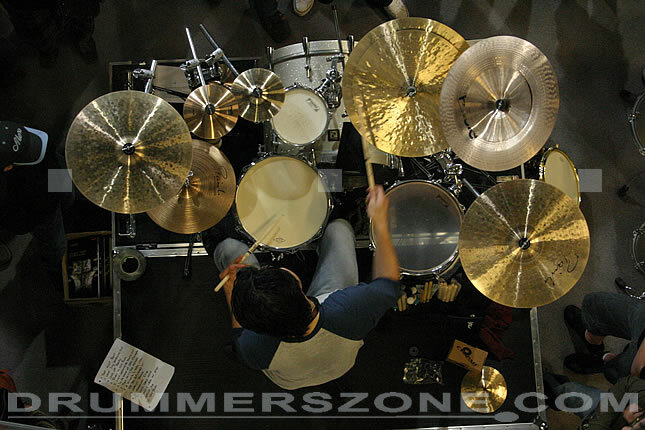 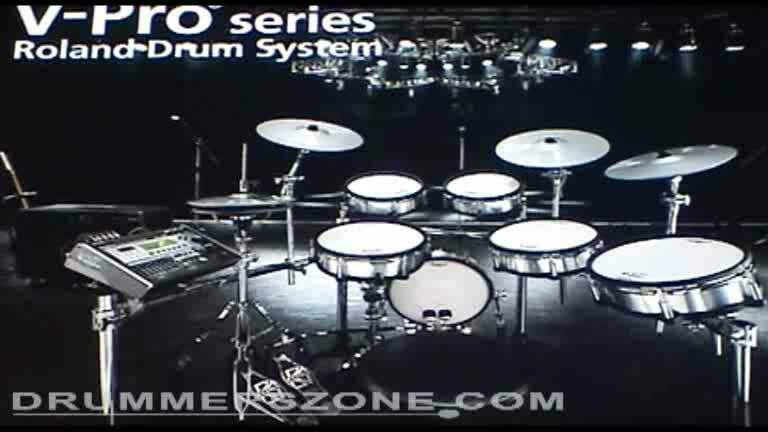 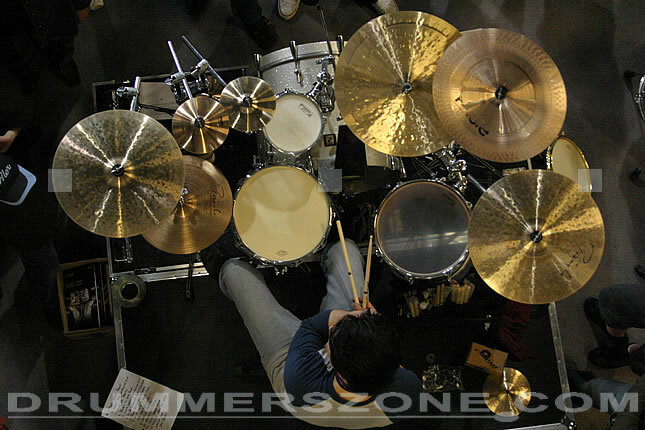 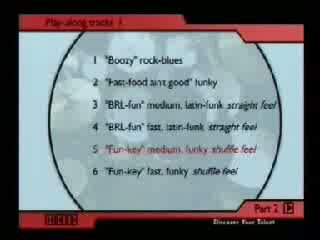 On this DVD you will find material that equals four years of intensive drumminglessons. 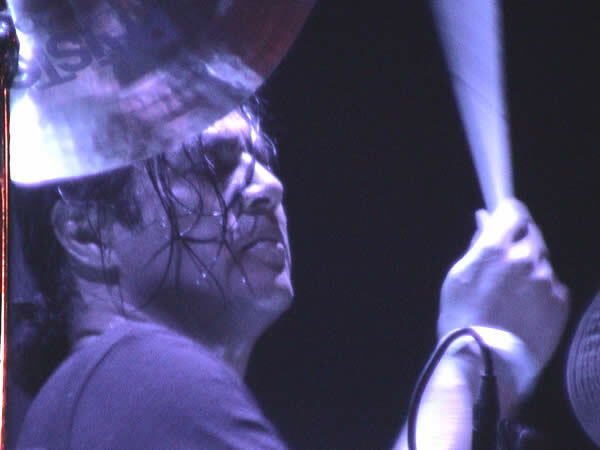 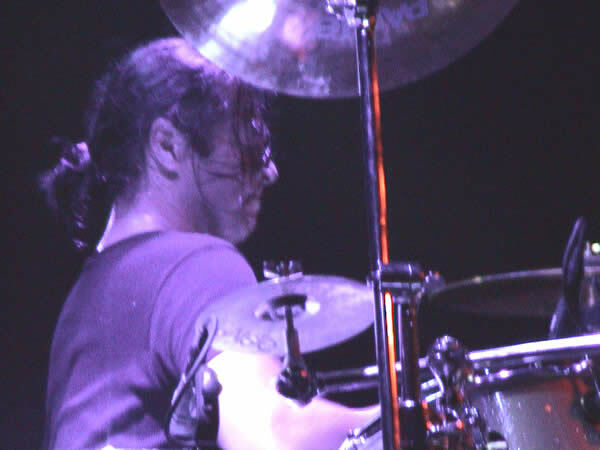 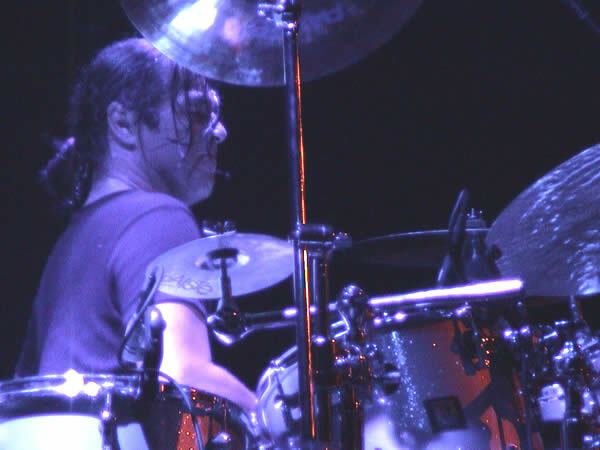 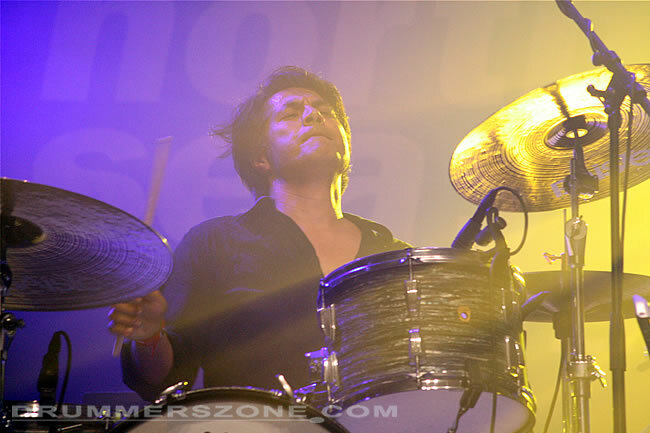 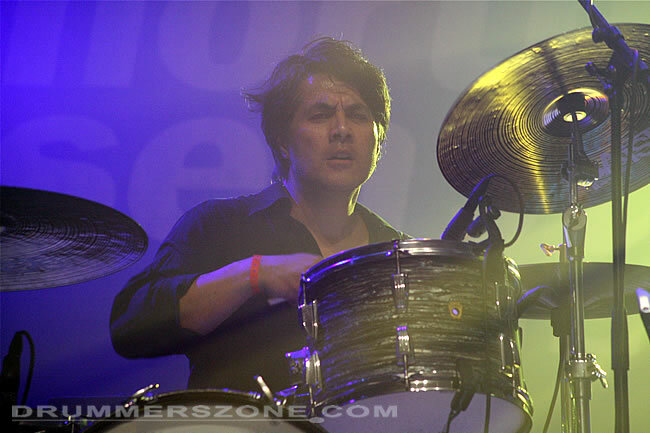 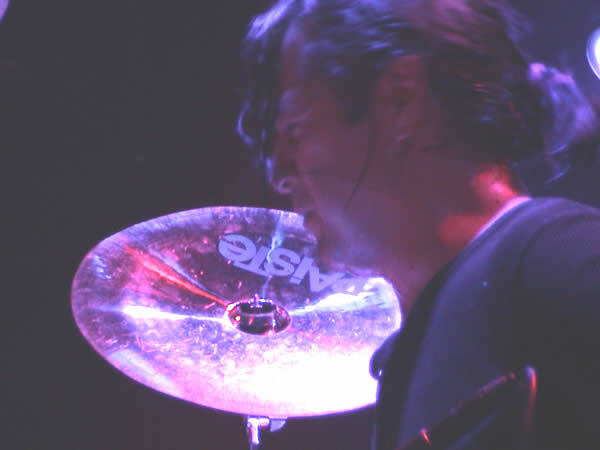 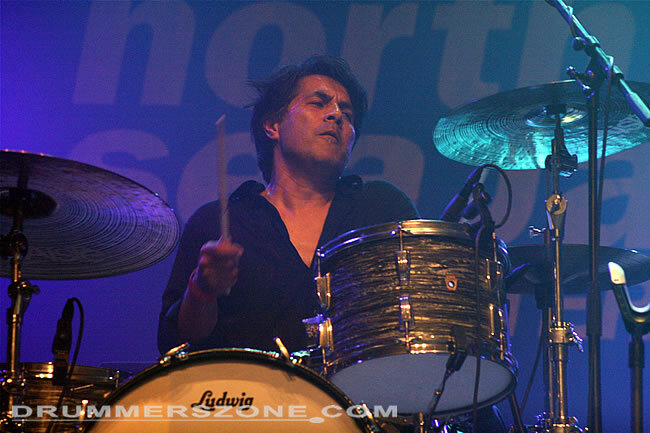 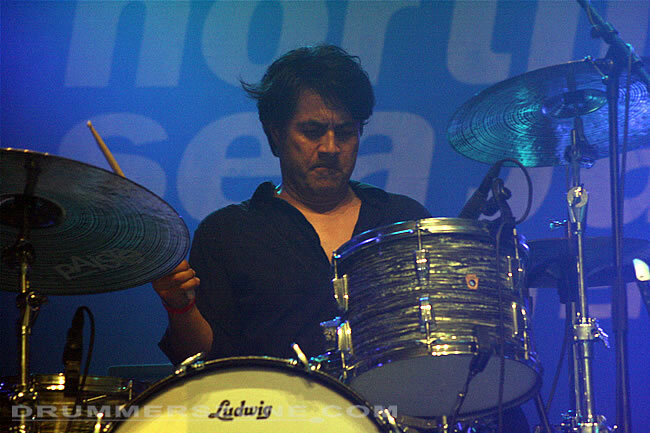 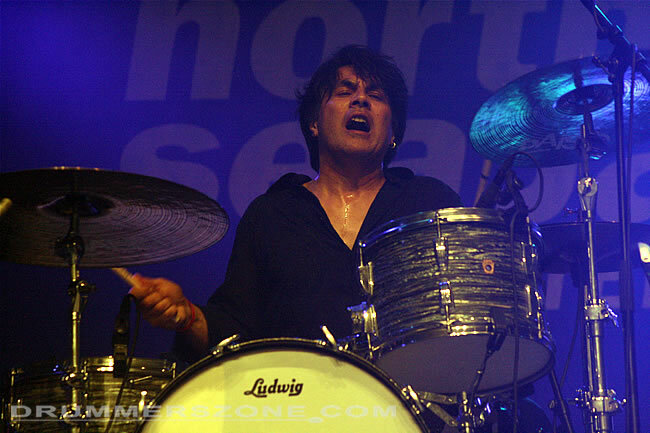 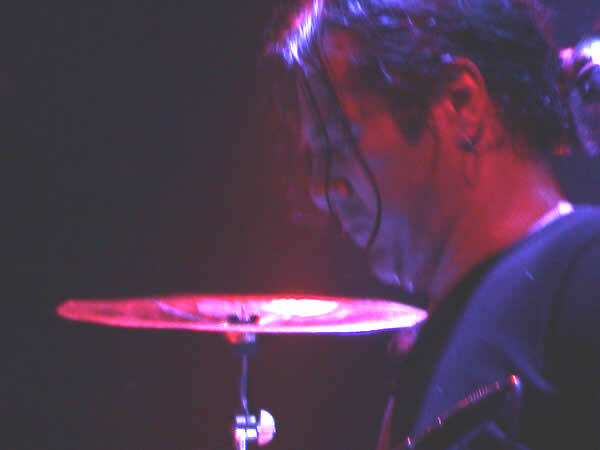 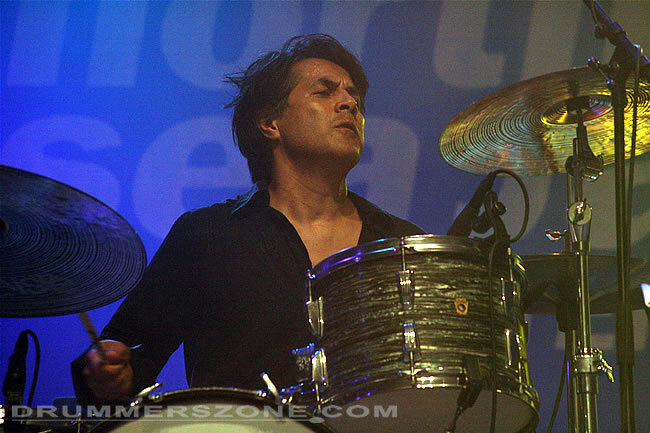 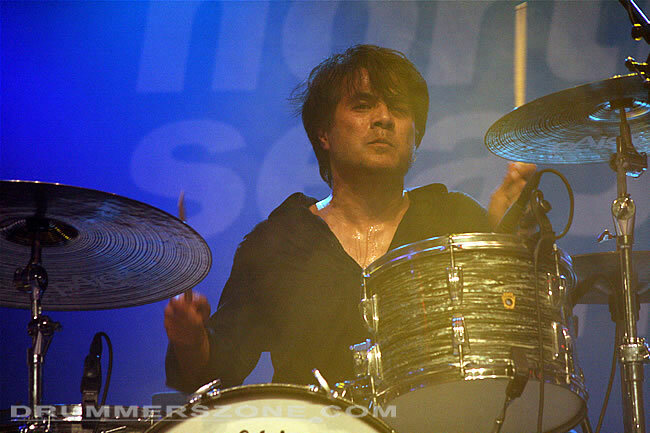 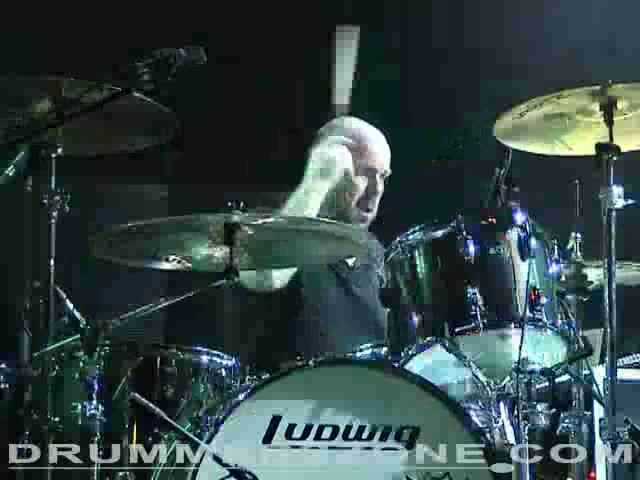 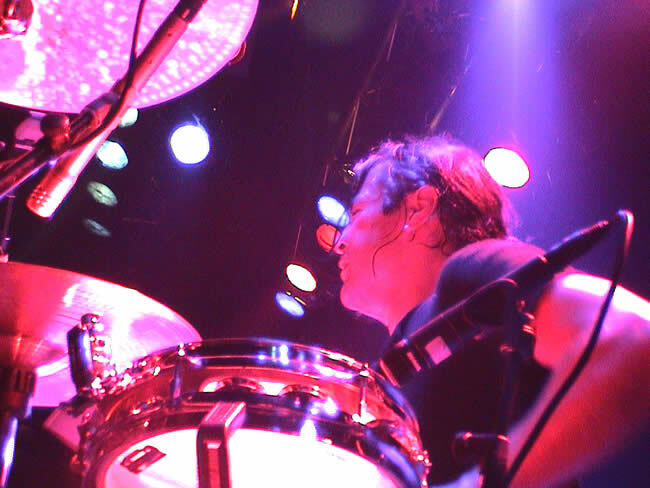 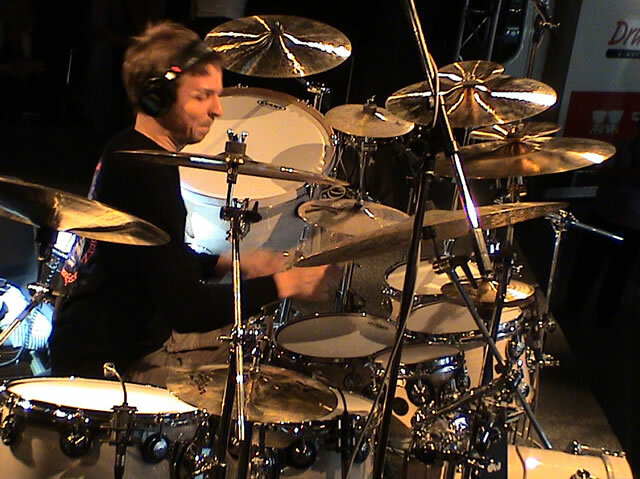 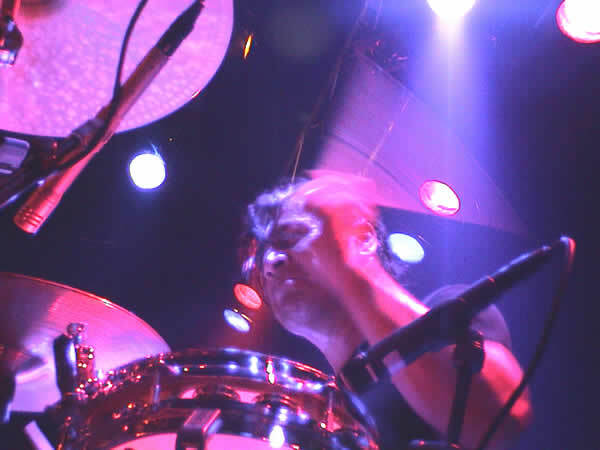 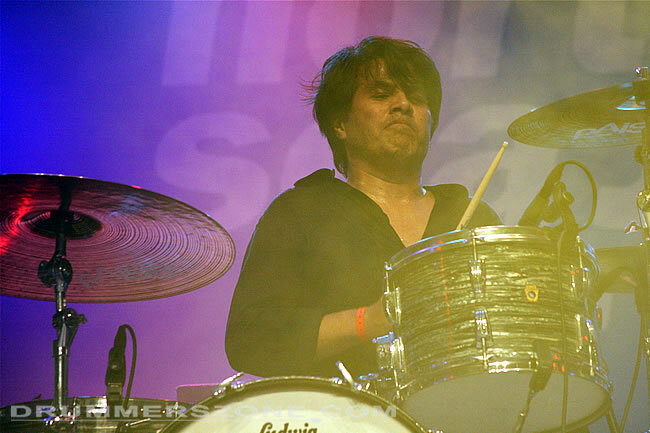 Juan van Emmerloot performing at the Adams Drumworld festival, September 14, 2014. 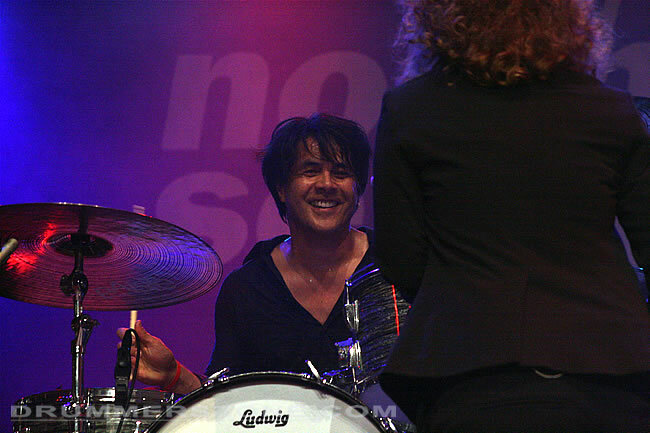 Juan performing with singer Waylon on Maas-stage. 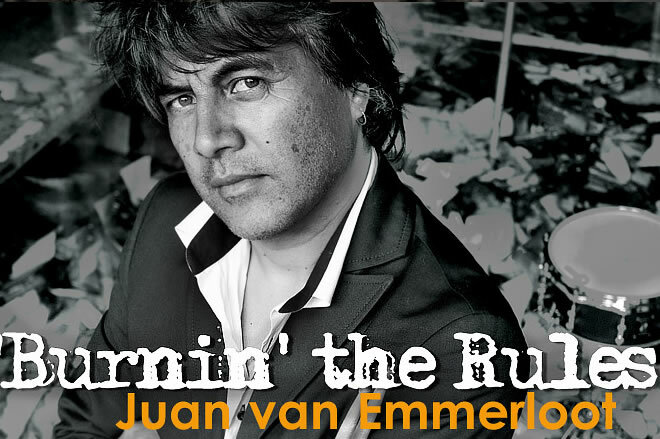 Time moves on....Juan: "and so I got a chance to play with a new artist (singer composer) from the Netherlands called WAYLON. 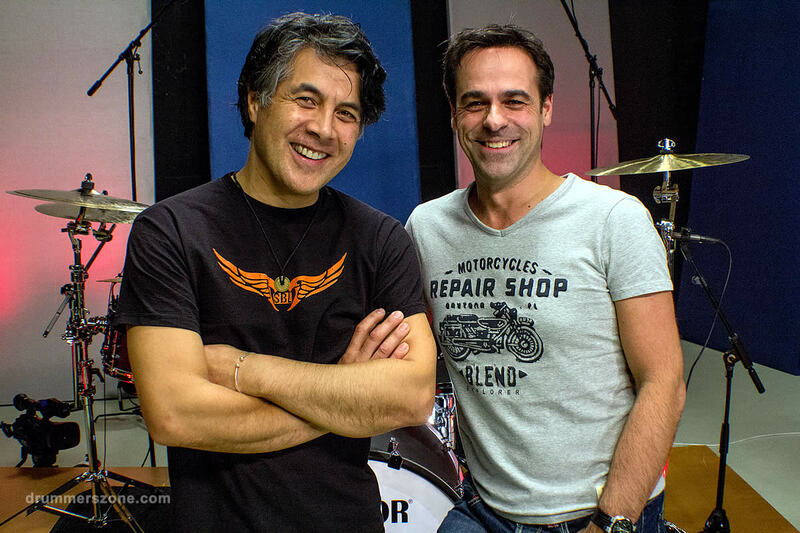 An absolutely well talented performer with a fantastic voice and a great guy to work with! 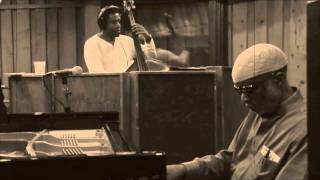 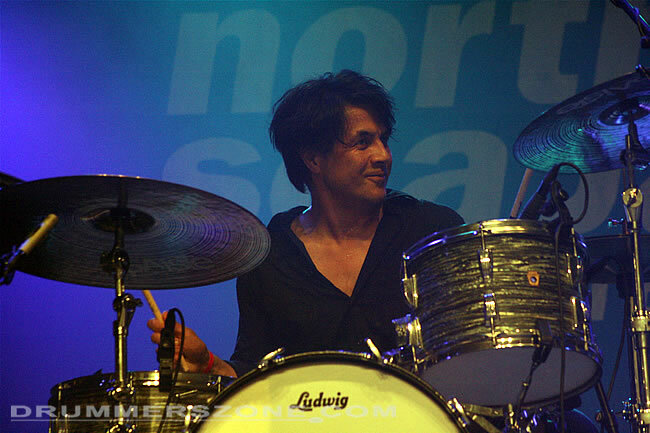 I had the honor to step in his band for 5 concerts of which one of them was at the North Sea Jazz Festival. 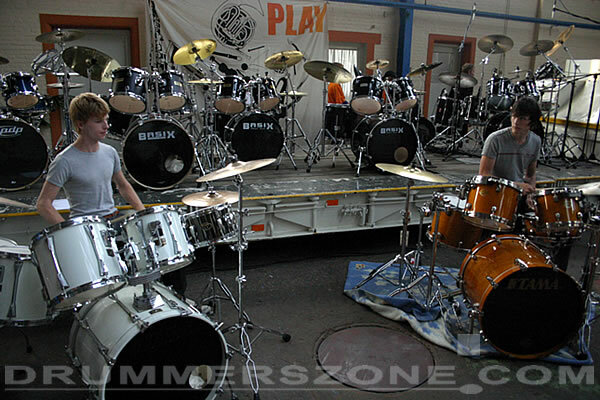 I always wanted to play there, so this was a more than pleasant occasion! 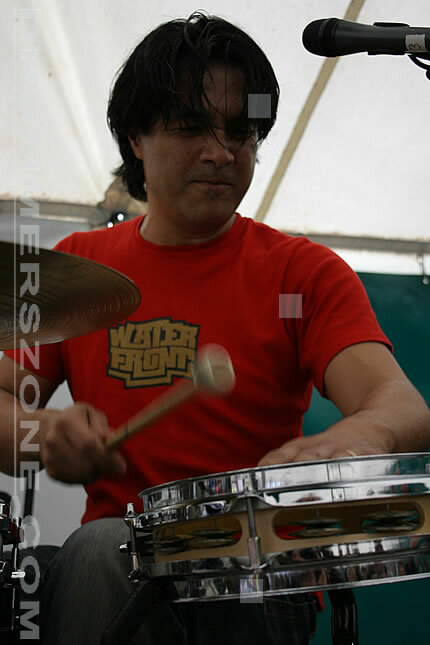 Todays band: Juan is a steady band member of the SBG (Stef Burns Group). 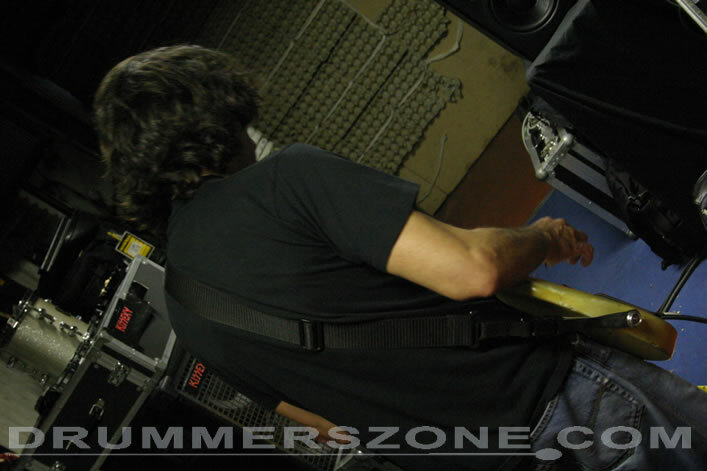 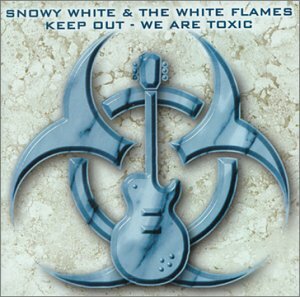 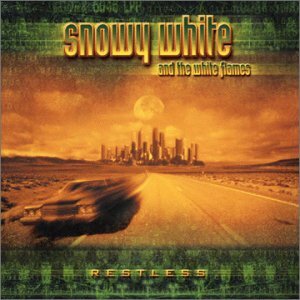 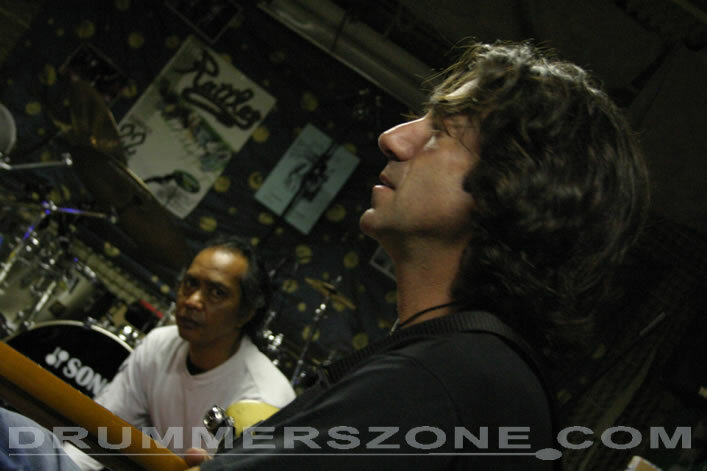 Their music has evolved from instrumental guitar fusion to modern Rock songs. 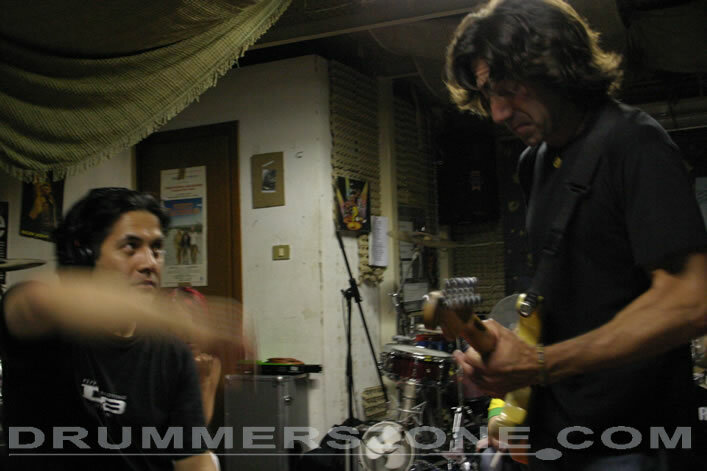 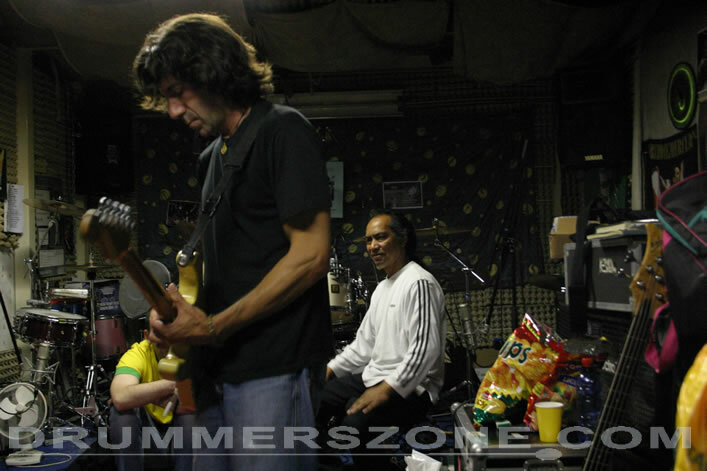 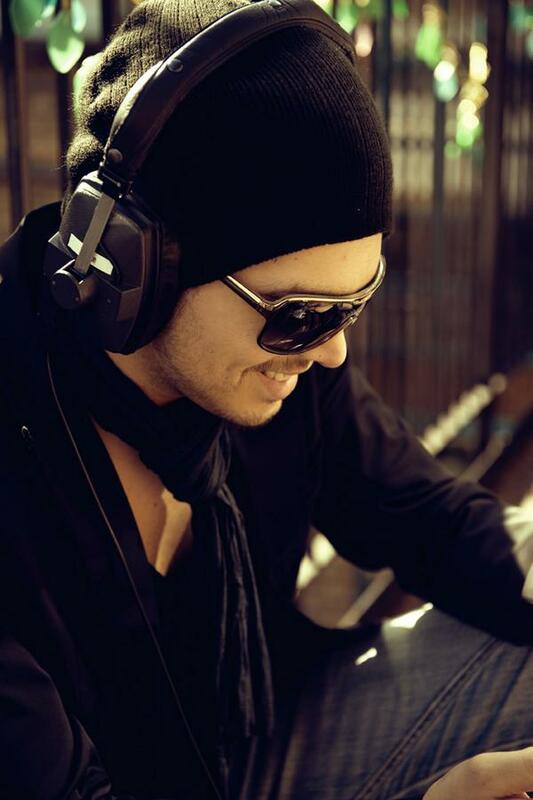 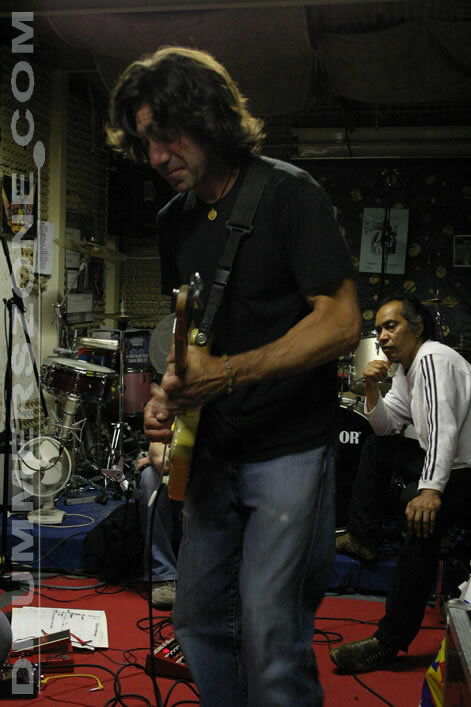 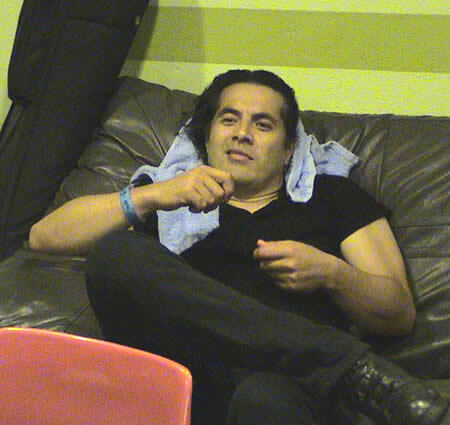 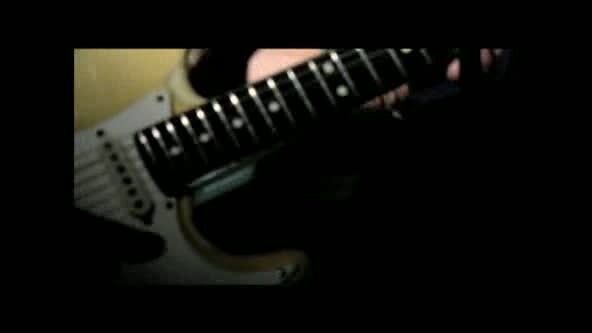 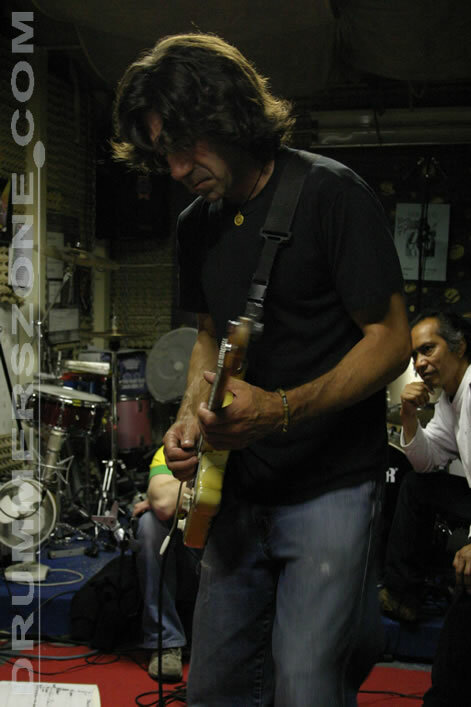 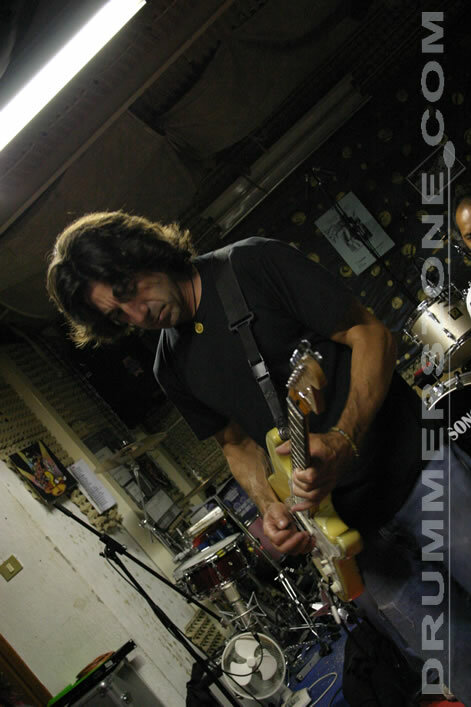 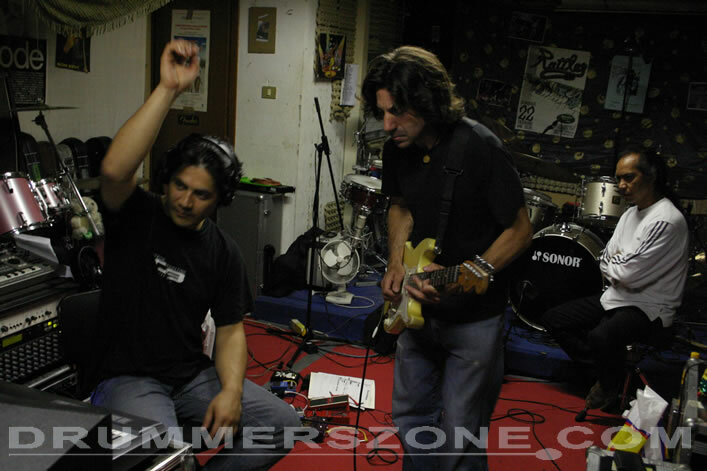 Juan: "At the moment we are working on finishing this great album which is to be released in autumn 2012. 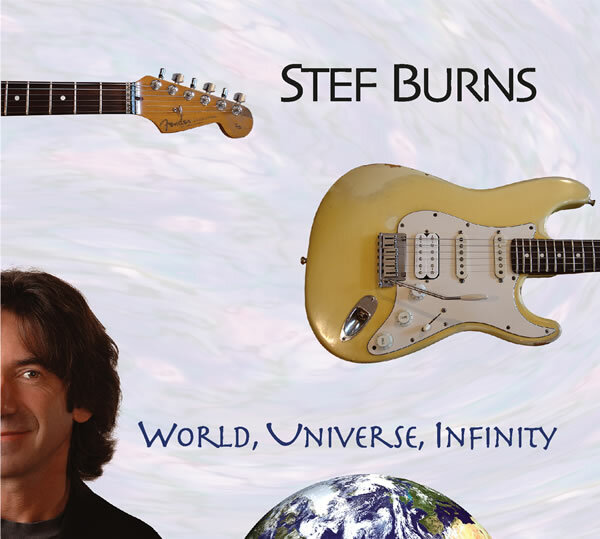 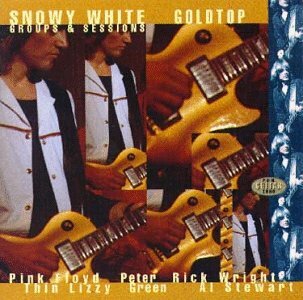 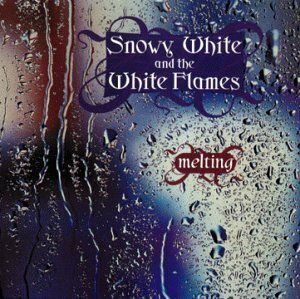 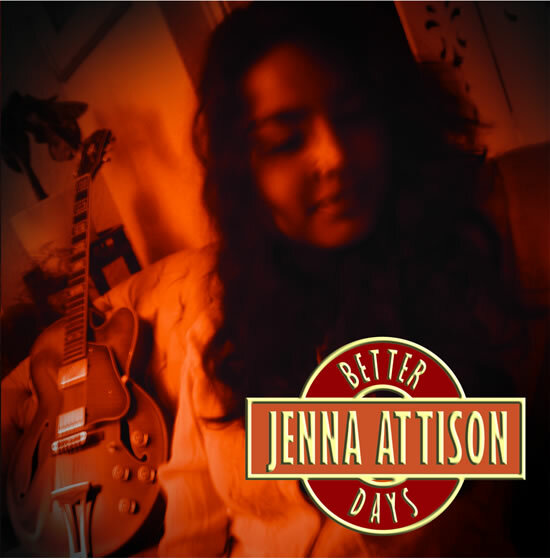 To me it sounds like the BEST CD album I have ever done!" 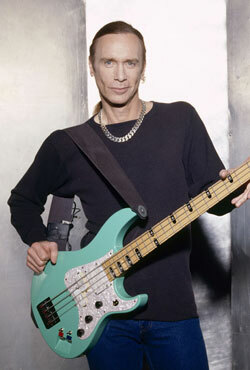 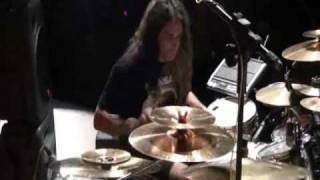 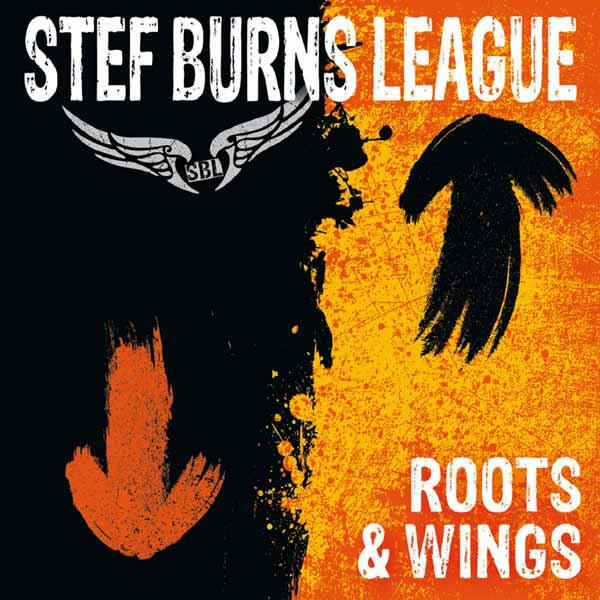 Tour Project April 2012 Billy Sheehan, Stef Burns and Juan decide to join forces and do a tour in Italy. 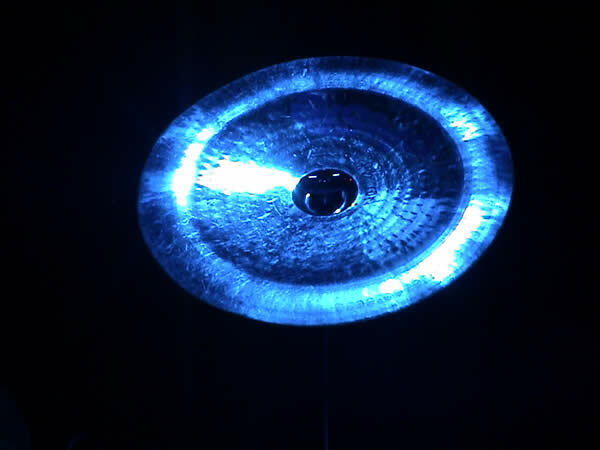 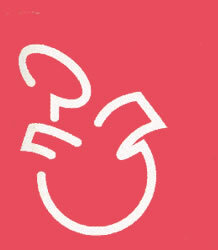 The project's name is called: "POWER OF3". 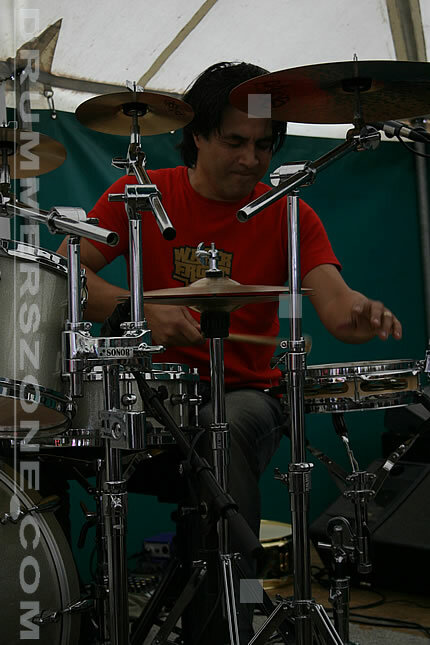 Music & Art Juan also started a project together with WMDC in Rotterdam called:"Stand Up Music". 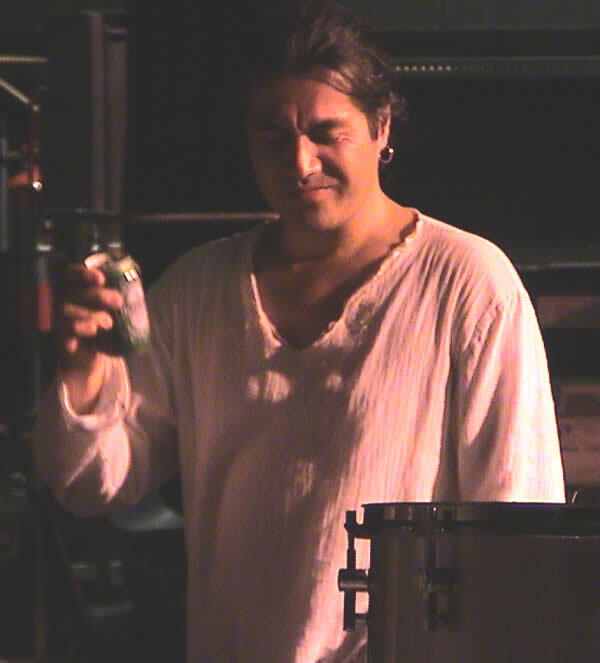 In this project Juan invites great artists from any music and culture direction to join in on a performance that he calles a 'music journey'. 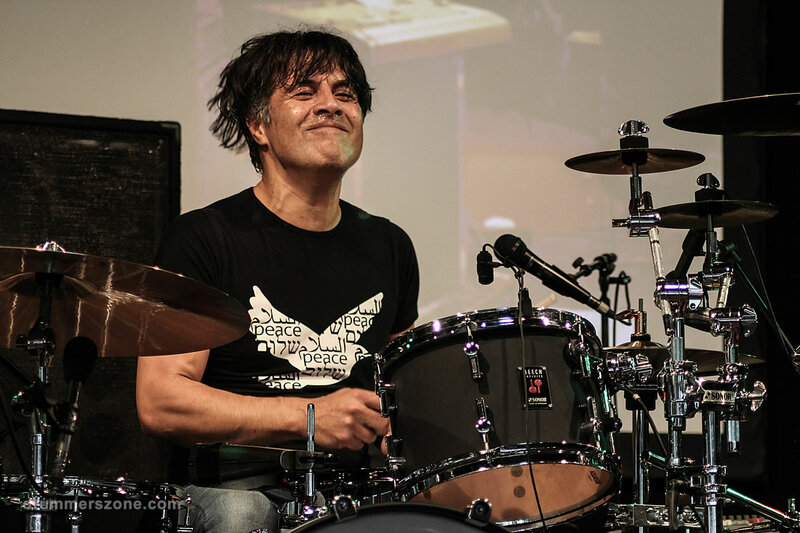 During the pilot concert you experience what happens if you put Niti Ranjan Biswas (tabla & Indian percussion), Ronald Kool (keys), Micha Molthoff (tango-violin) a rock drummer and a VJ together in one hall. 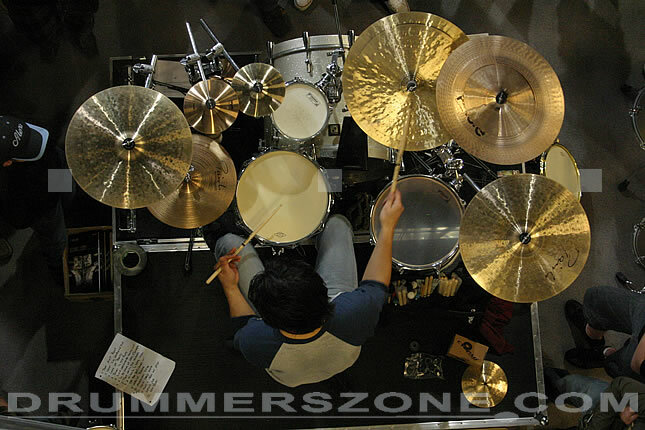 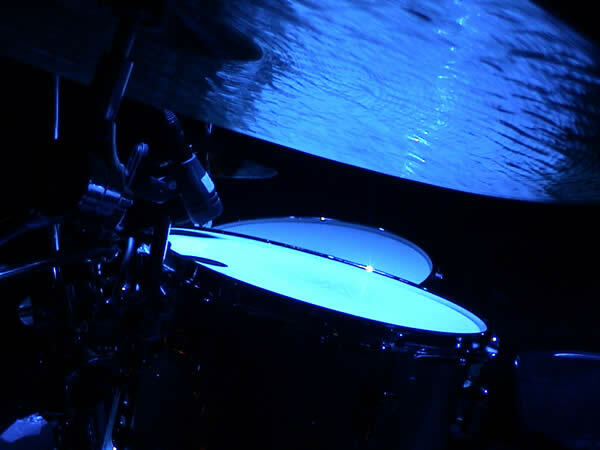 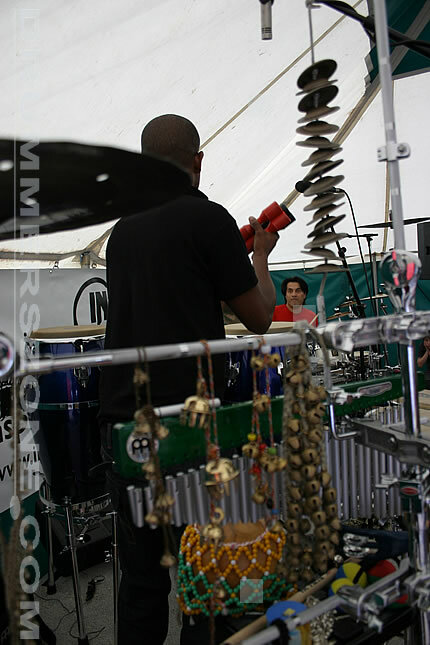 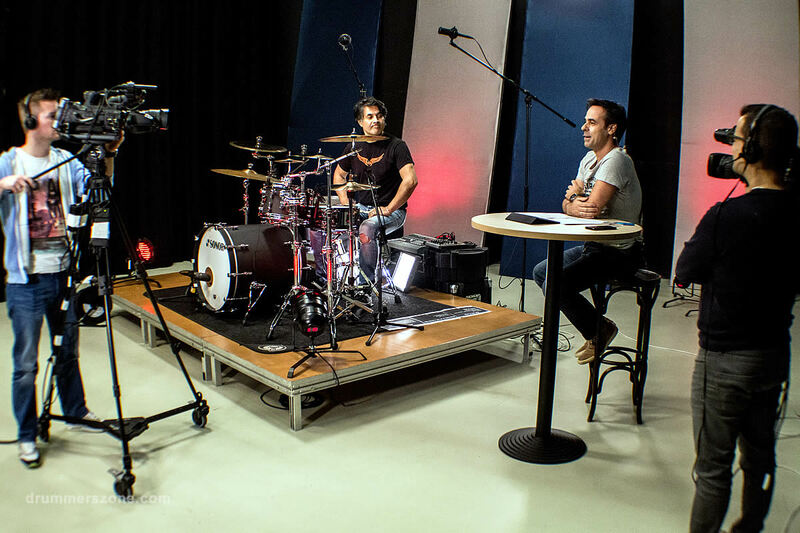 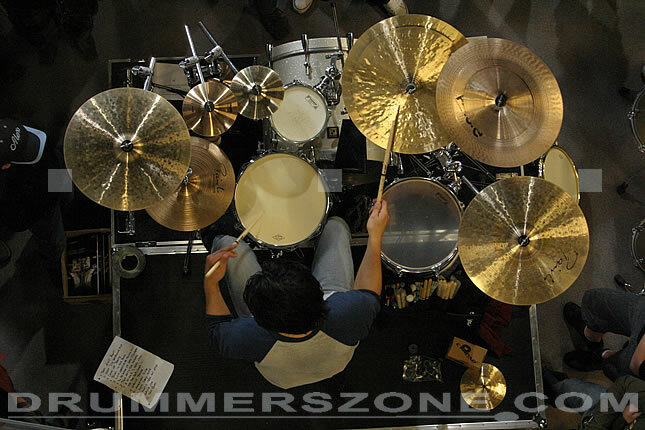 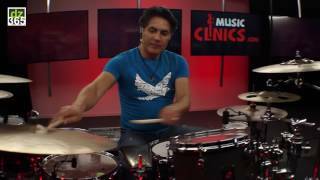 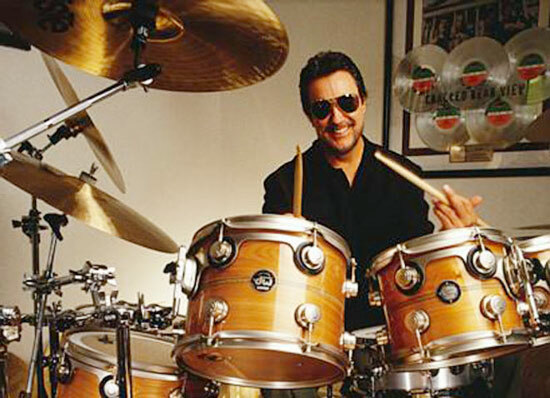 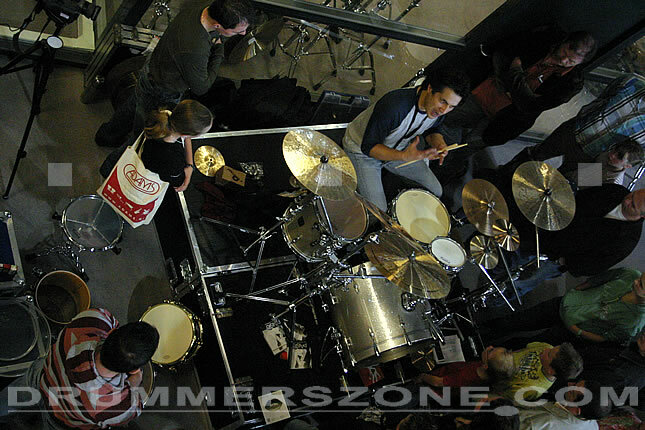 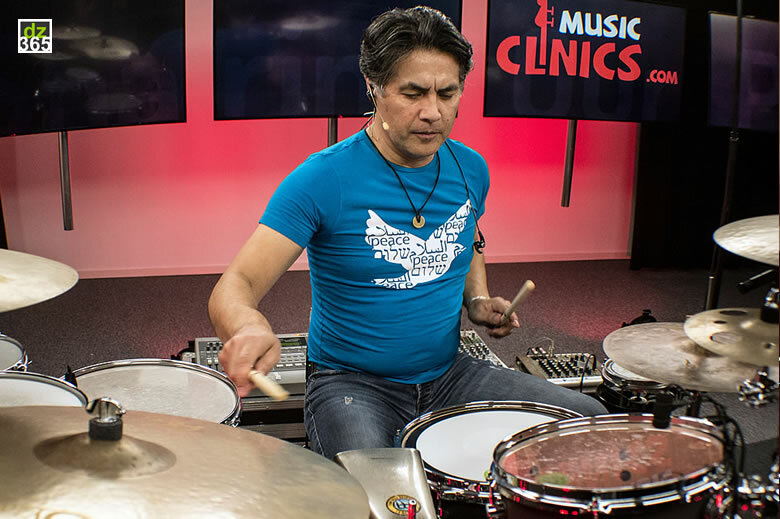 Drum Clinics One of the main reasons why Juan is doing drum clinics, is that he really believes that passing on inside information and inspiring young people is the most important things that a musician should do. 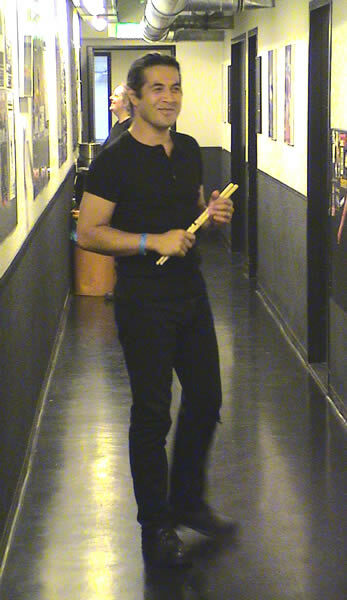 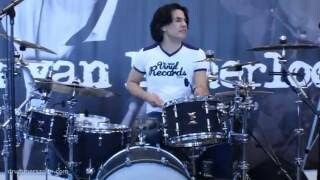 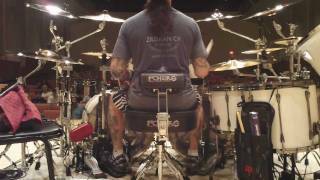 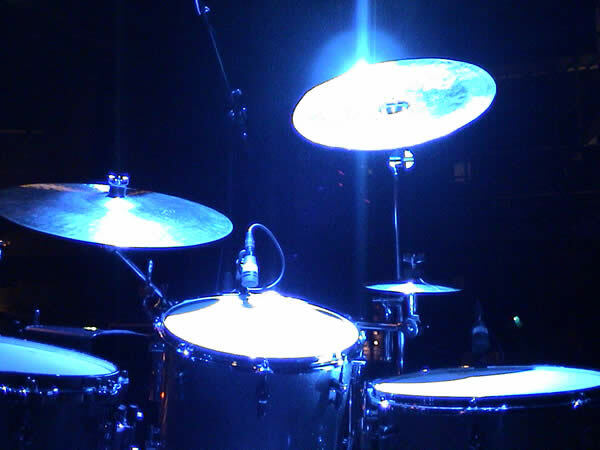 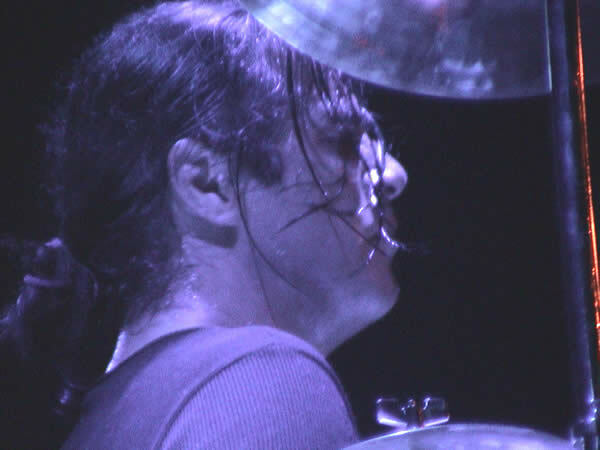 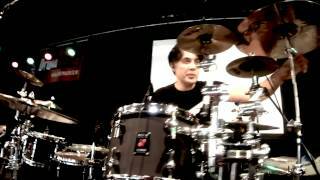 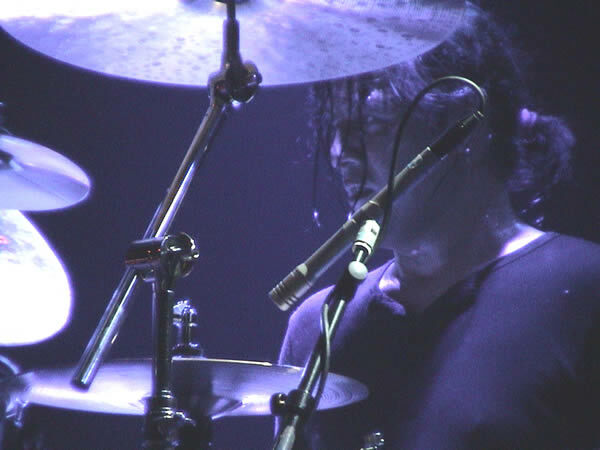 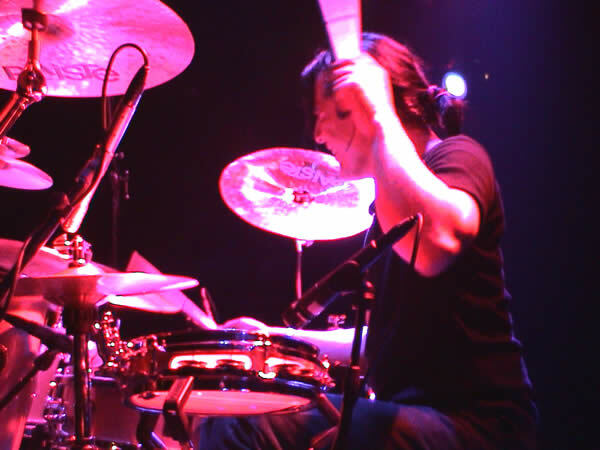 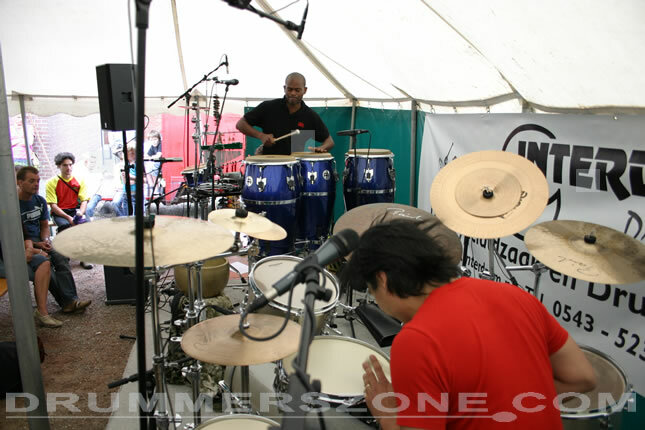 Quote Juan: "Performing a drum clinic should be a lot more that just show-off on a stage and leave the audience in awe!" 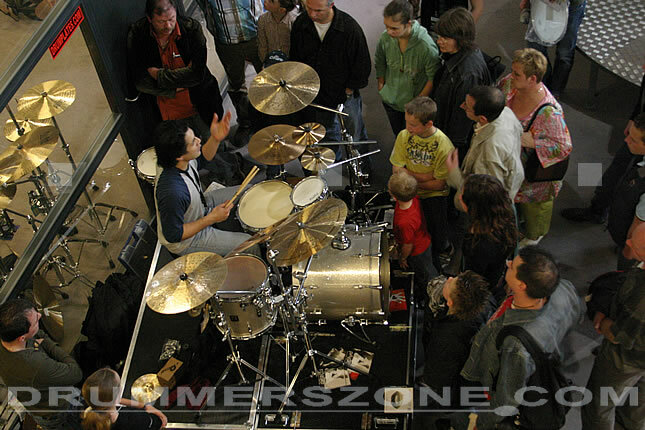 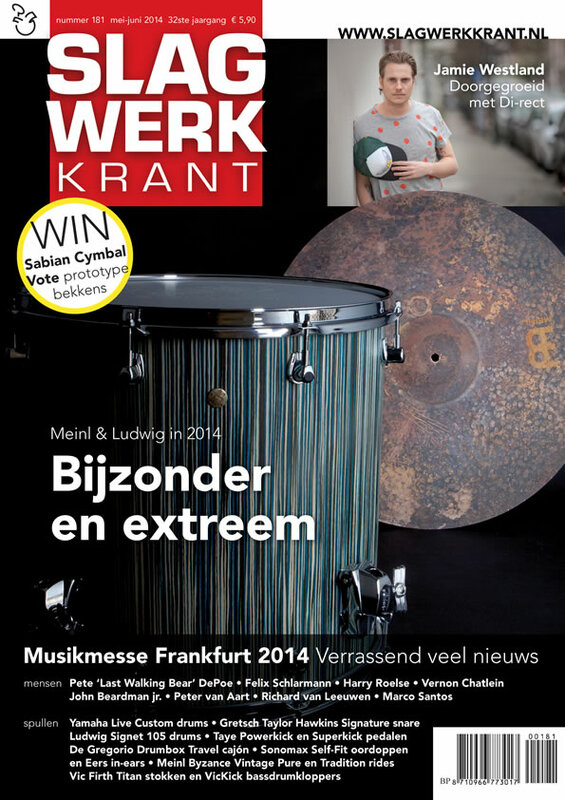 For year he's worked all around the Benelux meeting young and old to inspire them with his drum clinics. 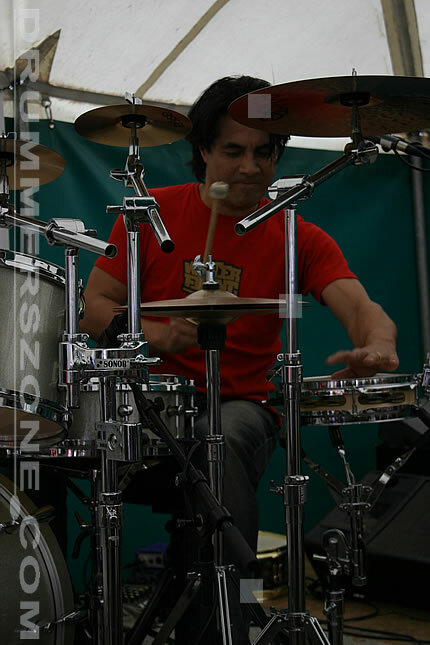 Teaching: Besides being a performer, Juan teaches for more than 17 years! 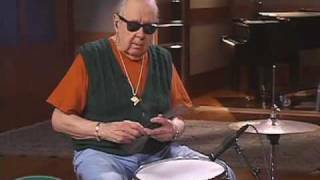 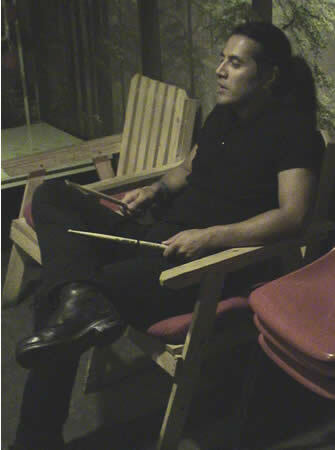 In 1992 he started his private drum school and for years he taught to more than 45 students on a weekly base. 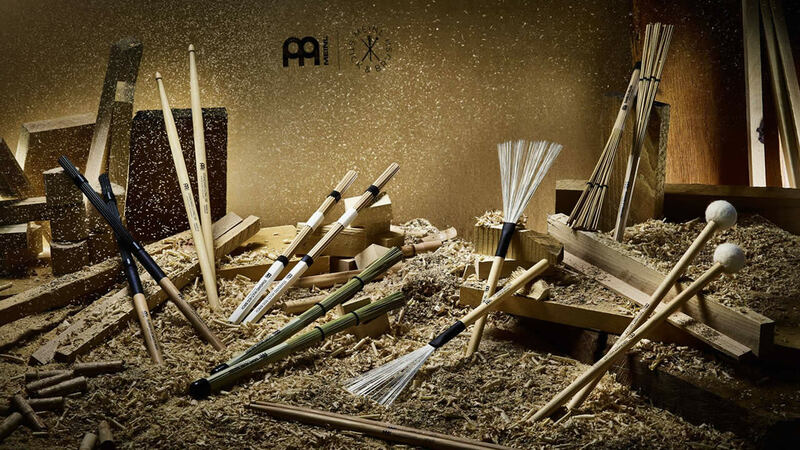 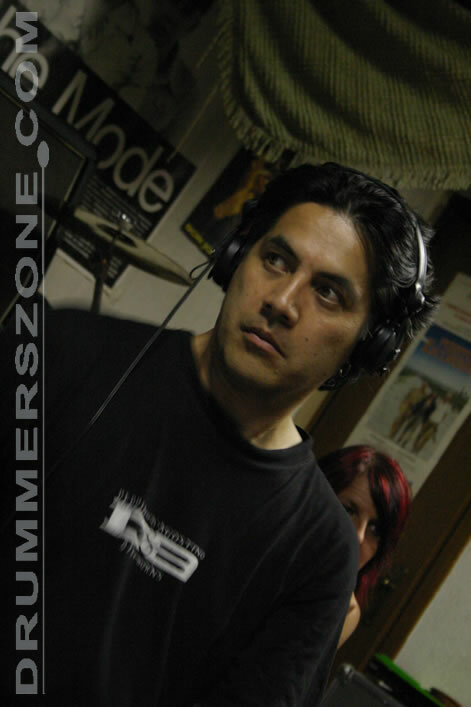 In 1998 he started to do clinics and workshops in The Netherlands on a low profile base. 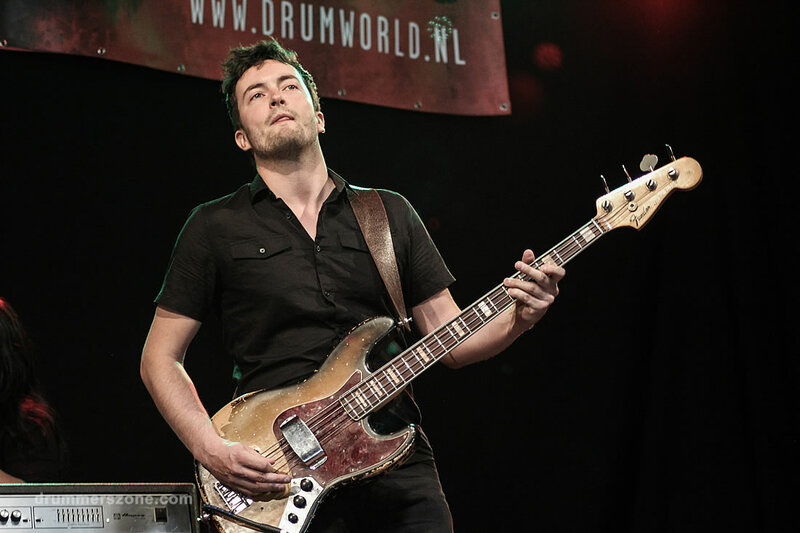 Since 2000 he teaches at the Conservatorium at Rotterdam (now known as "CODARTS"), to teach well-talented students from all over Europe of which many of them have become excellent international artists! 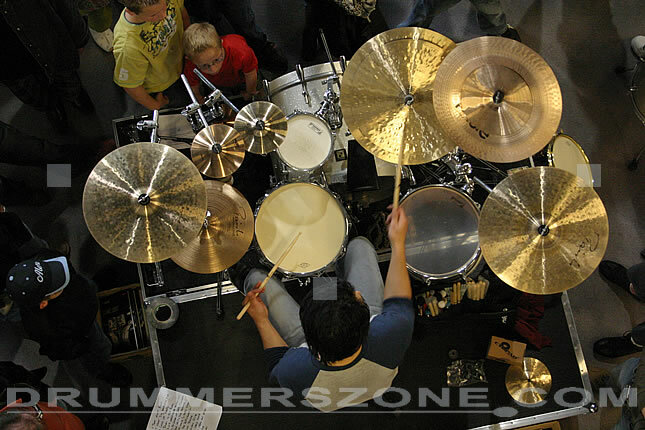 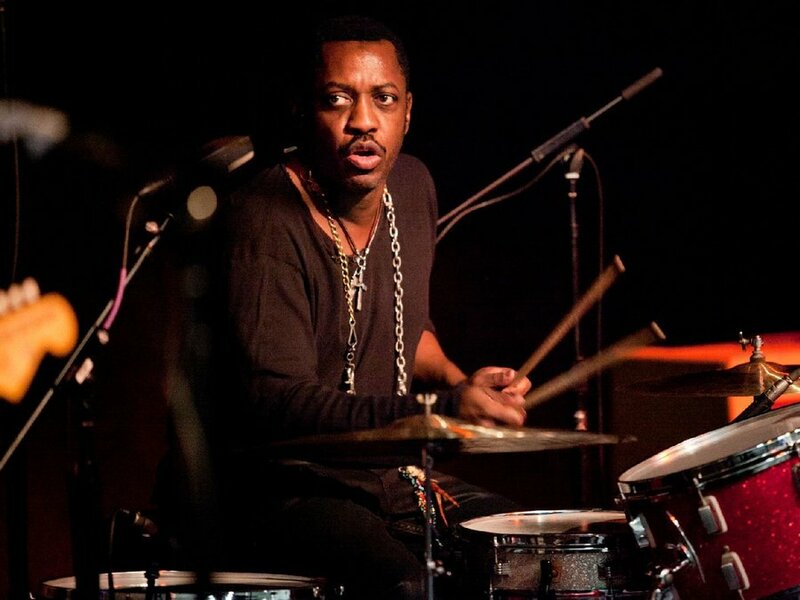 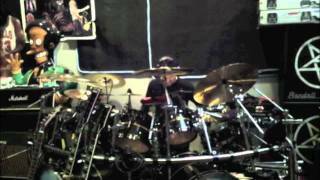 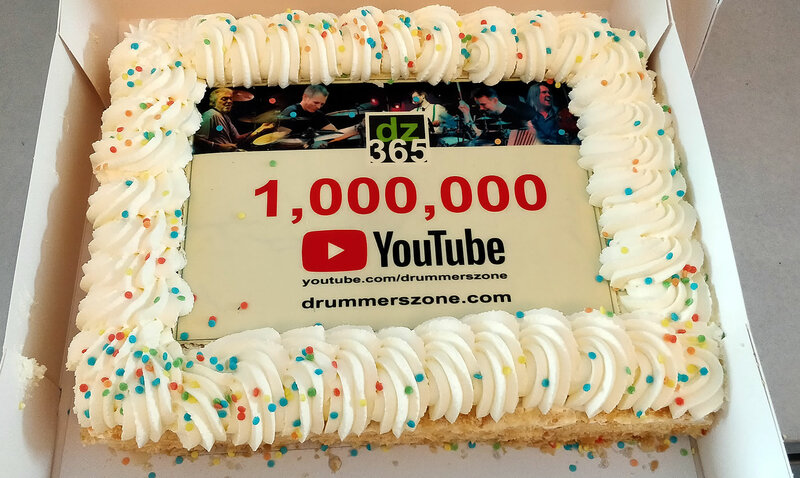 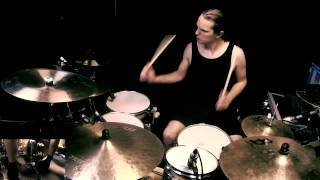 At the age of 6 he started playing drums with a private teacher called Jan de Ruiter. 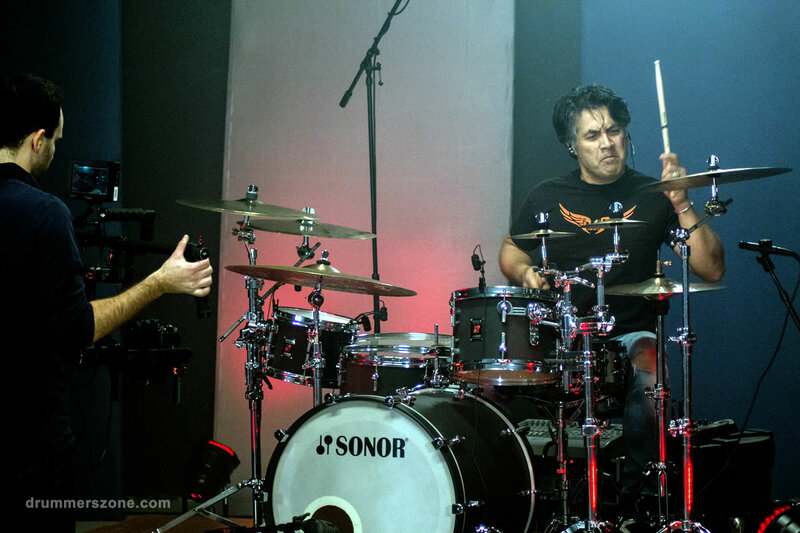 With Jan, Dave learned all the basics he needed to become a good drummer. 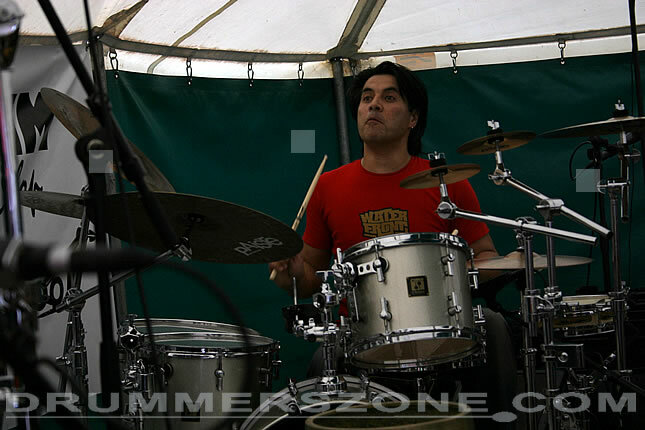 Dave's father was a tapdancer and a drummer also ,so Dave learned to play the drums very quickly. 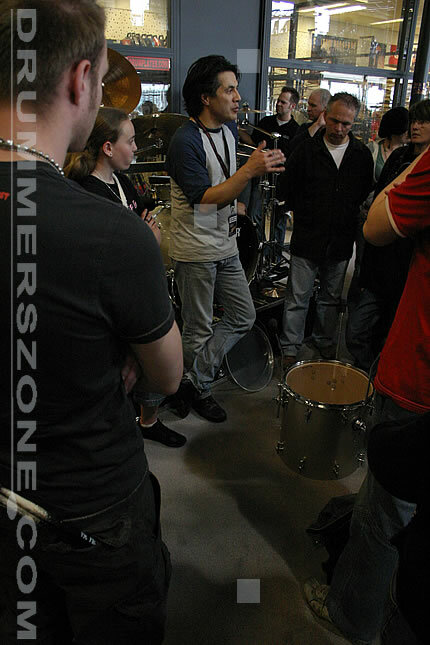 After a period of studying without a teacher, Dave attended the musicschool of Amersfoort . 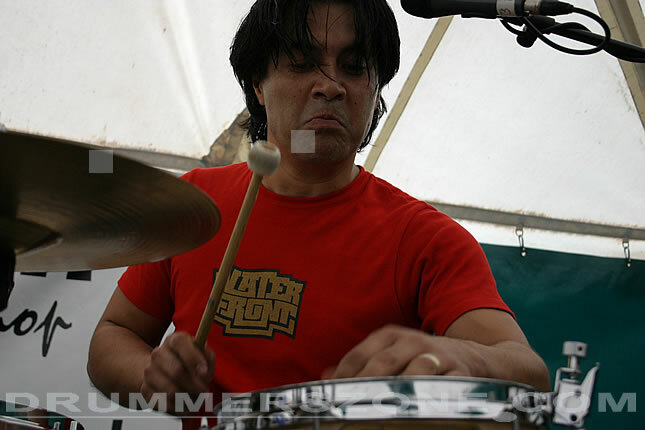 With a new teacher called Hans Weyergang ,Dave studied drumset because he wanted to study at the Conservatorium at Hilversum. 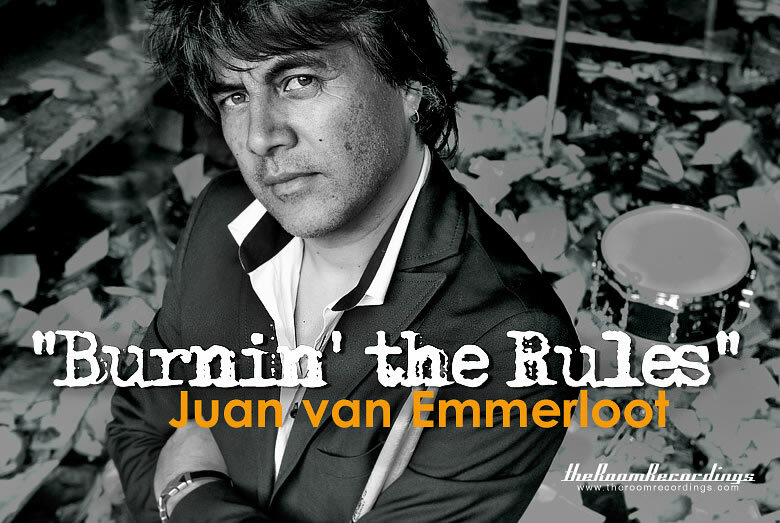 At the age of 17 he attended the Conservatorium of Hilversum. 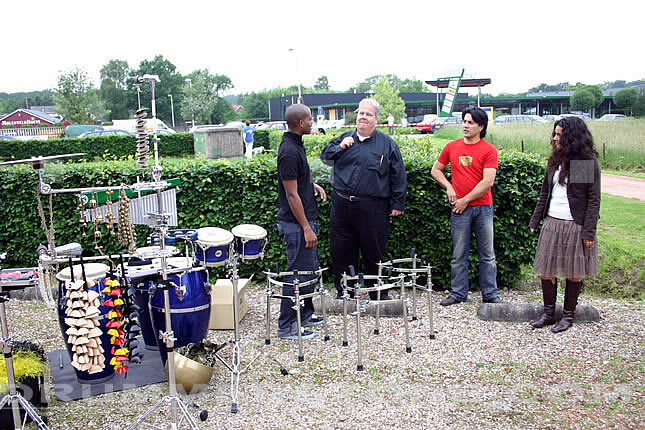 He had different teachers,such as Cees Kranenburg ,Roy Dackus, Gerard Jelthes,Danny Sahupala. 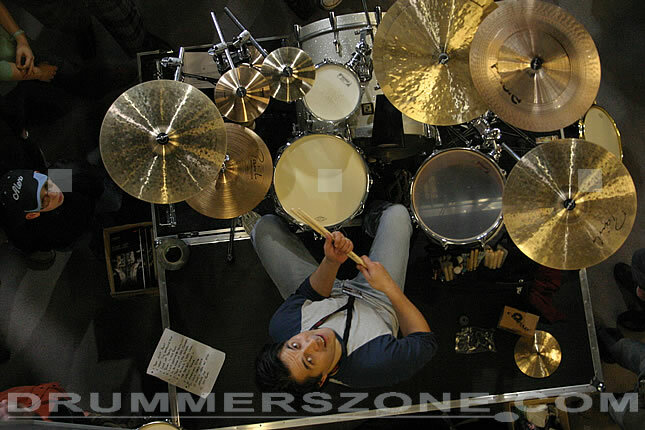 At the age of 22 he graduated ,being the youngest student that graduated. 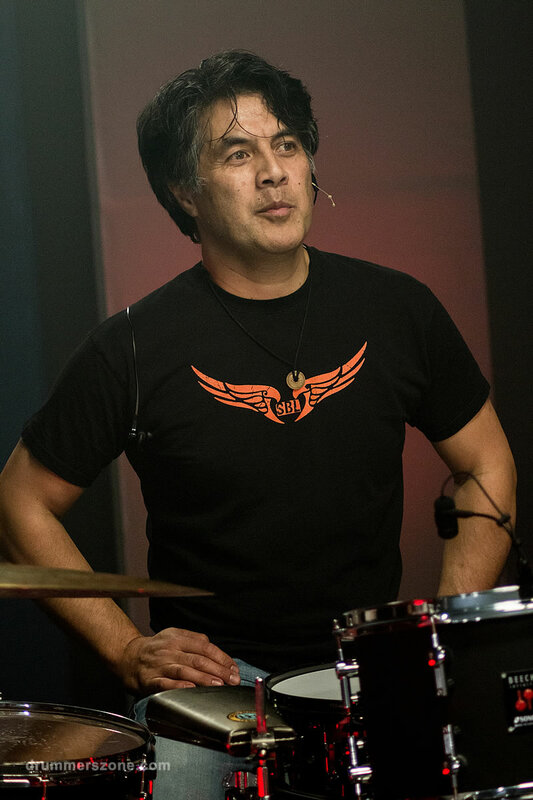 In his first year of the Conservatorium,Dave also went to the Drummers Collective in New York were he studied with Ricky Sebastian. 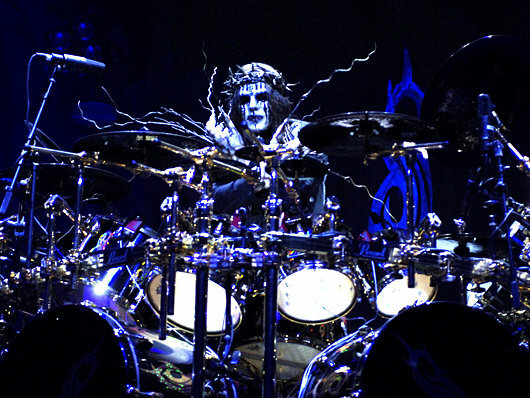 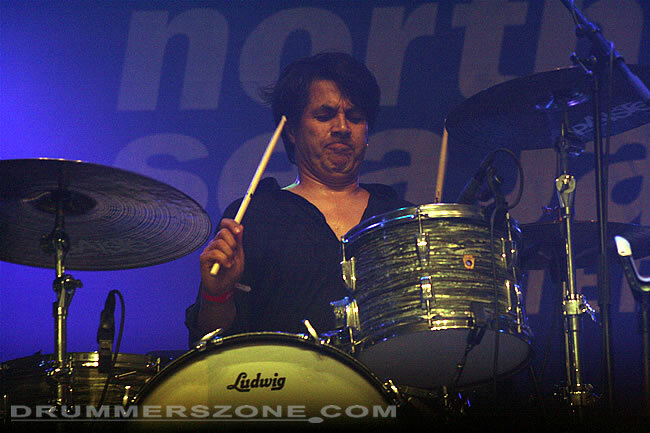 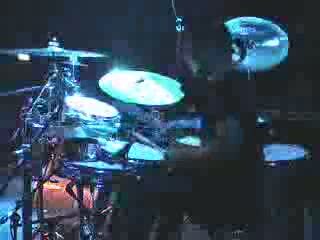 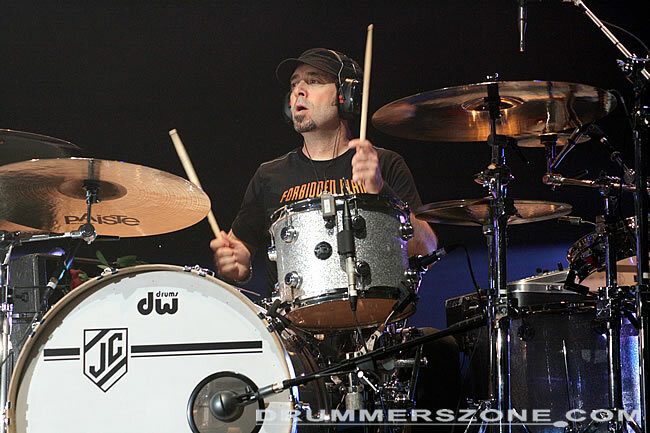 Dave is a professional drummer since the age of 18. 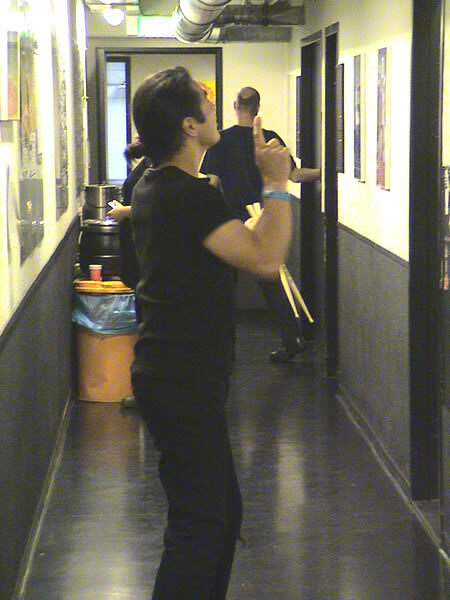 At 18, he did his first big gig/musical called "Move" wich played for 3 months in the Royal Theater Carre in Amsterdam. 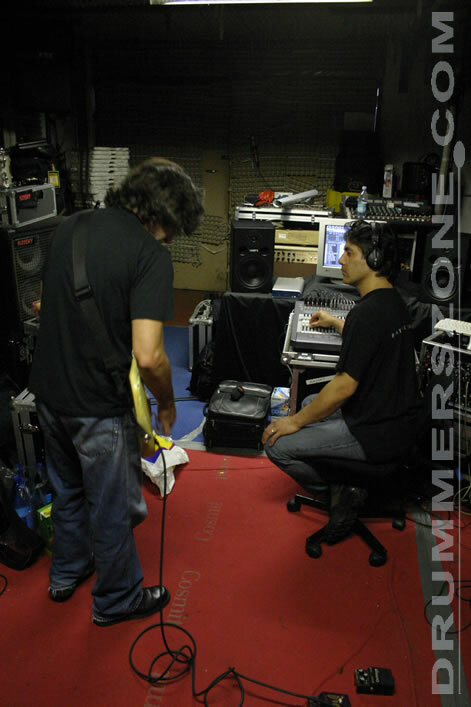 Here Dave met a lot of producers and artists ,and Dave went on working with a lot of them. 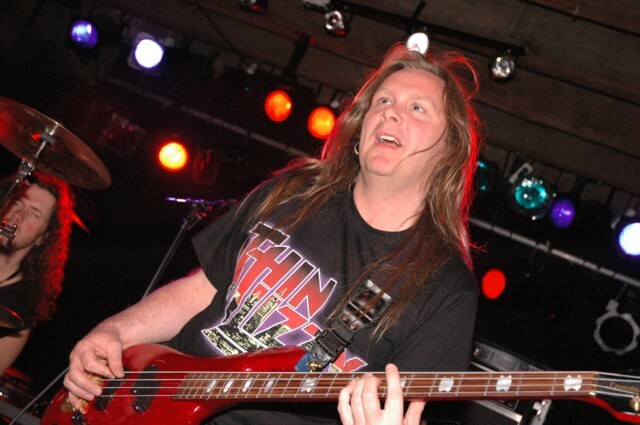 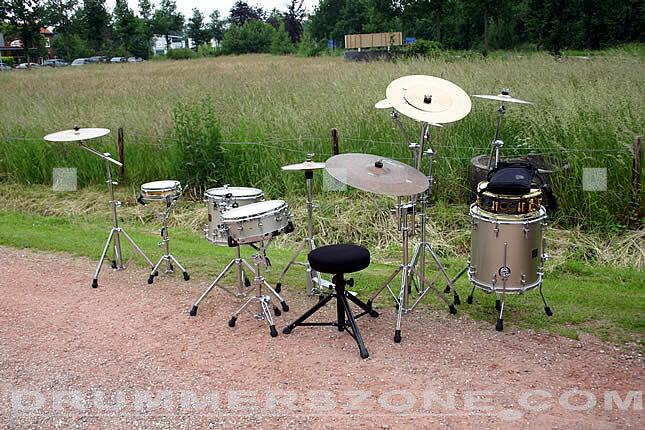 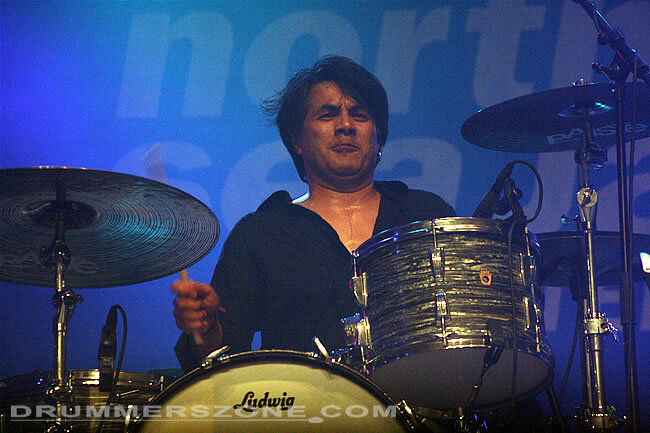 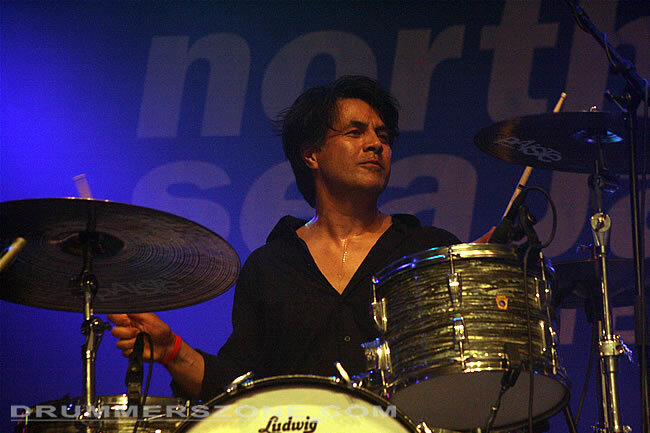 Dave is now the drummer for a dutch band called Acda en de Munnik, and for dutch diva Karin Bloemen. 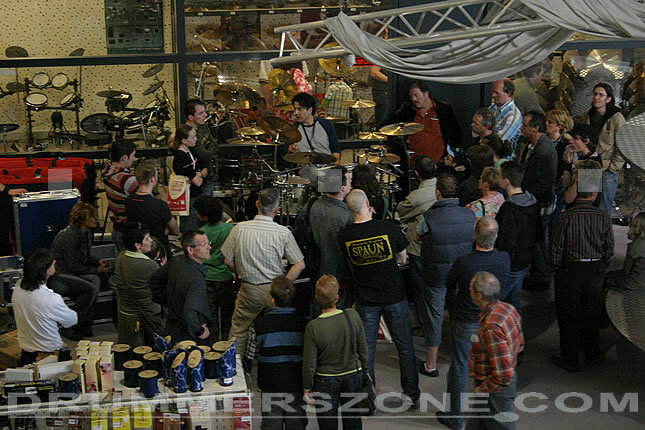  Freek de Jonge Dutch Tour. 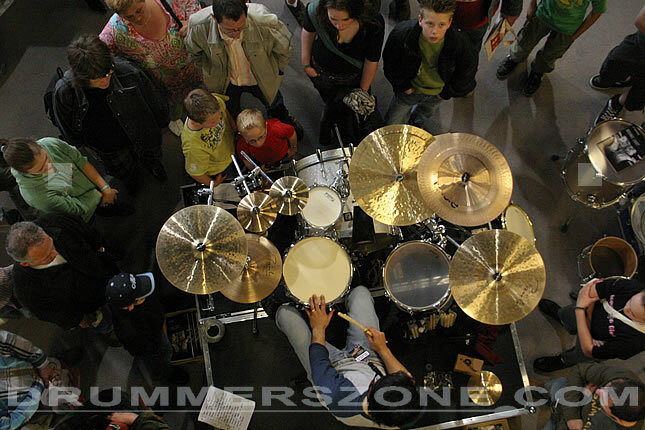  Freek de Jonge Belgium Tour. 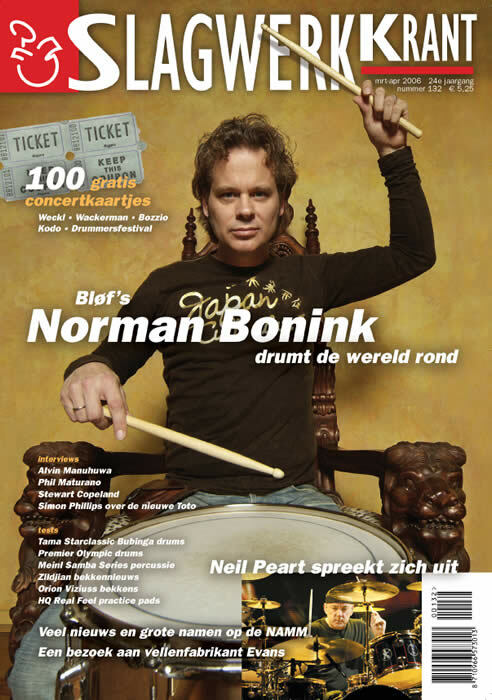  Liesbeth List dutch tour. 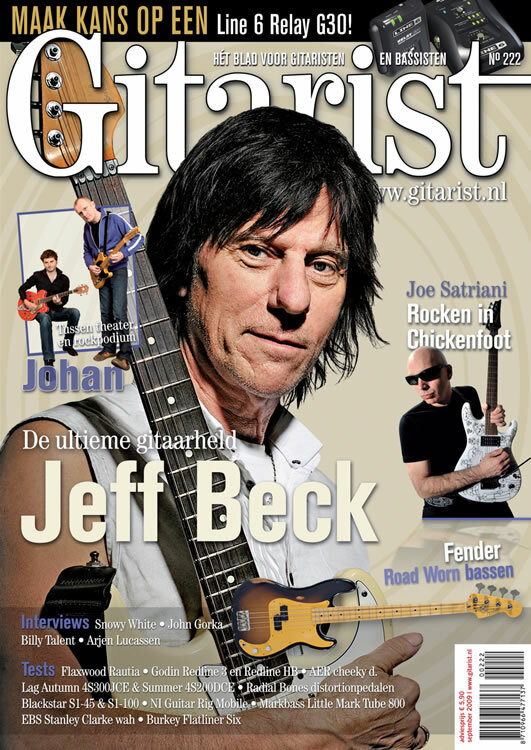  Liesbeth List Belgium tour. 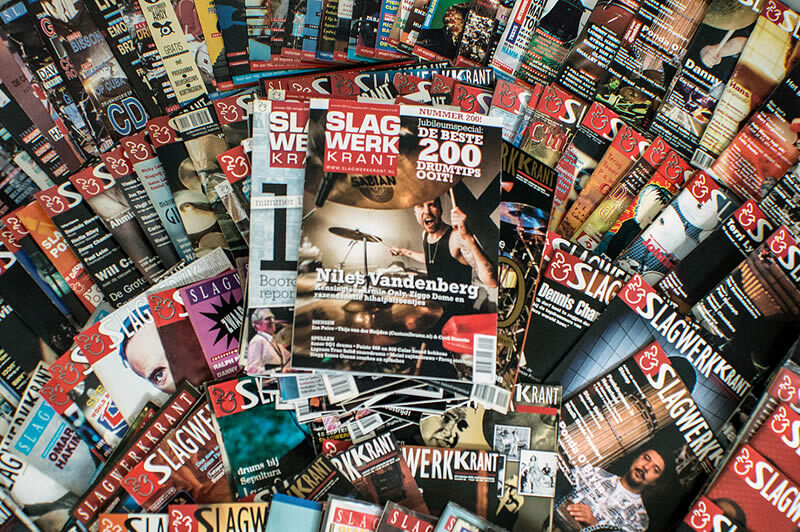  Van Shaffy tot Piaf (with ducht artist Liesbeth List. 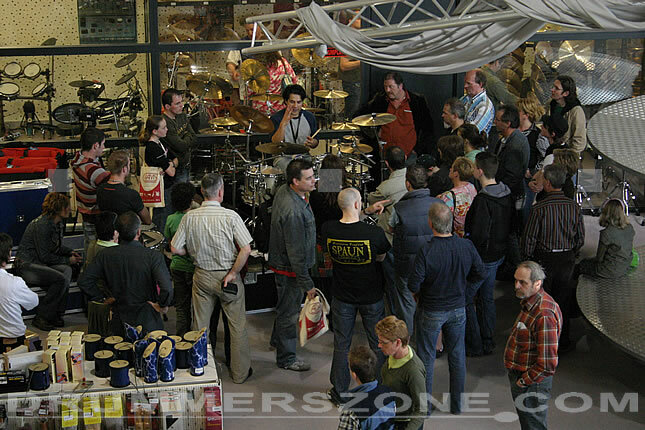  Benelux tour with Second Vision and Mike Mainieri. 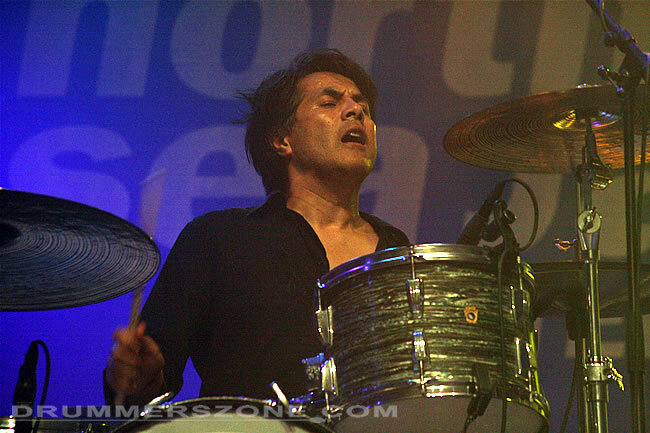 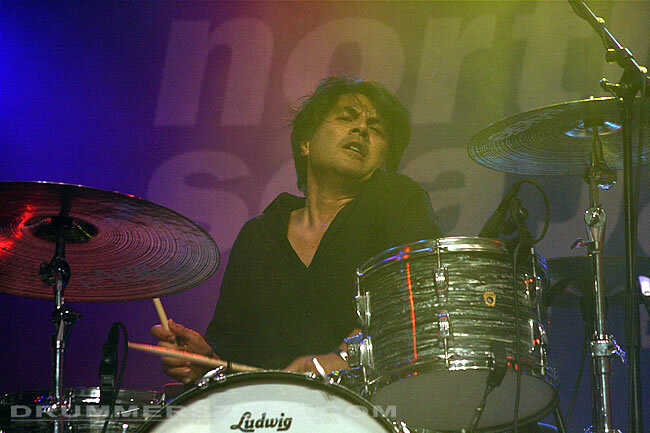  North Sea Jazz festival with Second Vision and Dianna Reeves. 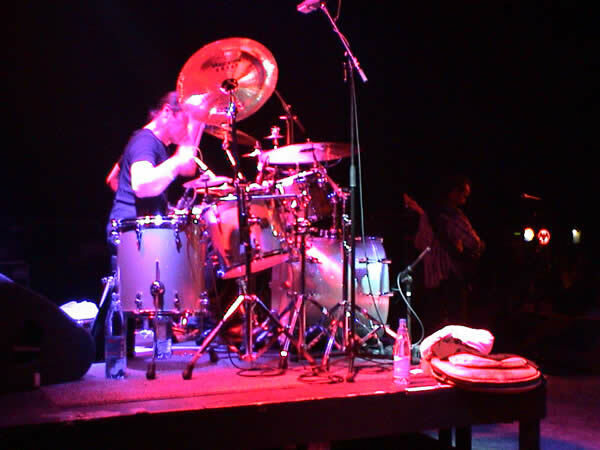  Jakarta (Indonesia) with Karin Bloemen. 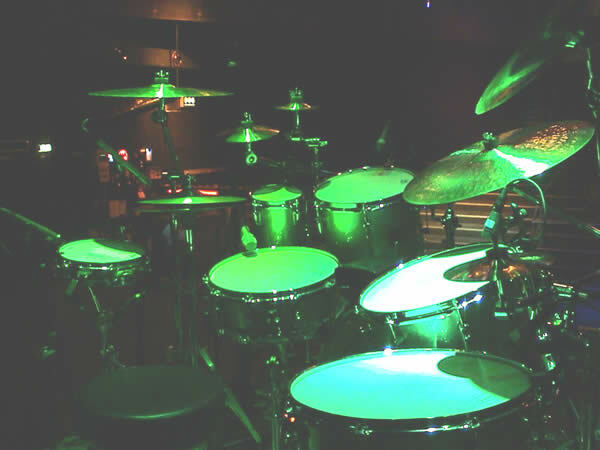  Singapore with Karin Bloemen. 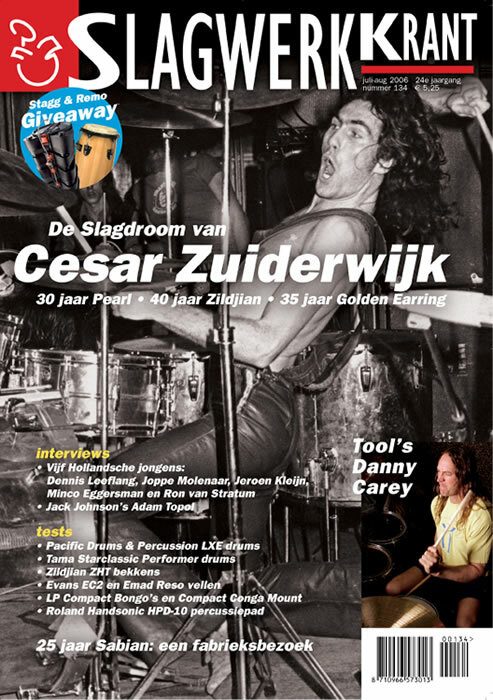  Curacuao with Karin Bloemen and Gerard Joling. 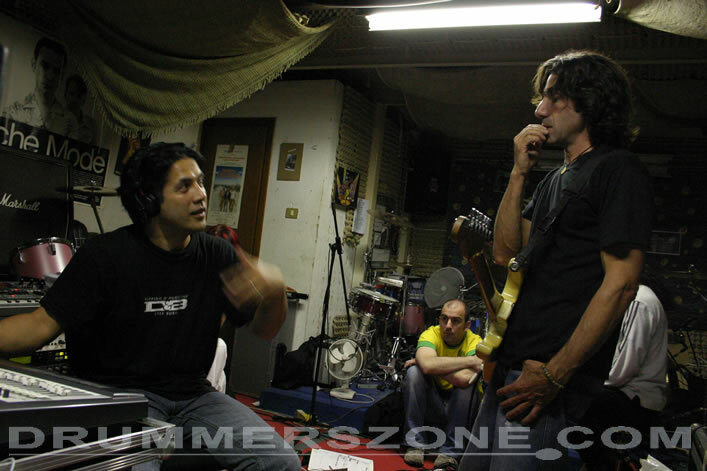  Curacuao with Acda en de Munik. 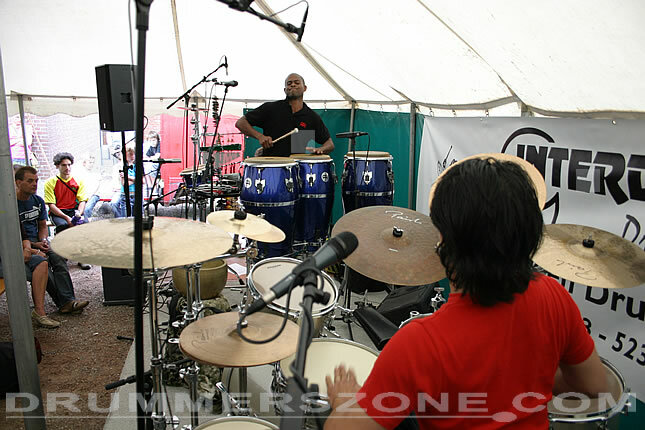  Bonaire with Acda en de Munnik . 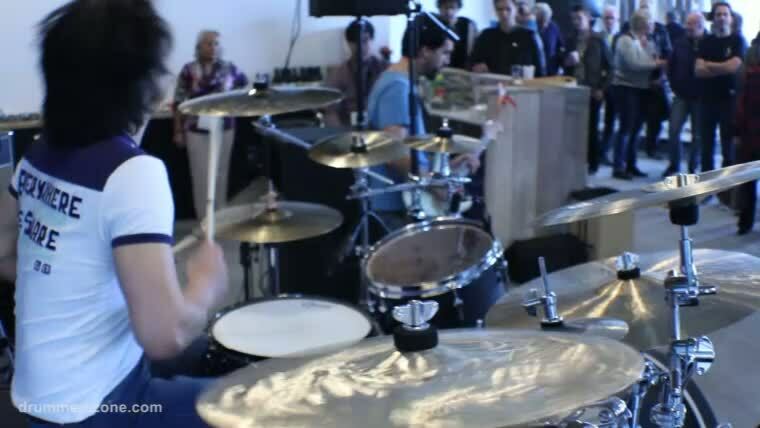  Maaiveld Live (with Acda en de Munnik). 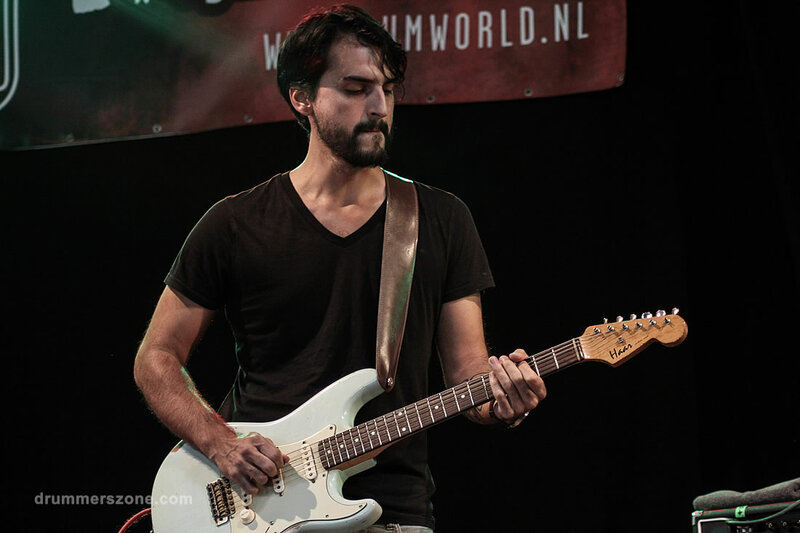  Acda en de Munnik live at Caprera Bloemendaal. 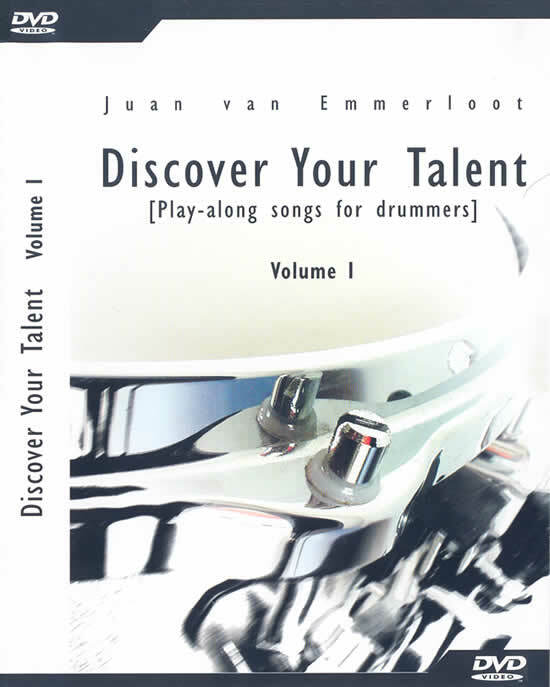  Trilogie (with Acda en de Munnik). 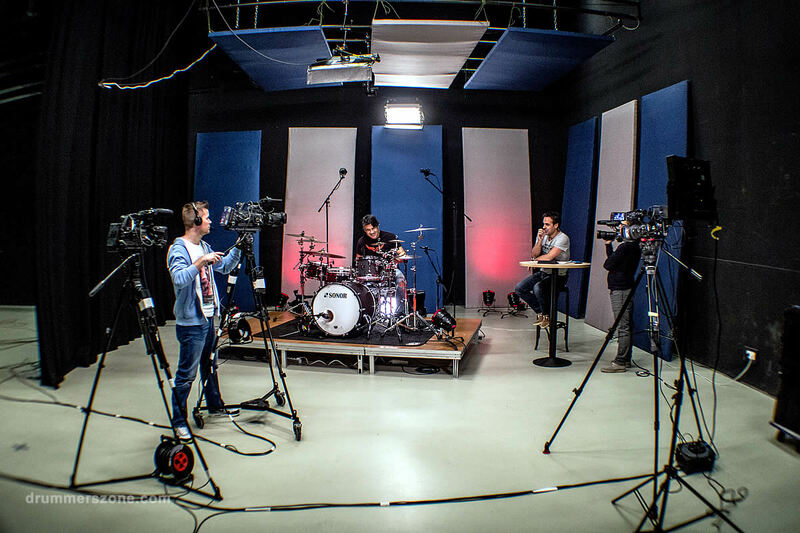  Liedjes van Lenny Live. 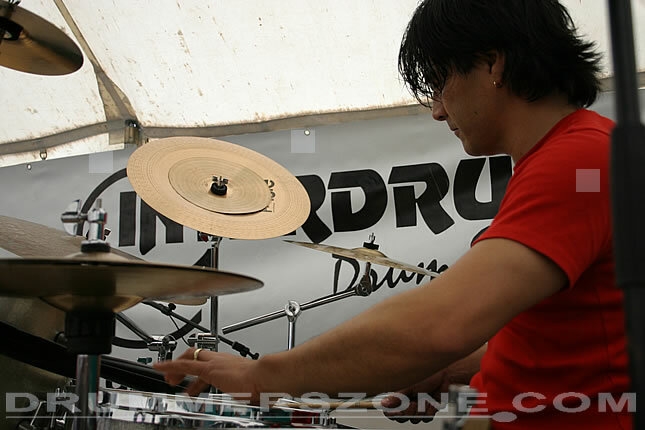 (with Acda en de Munnik). 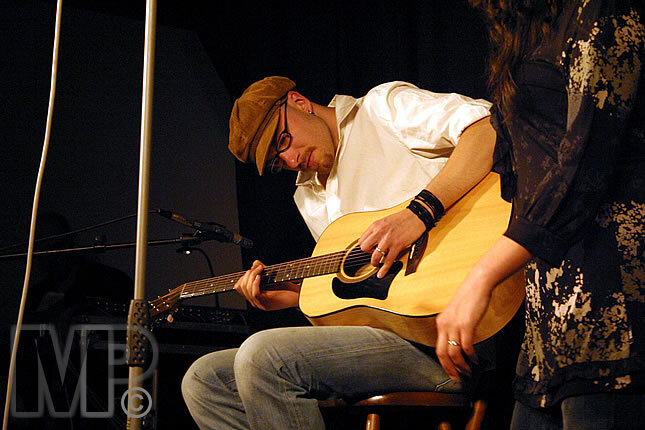  Ren Lenny Ren (musical with Acda en de Munnik). 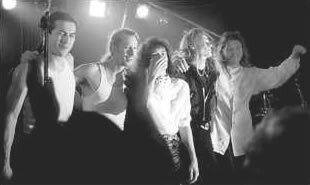  Van Shaffy tot Piaf (with Liesbeth List). 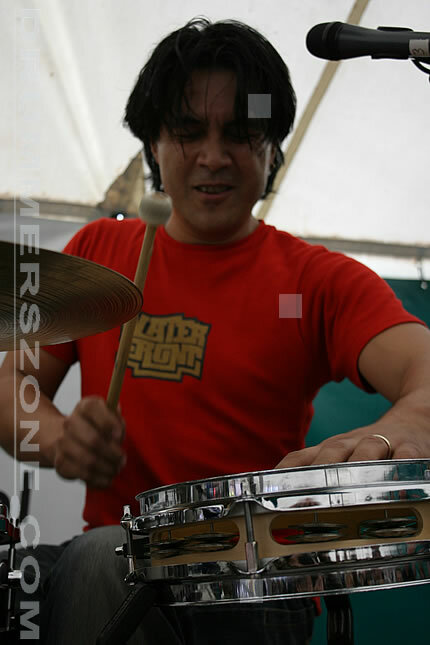 Juan started playing drums at the age of 10. 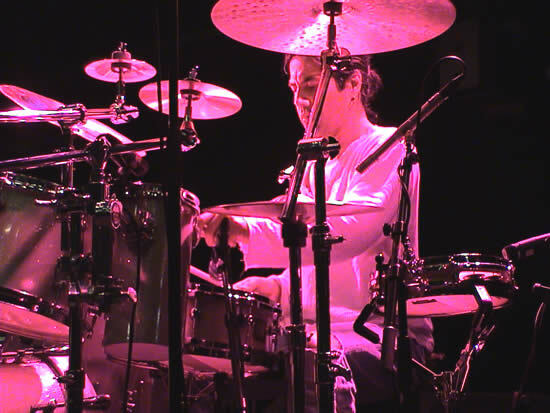 He joined his first band and played on stage when he was 13 years old. 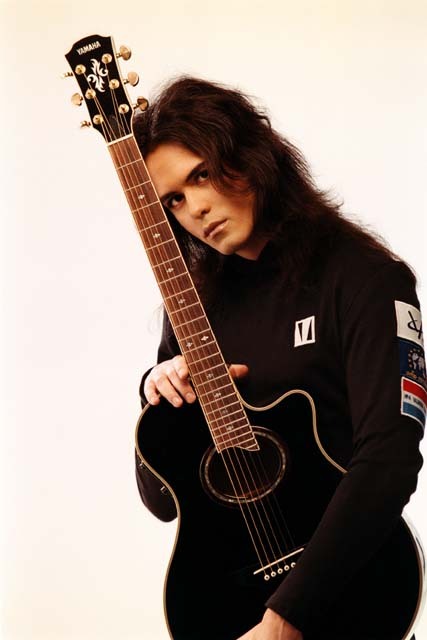 He continued studying music in school until the age of 17. 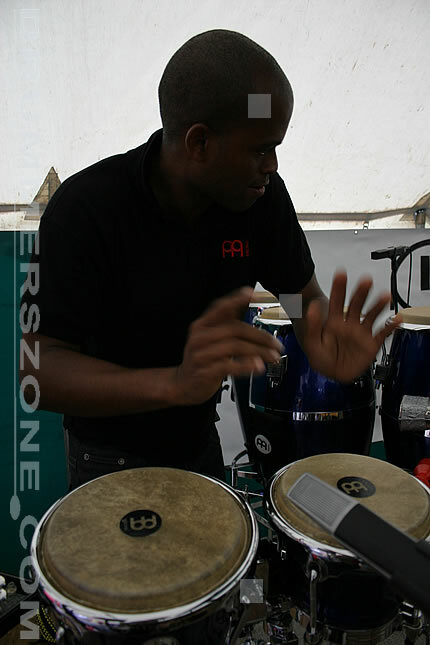 The next step he took was intensive musical training at the Rotterdam Conservatory in the Netherlands. 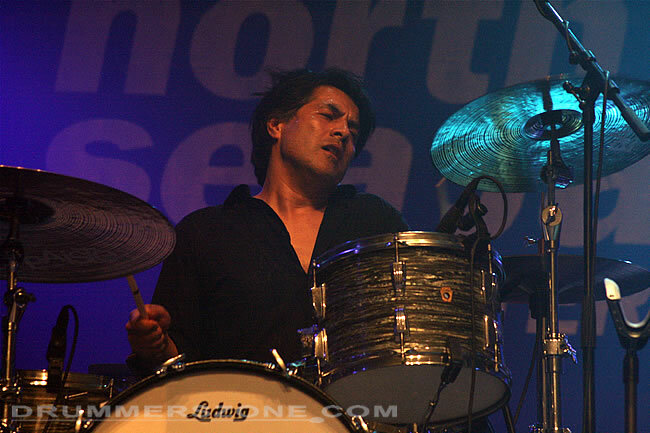 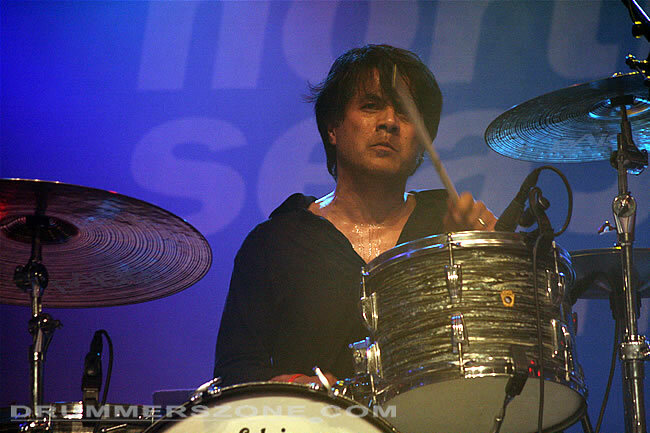 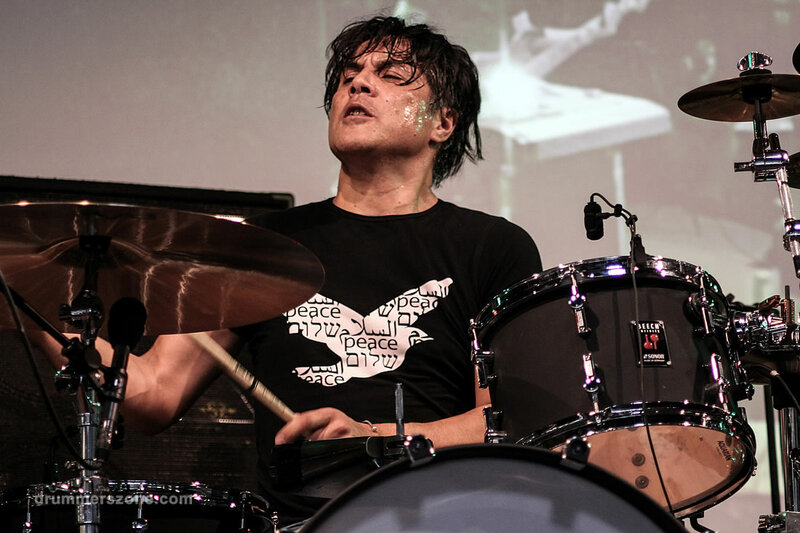 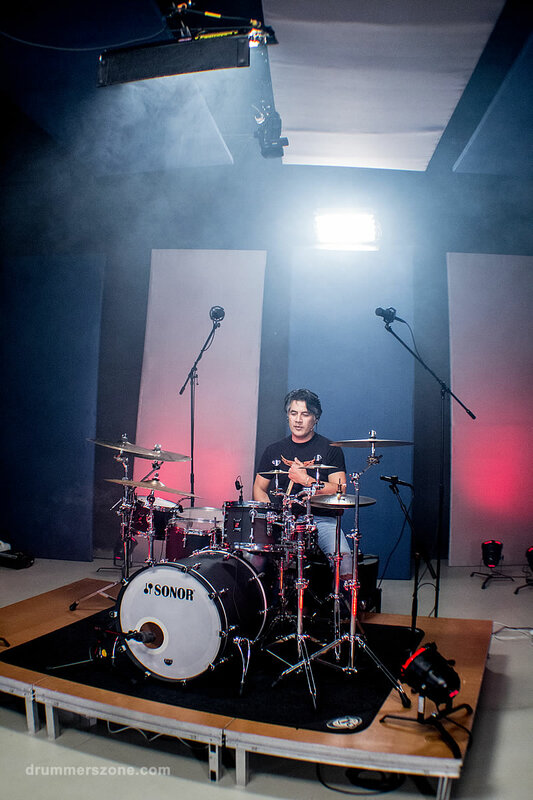 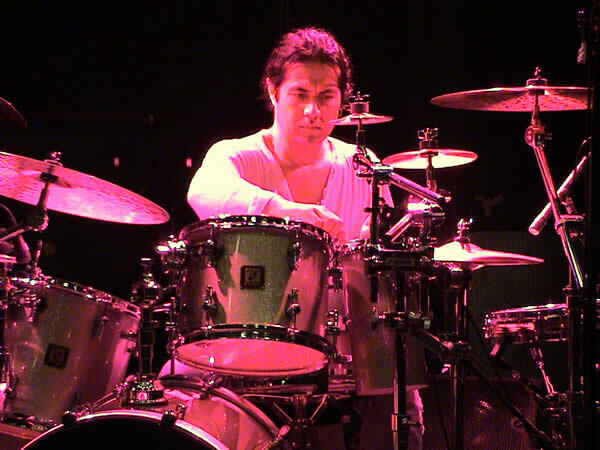 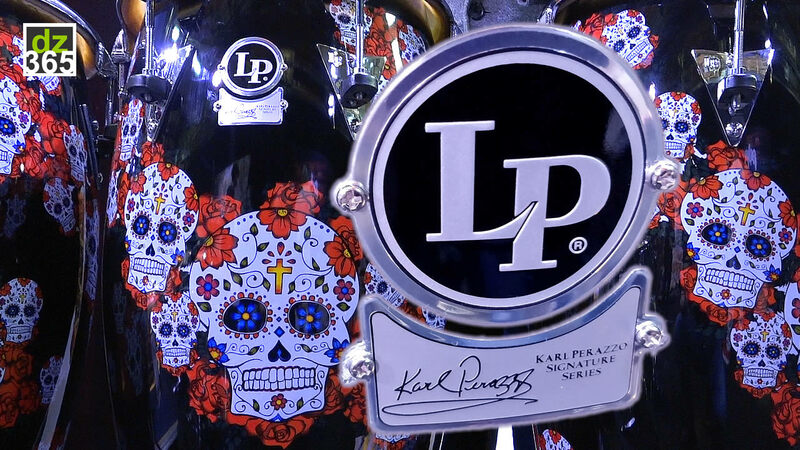 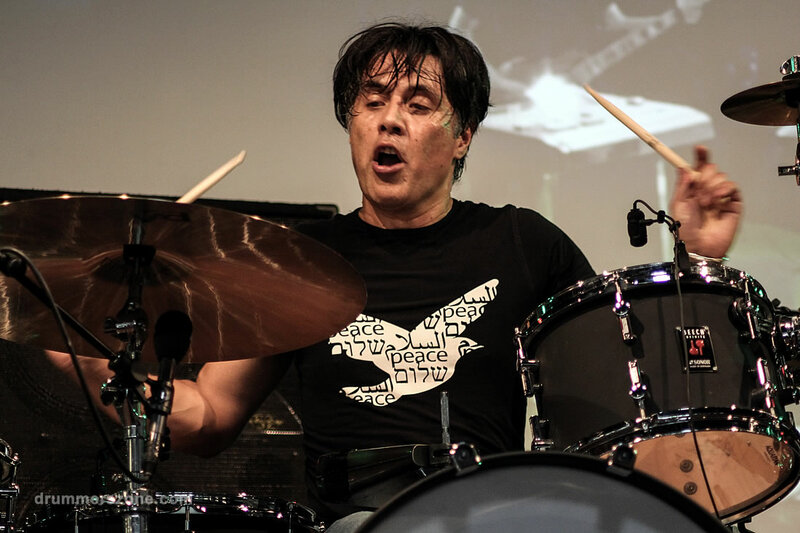 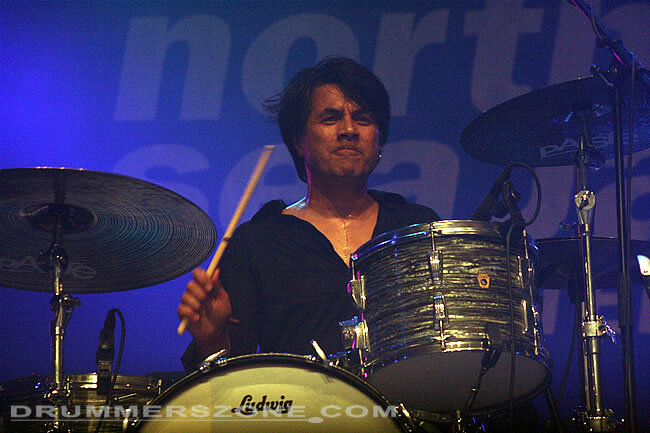 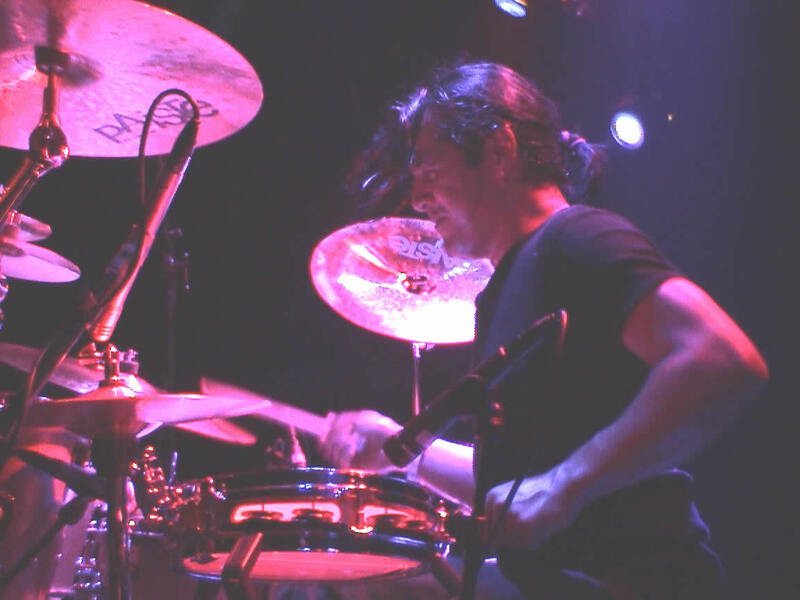 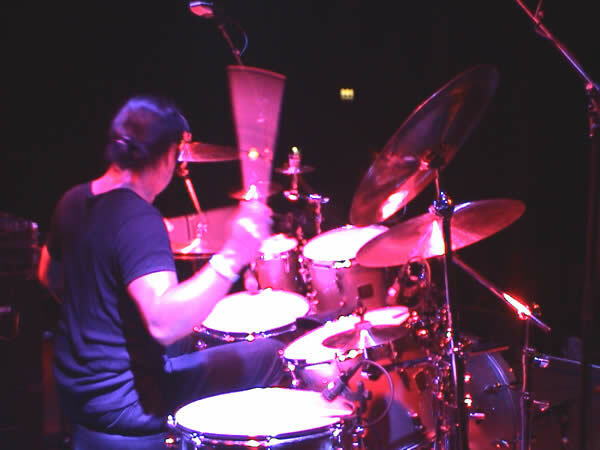 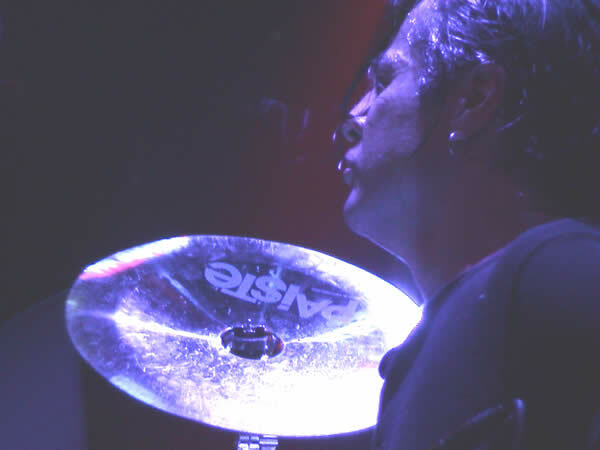 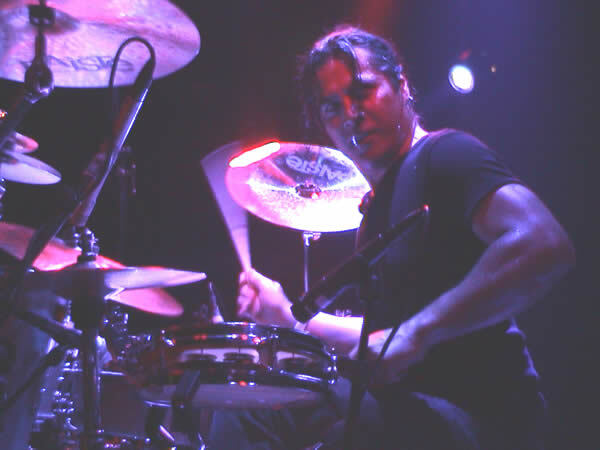 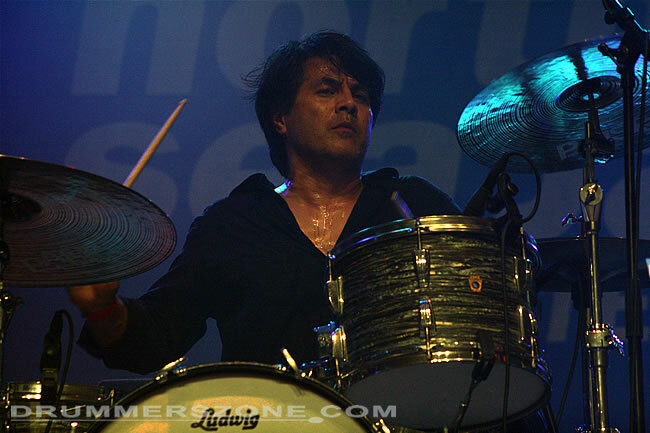 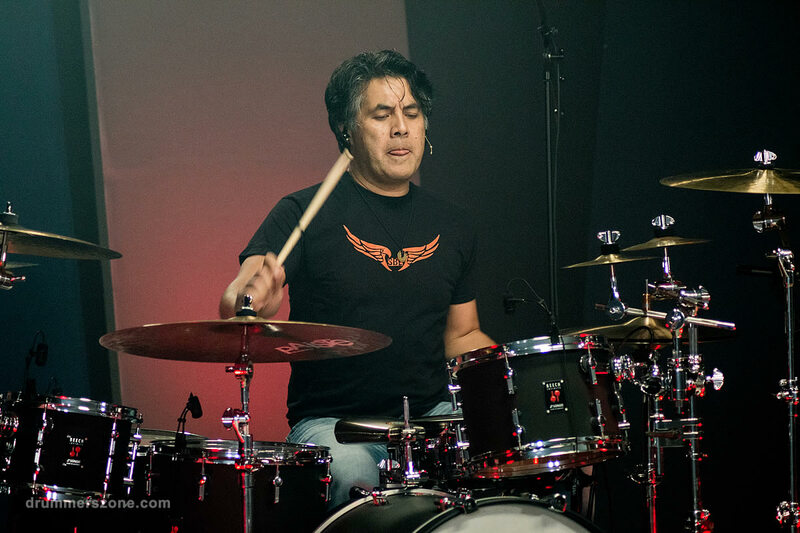 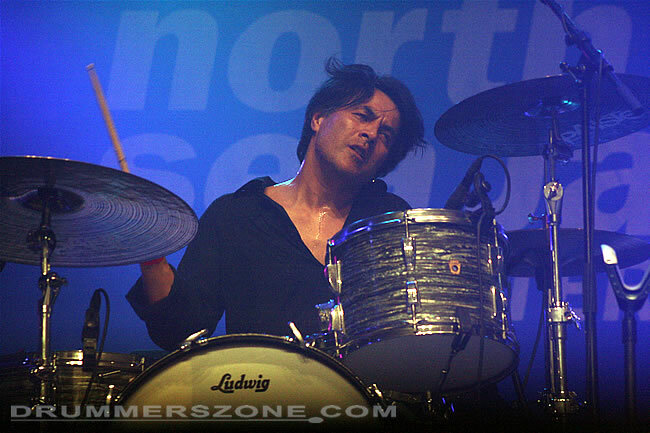 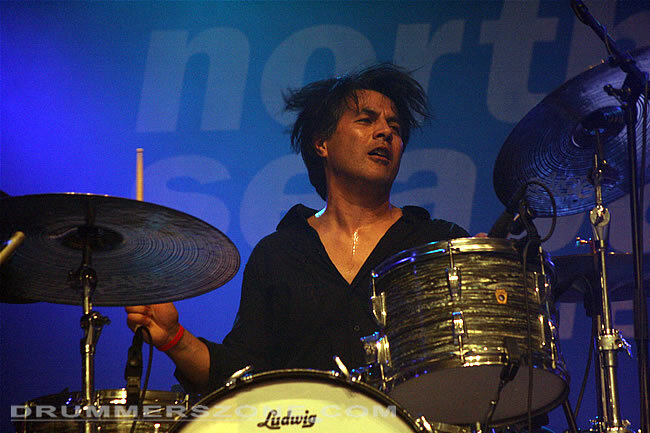 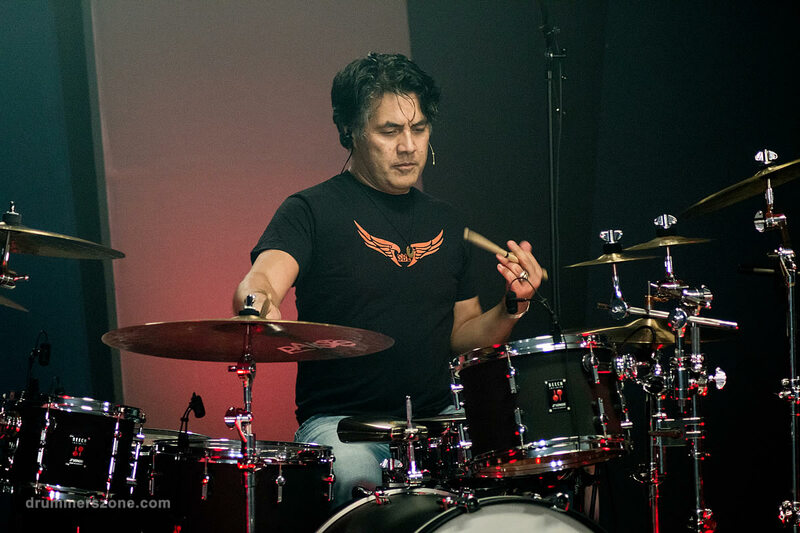 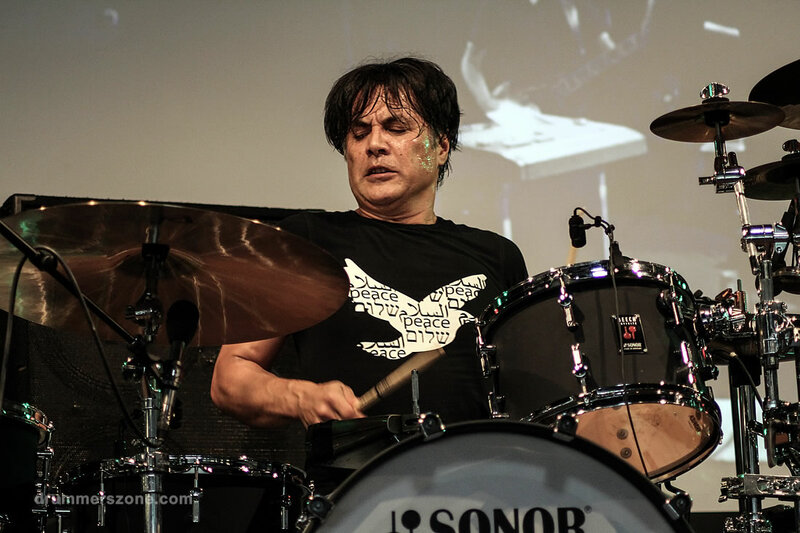 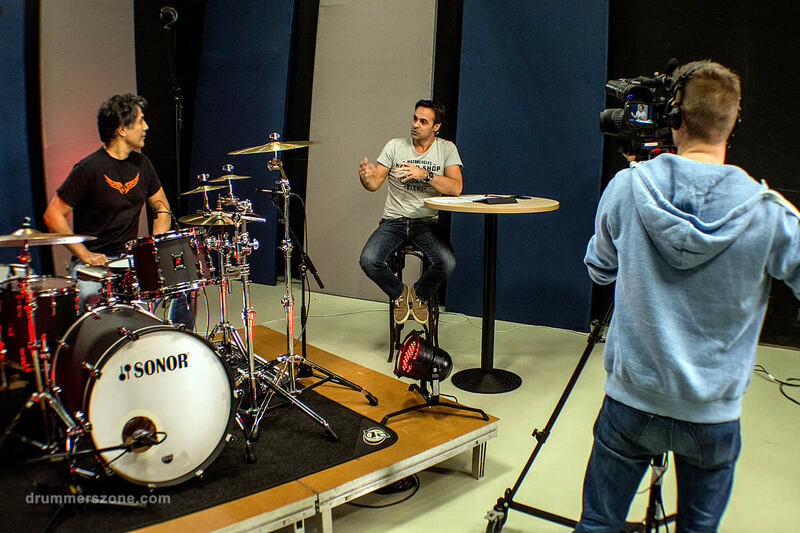 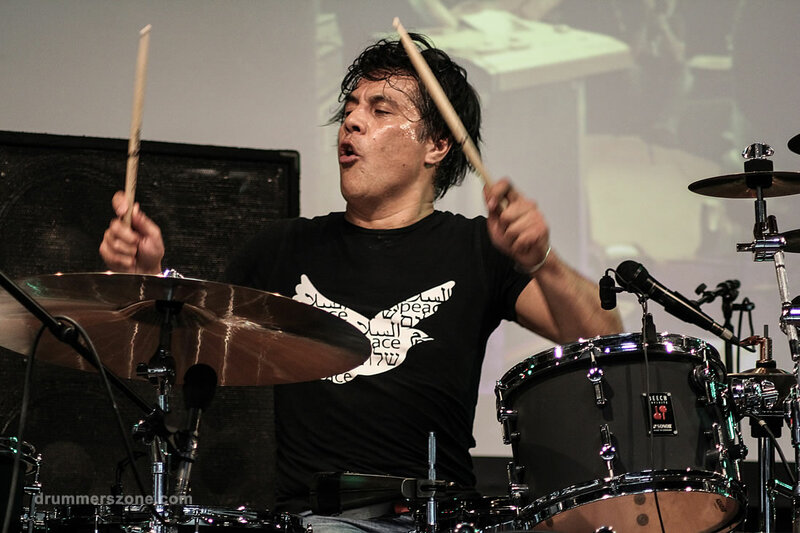 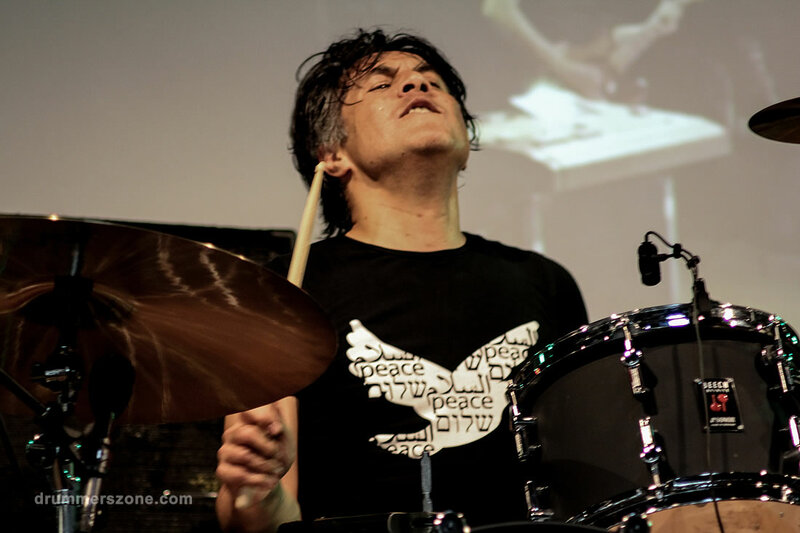 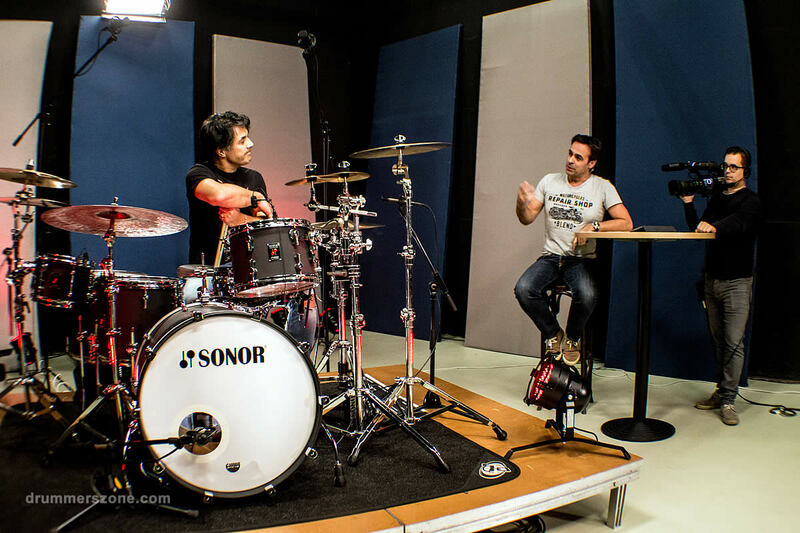 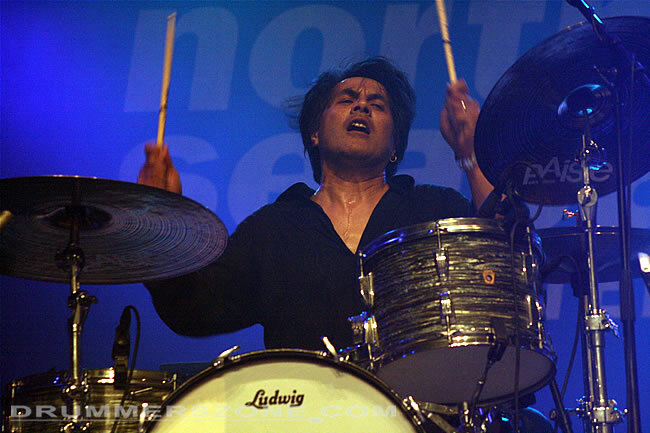 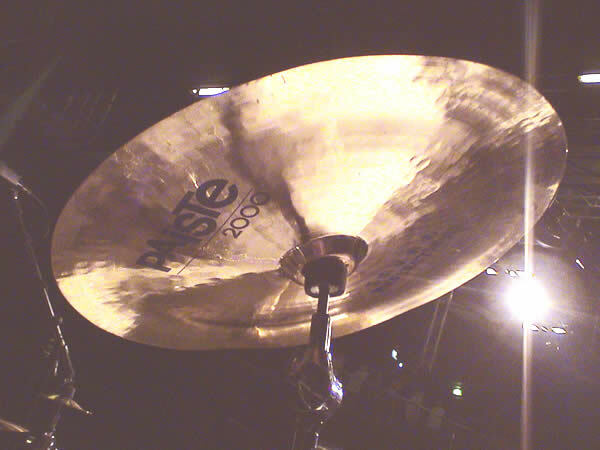 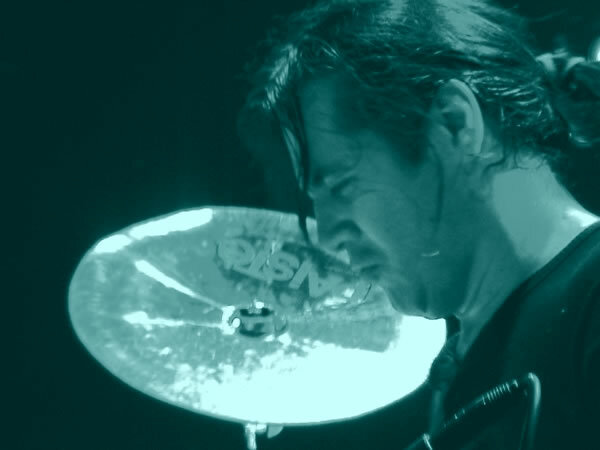 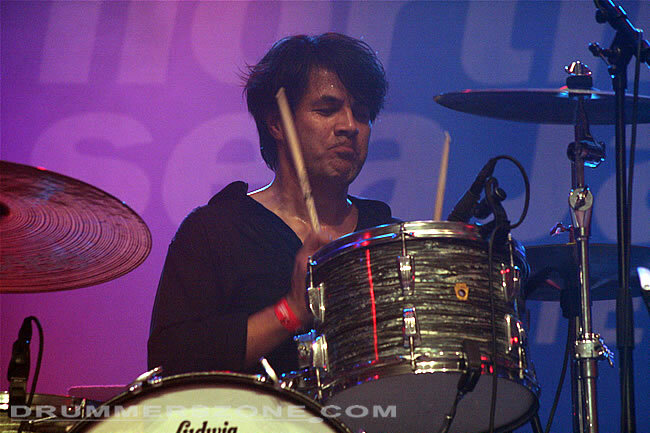 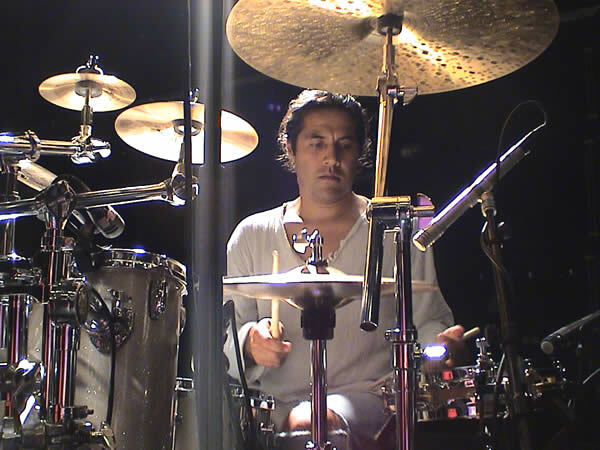 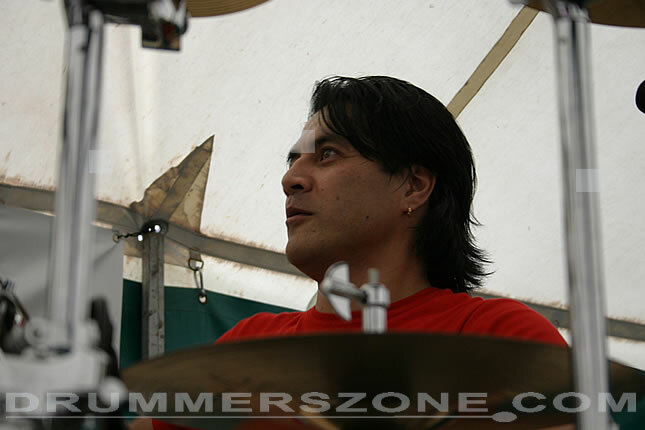 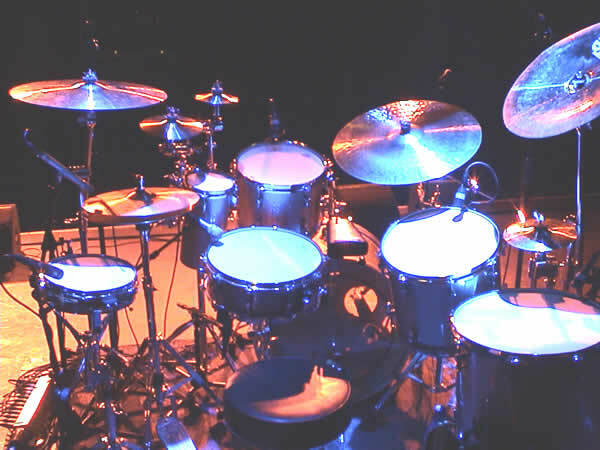 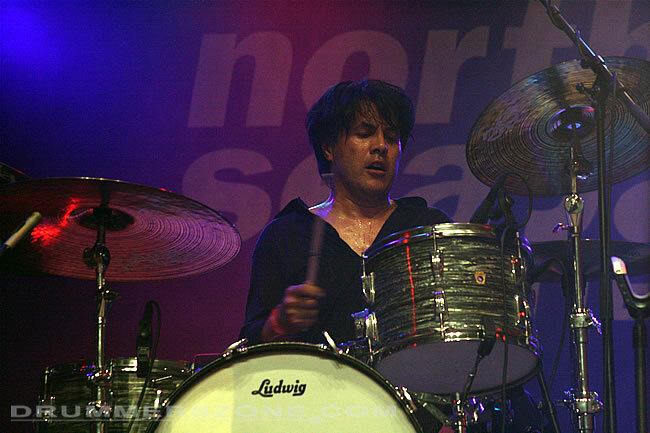 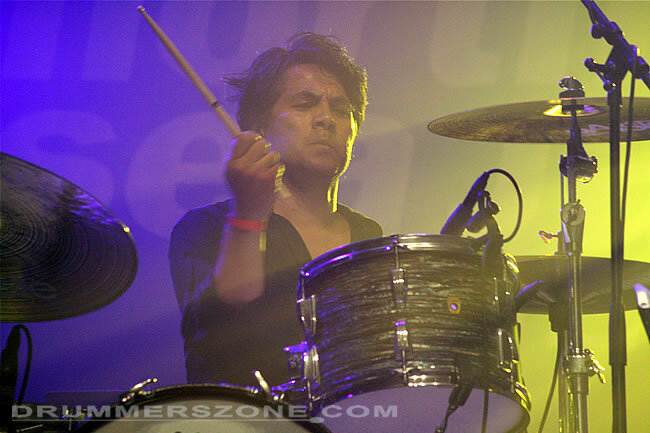 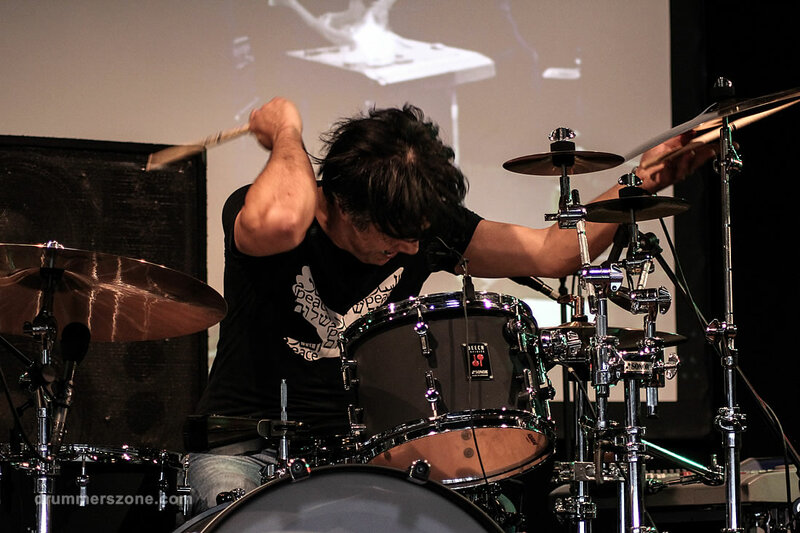 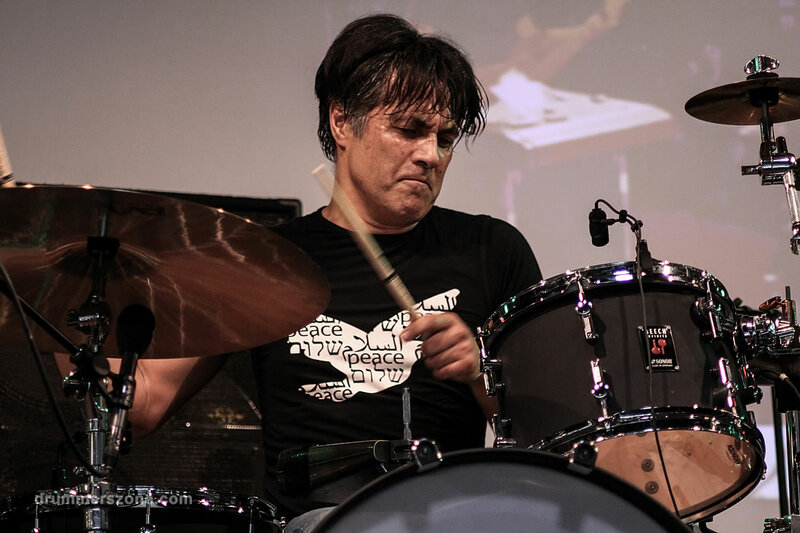 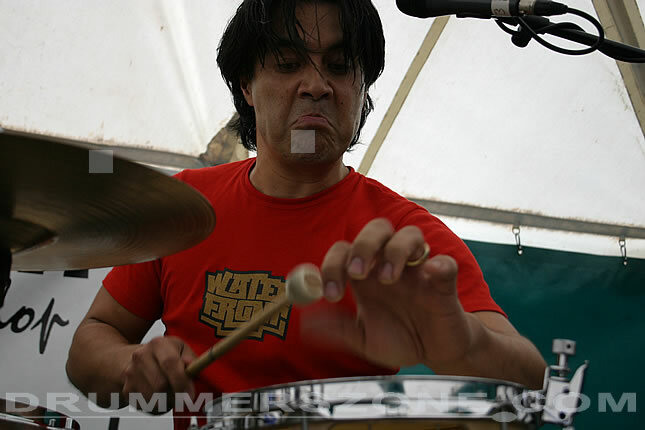 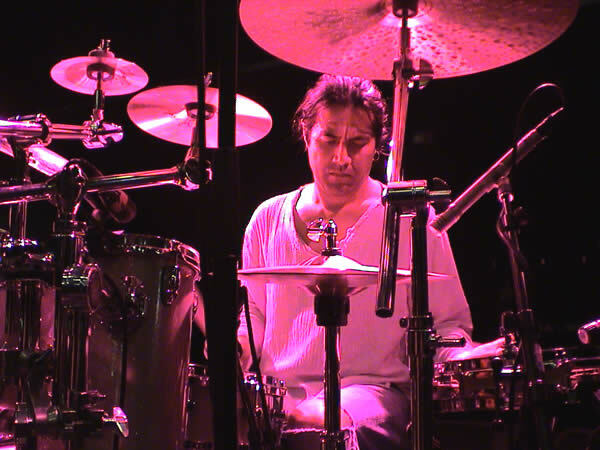 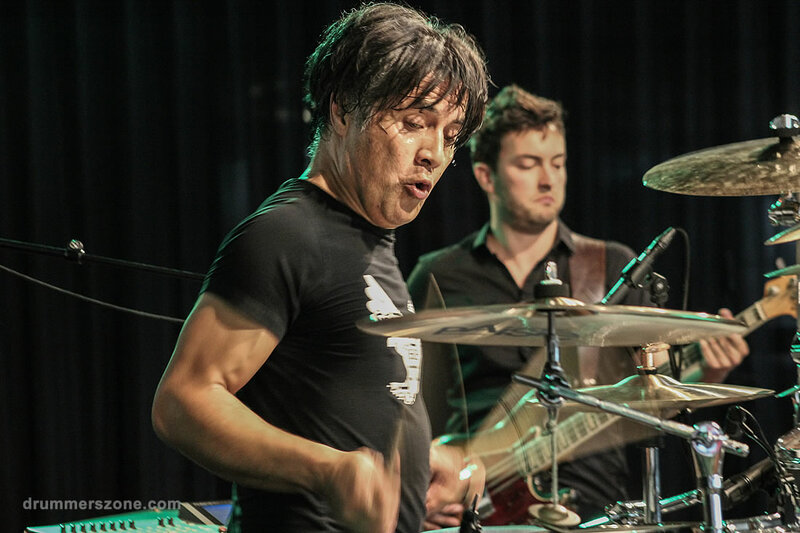 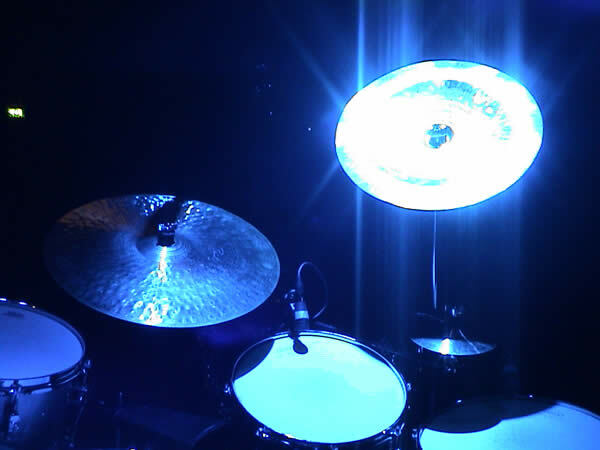 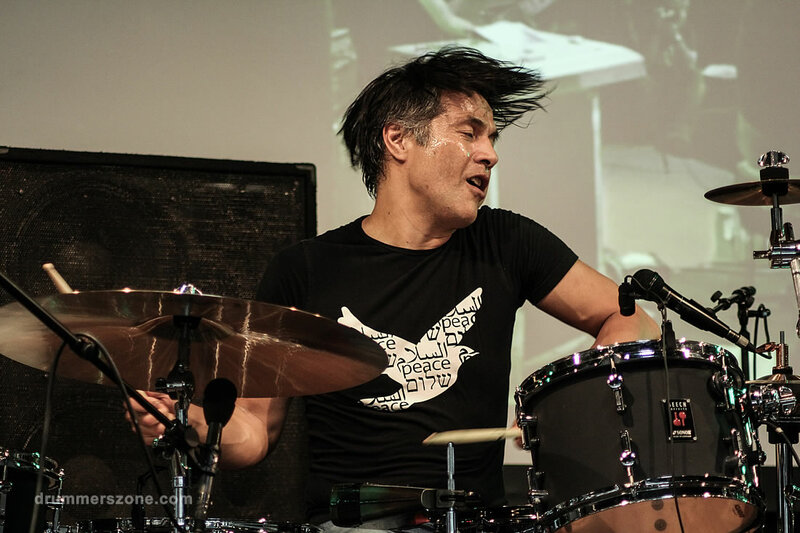 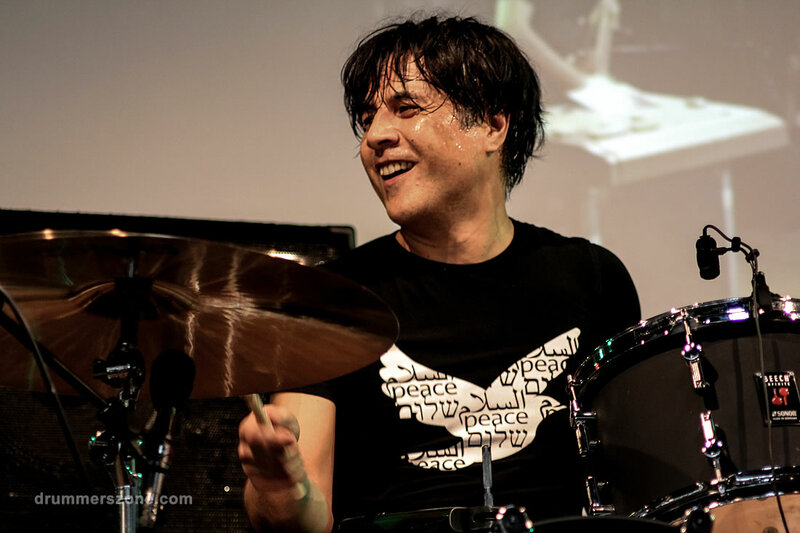 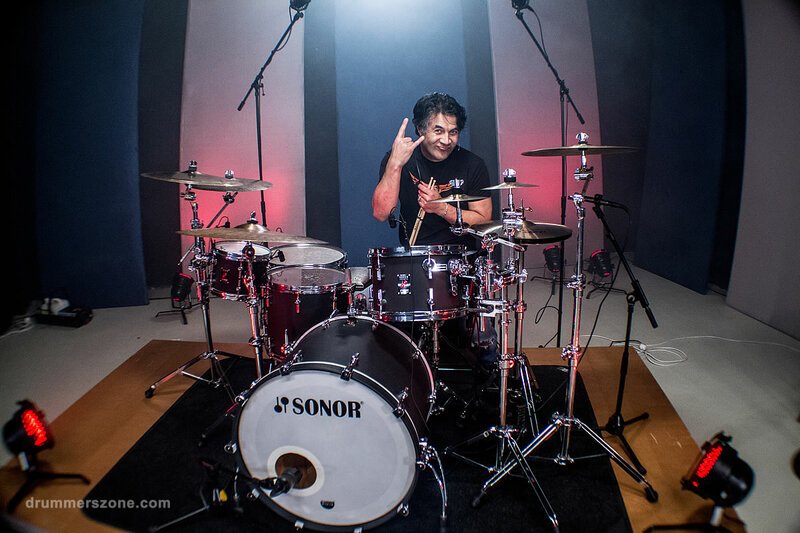 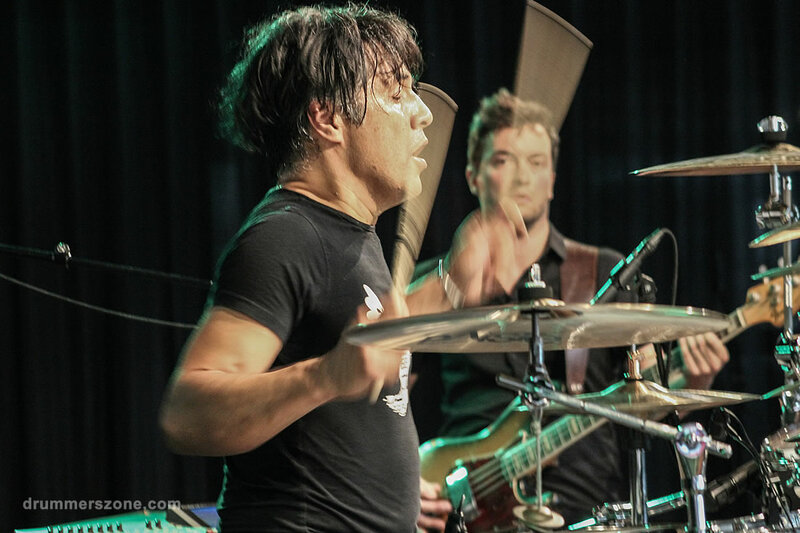 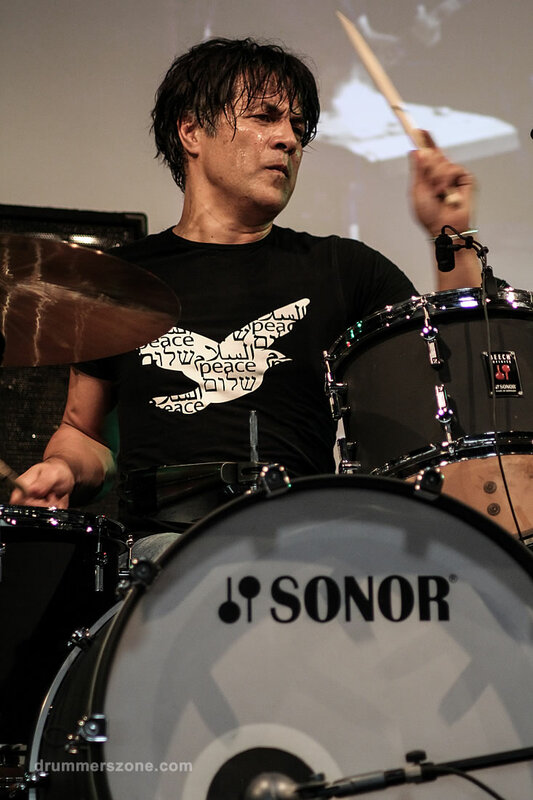 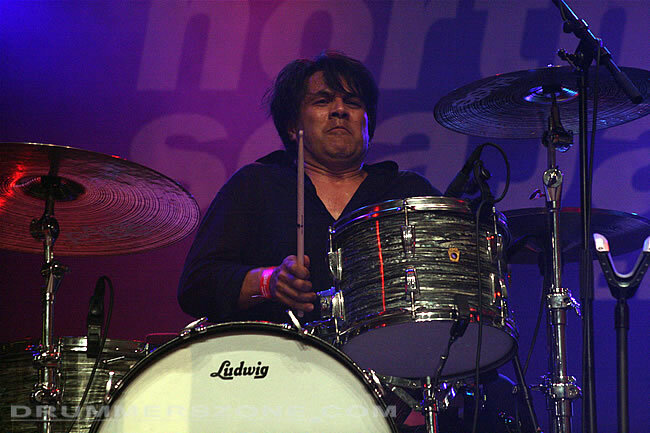 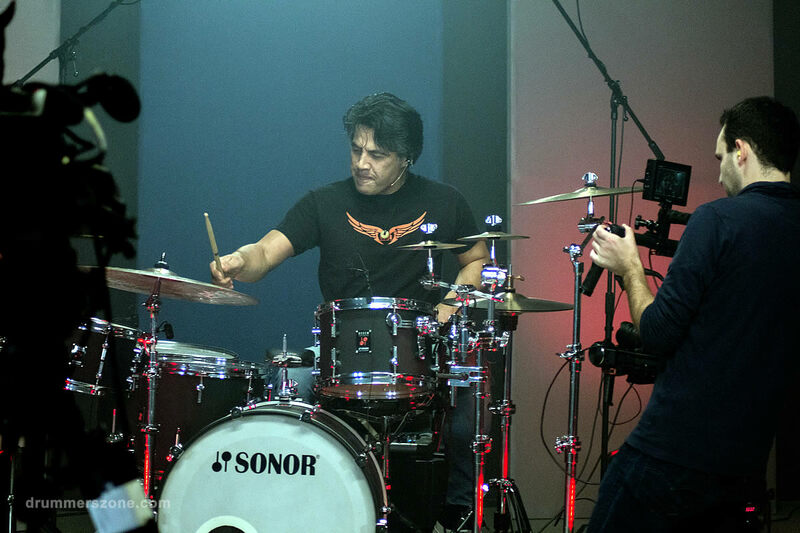 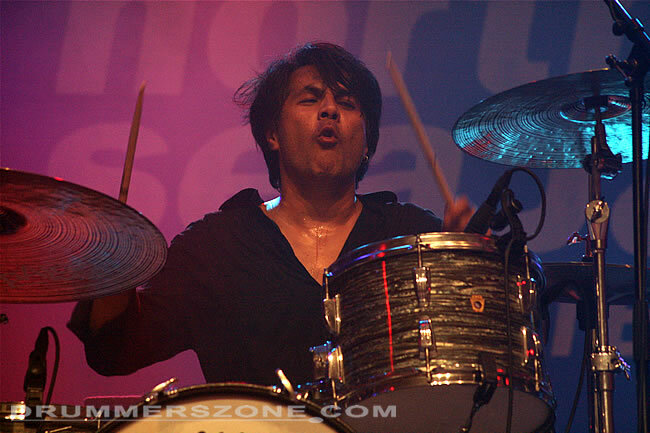 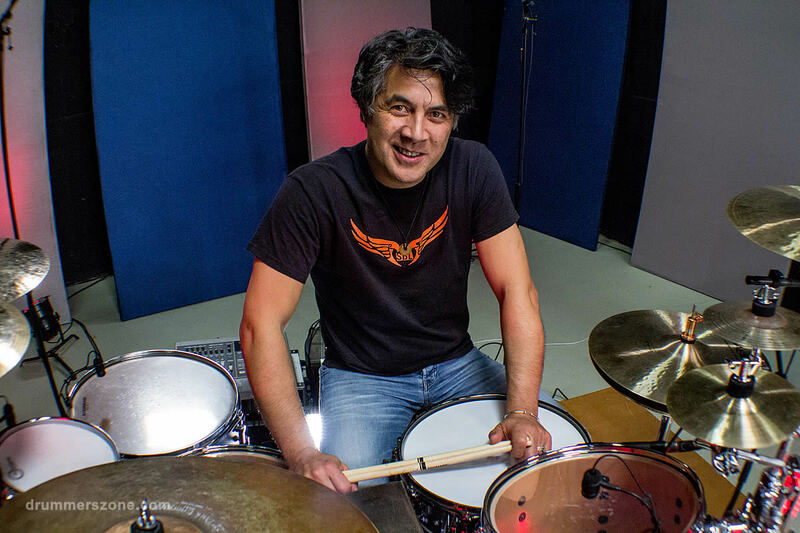 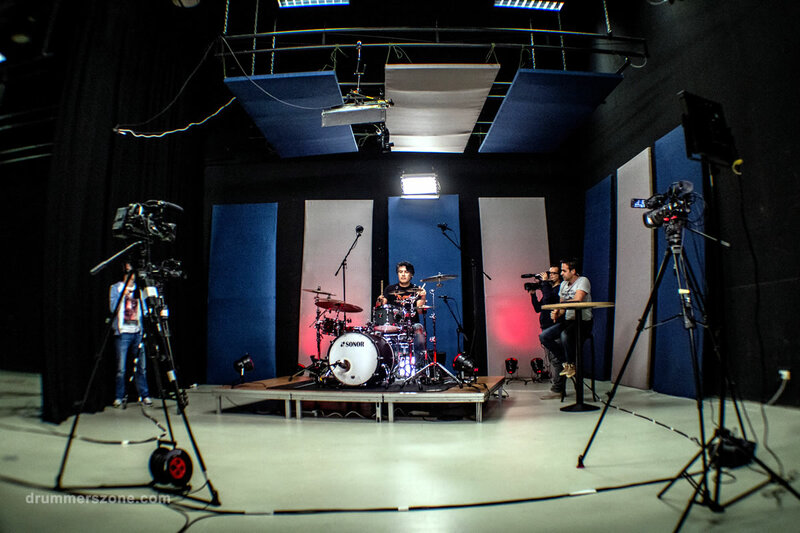 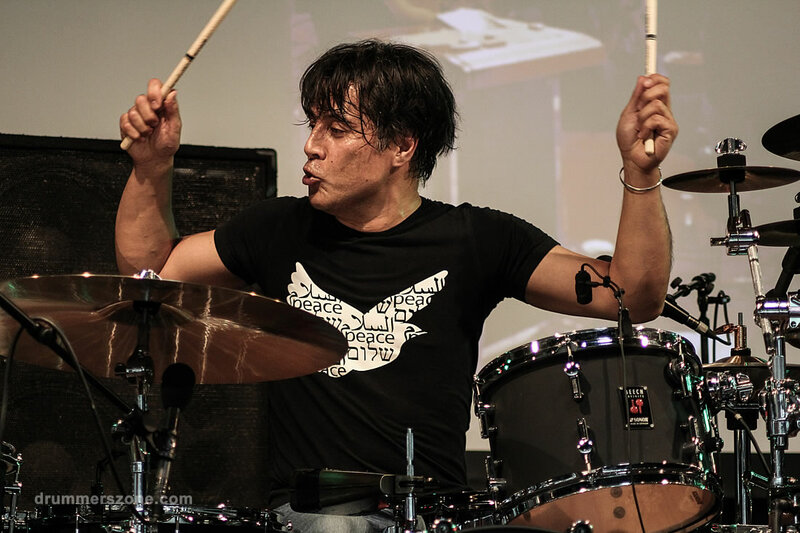 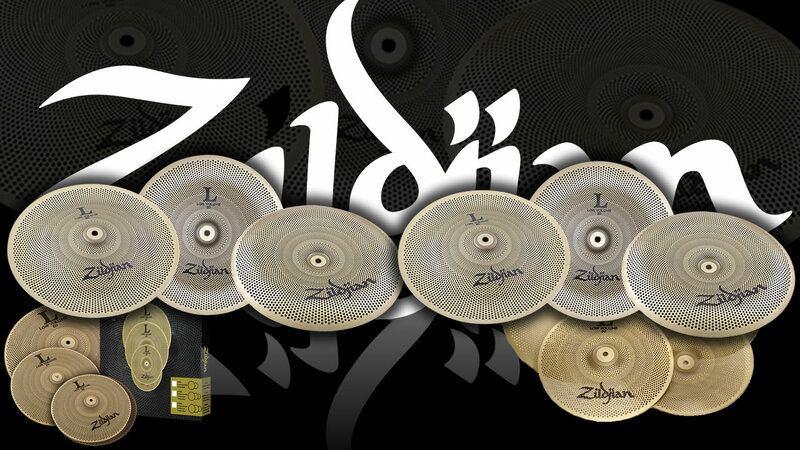 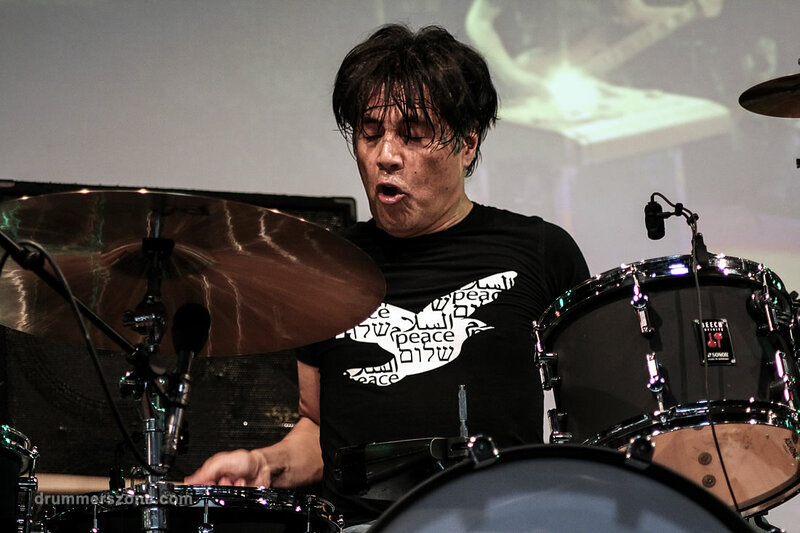 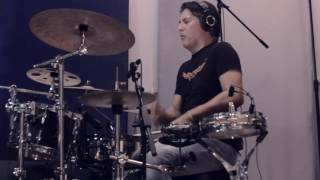 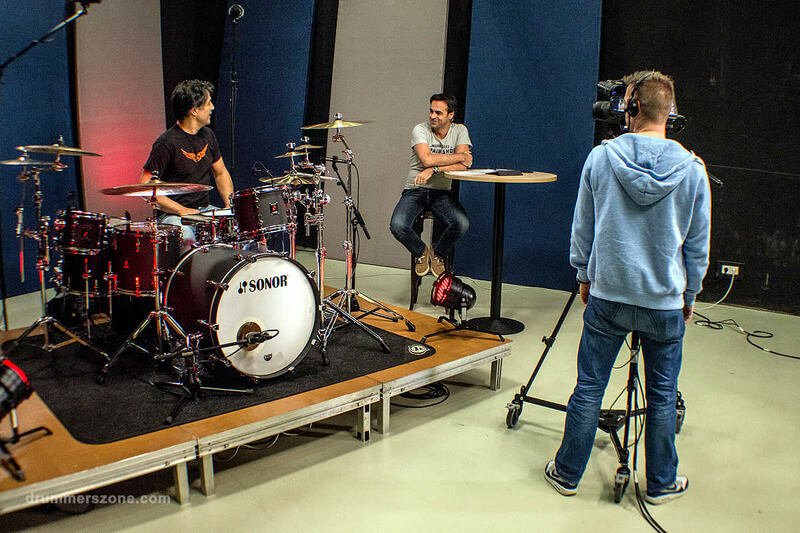 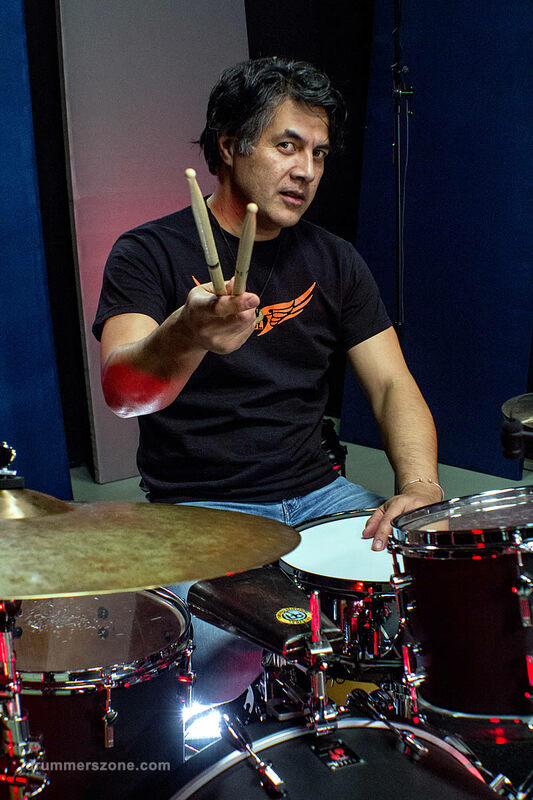 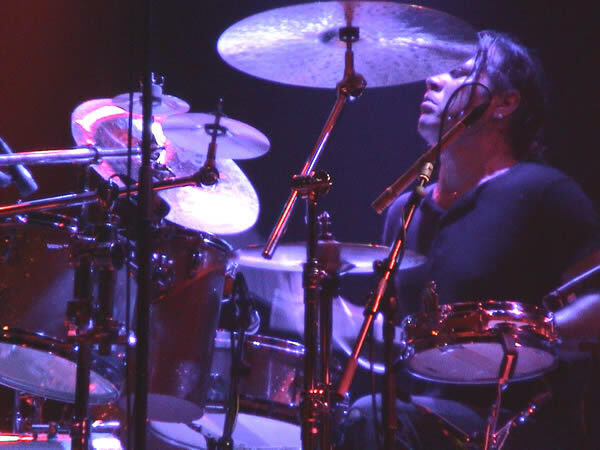 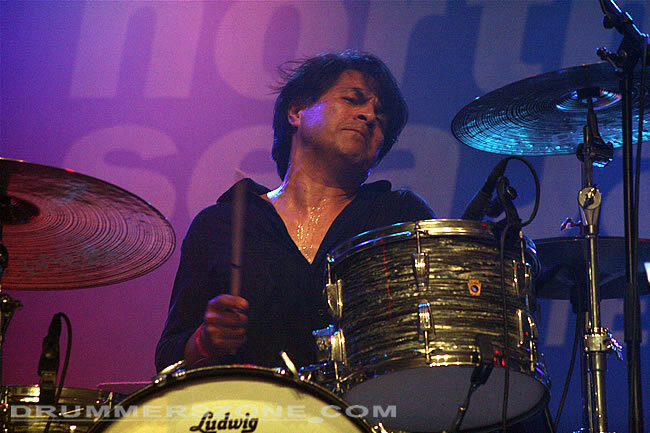 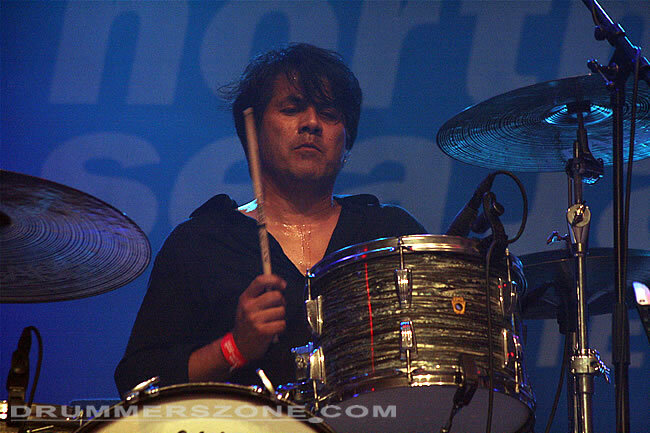 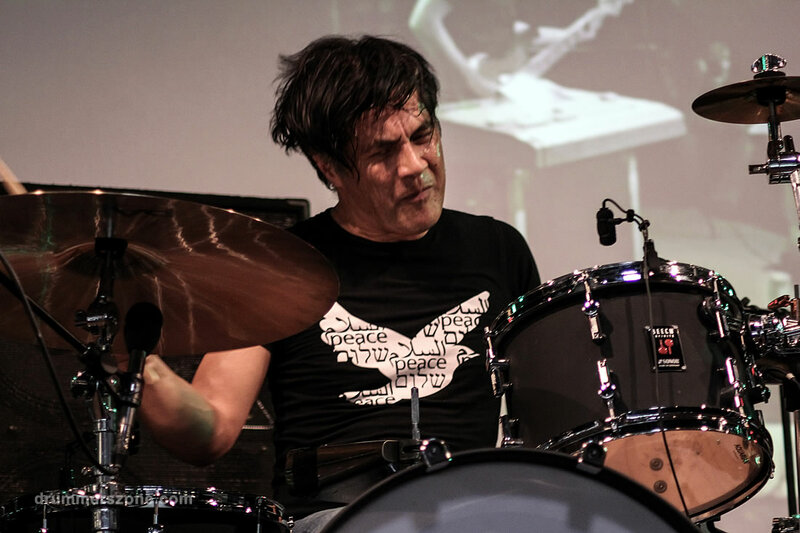 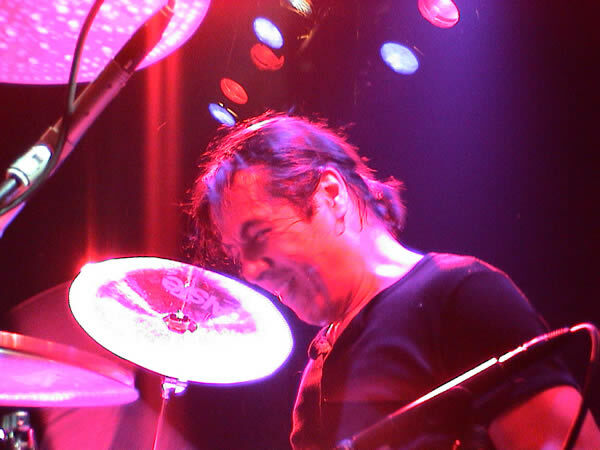 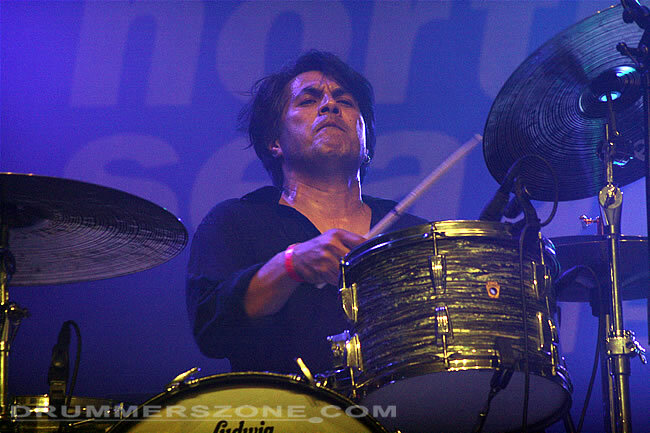 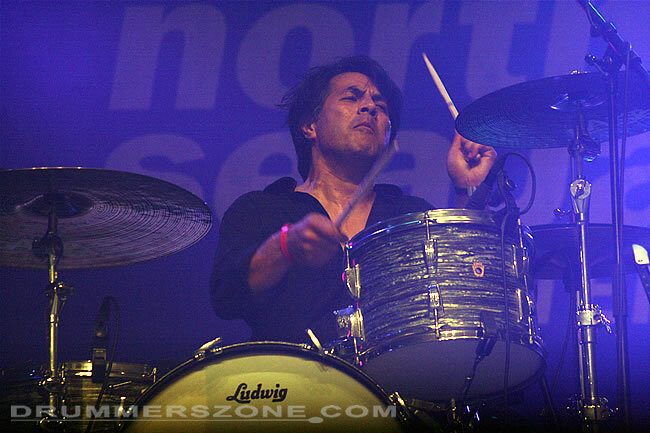 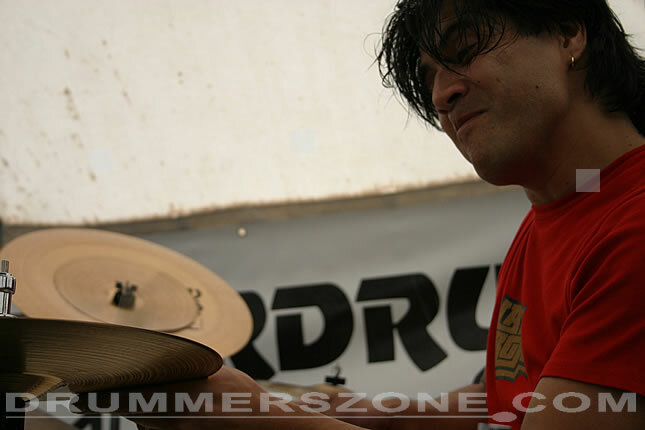 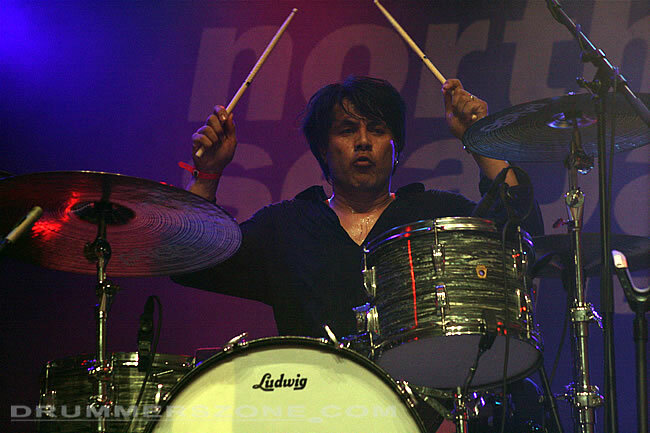 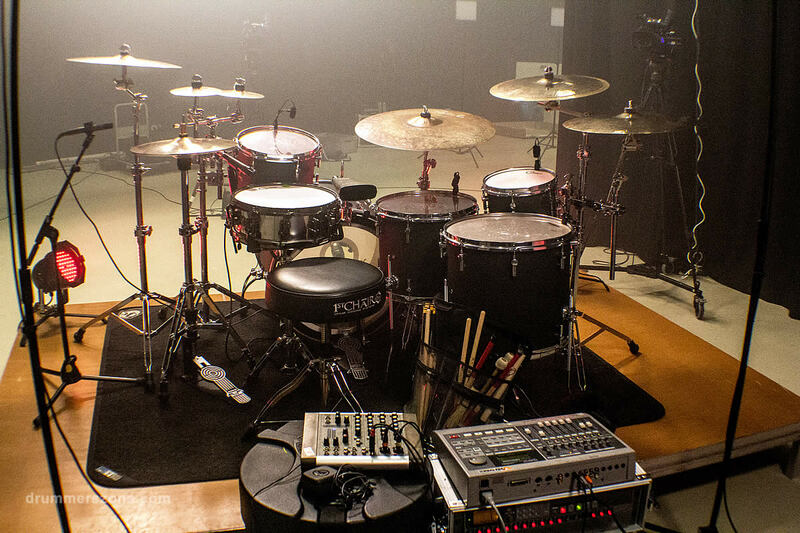 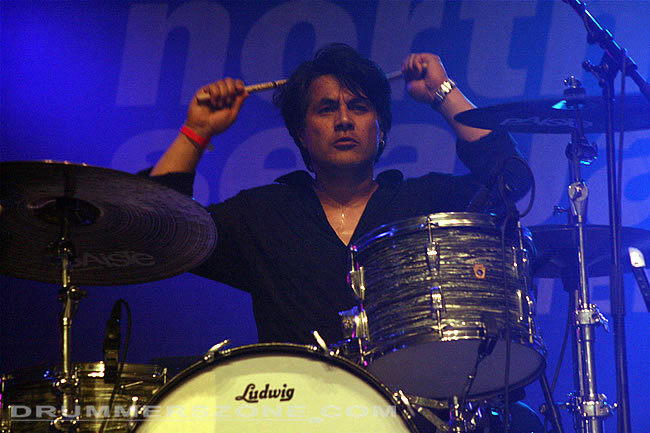 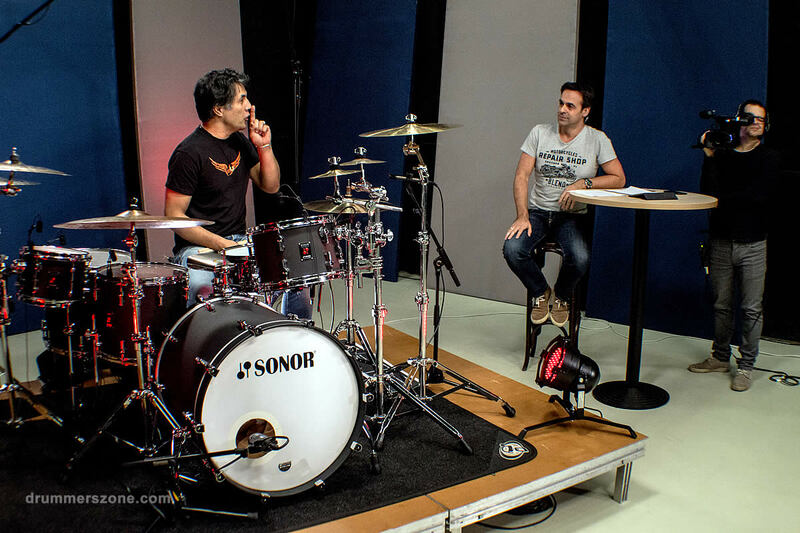 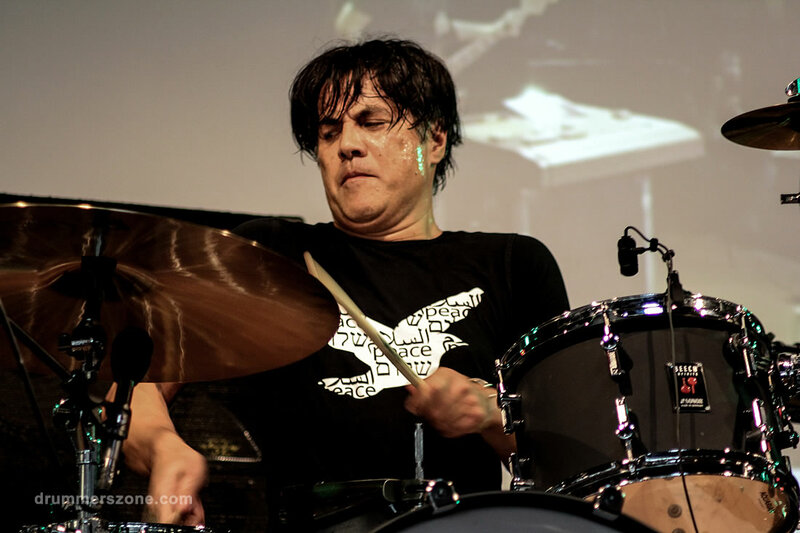 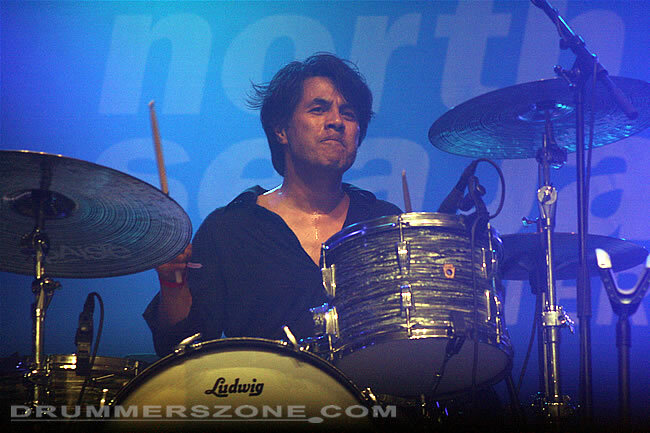 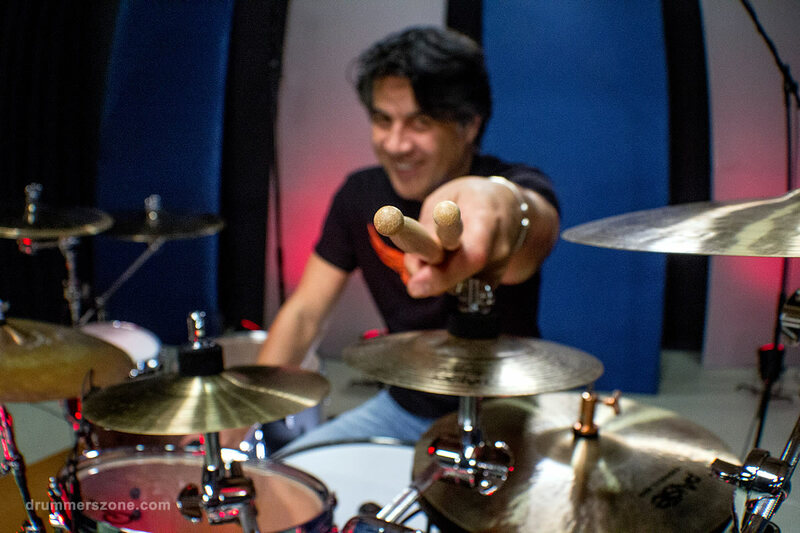 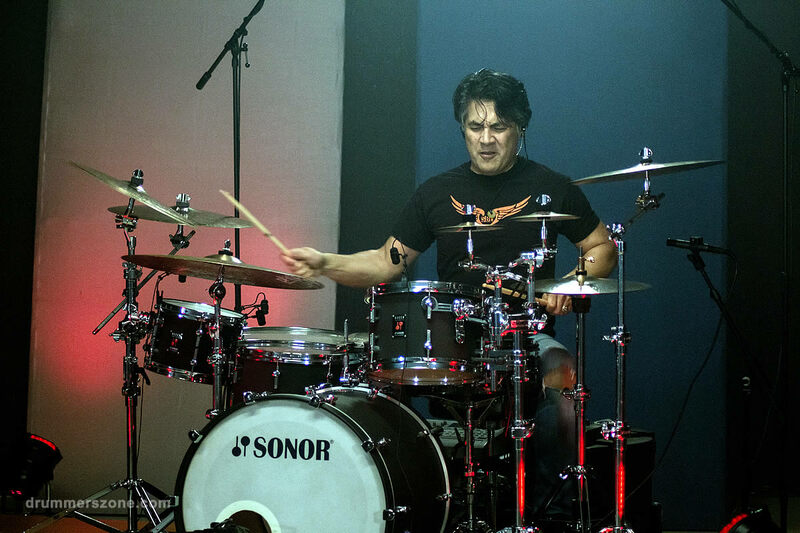 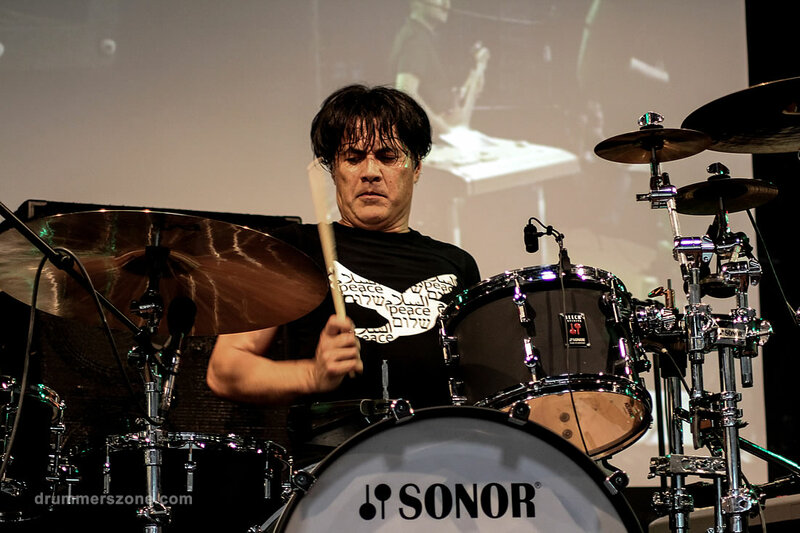 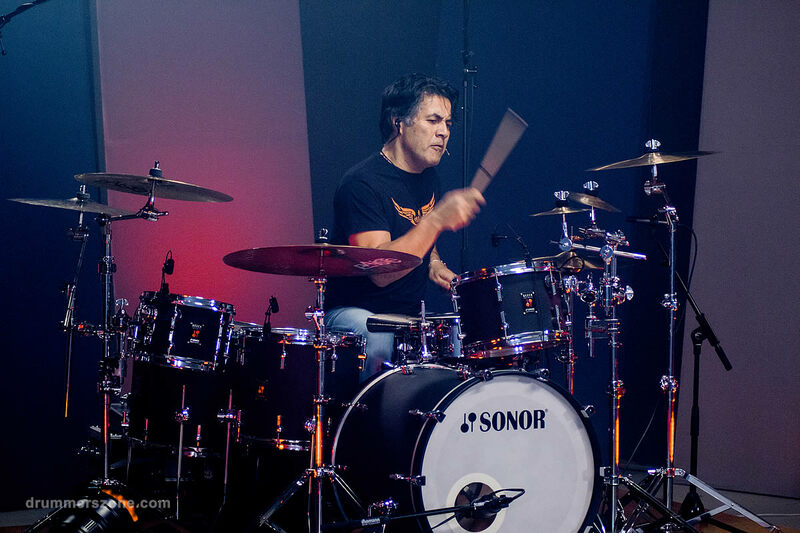 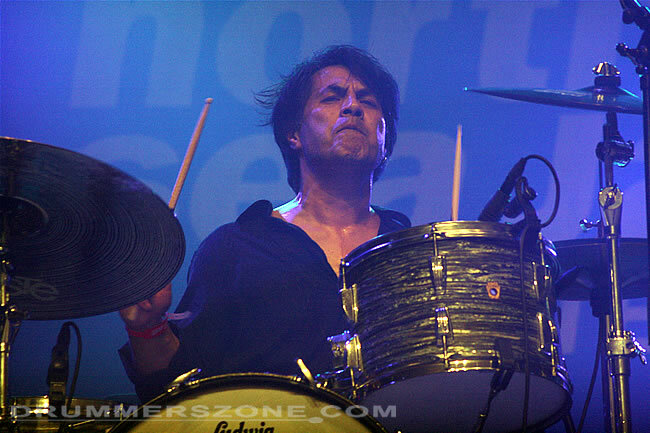 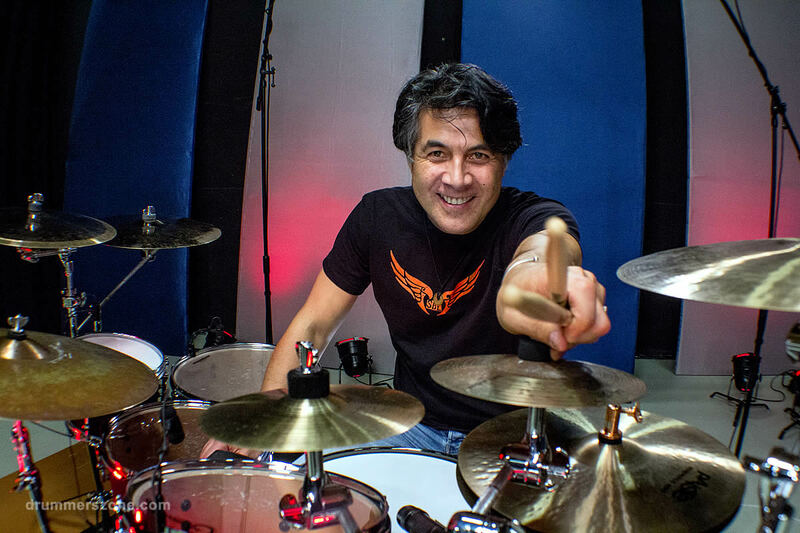 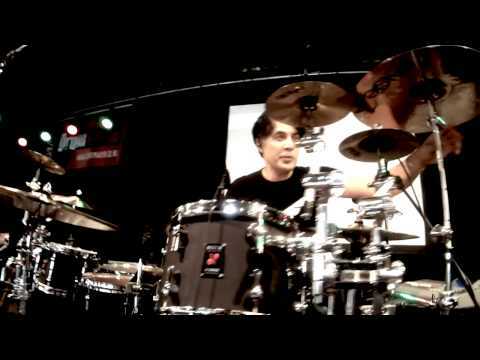 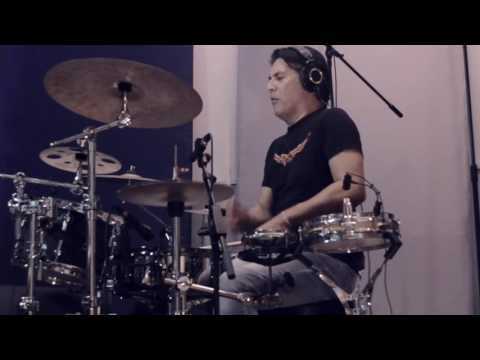 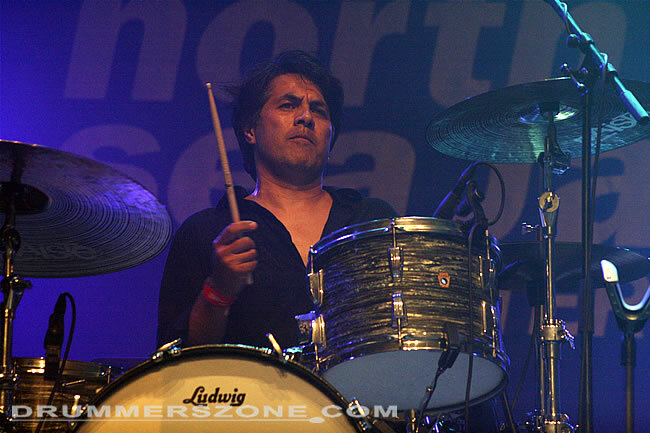 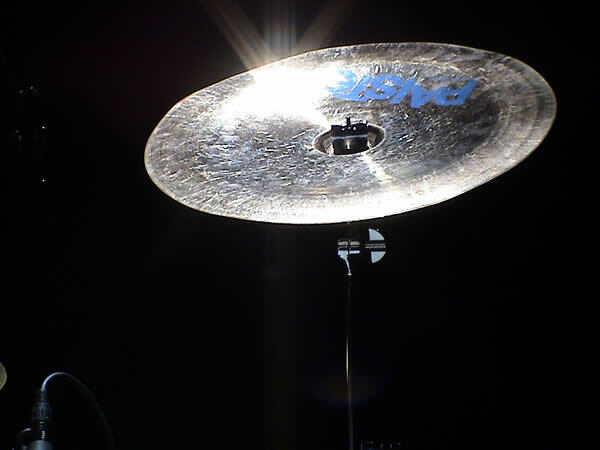 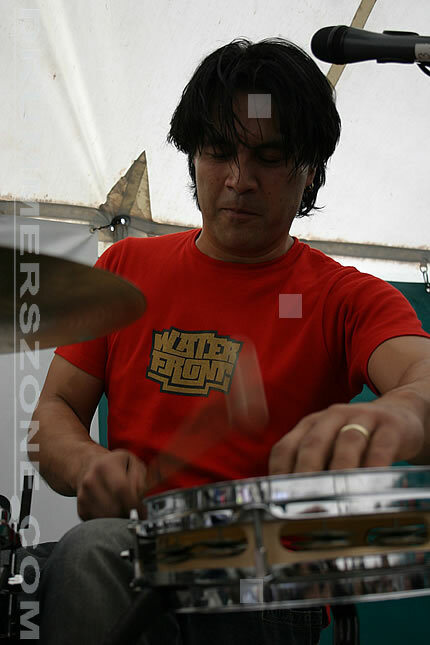 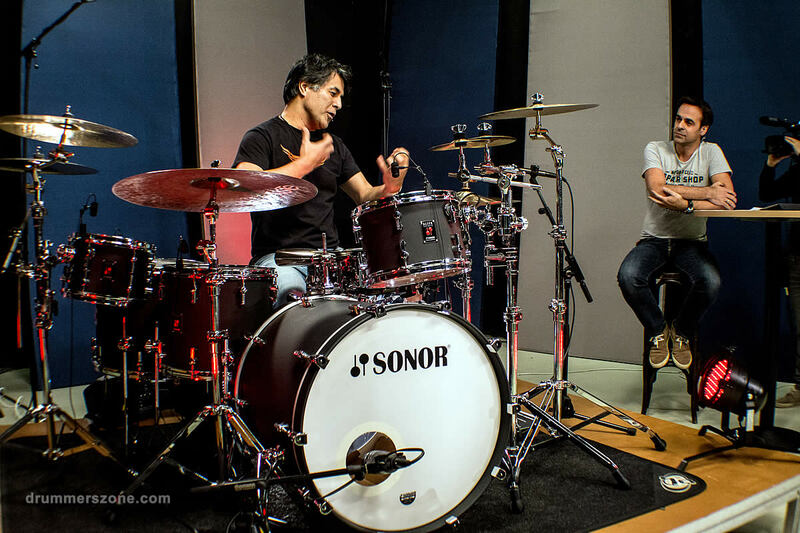 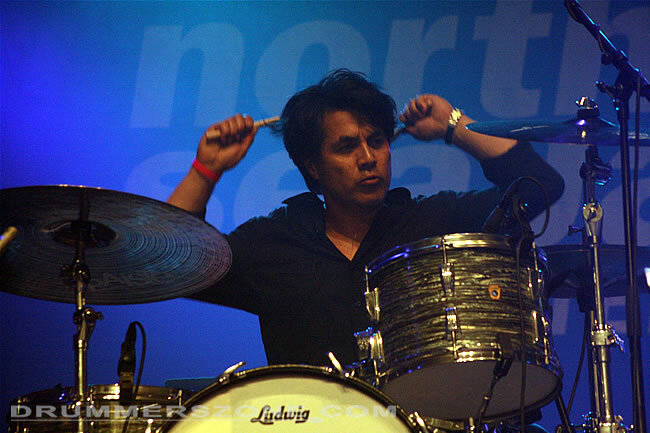 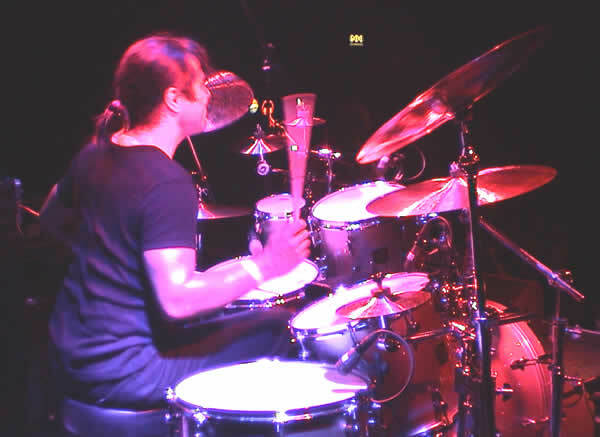 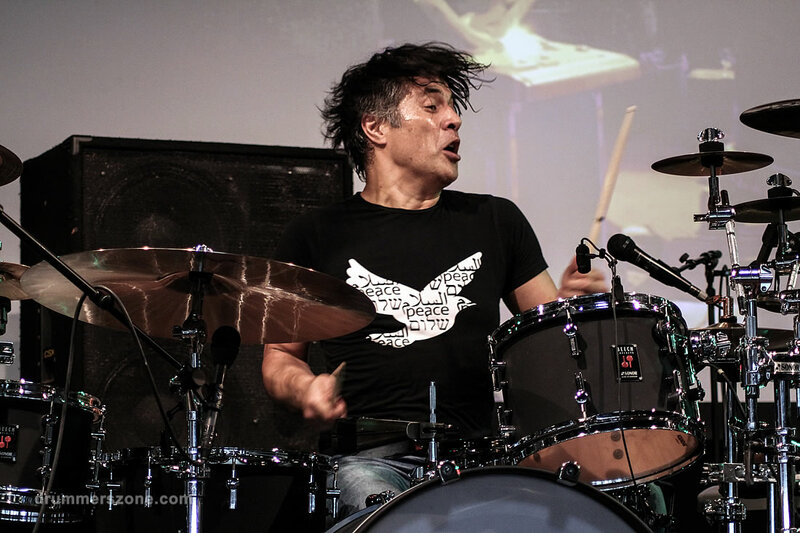 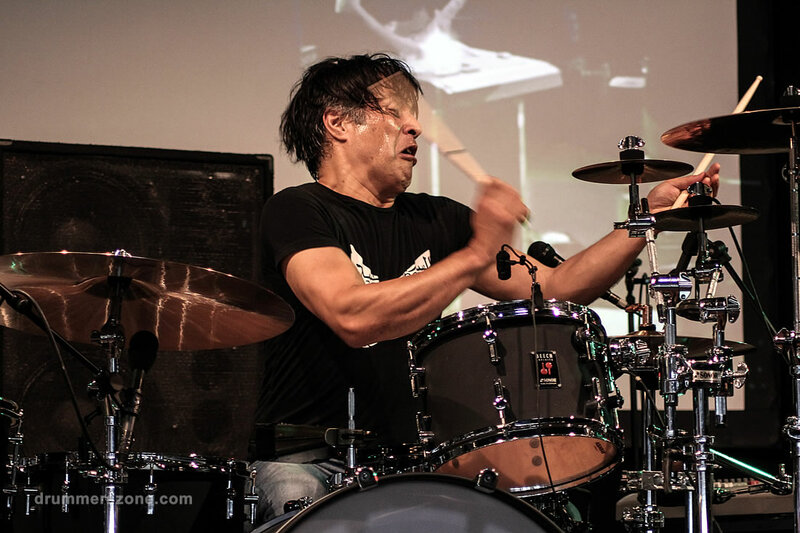 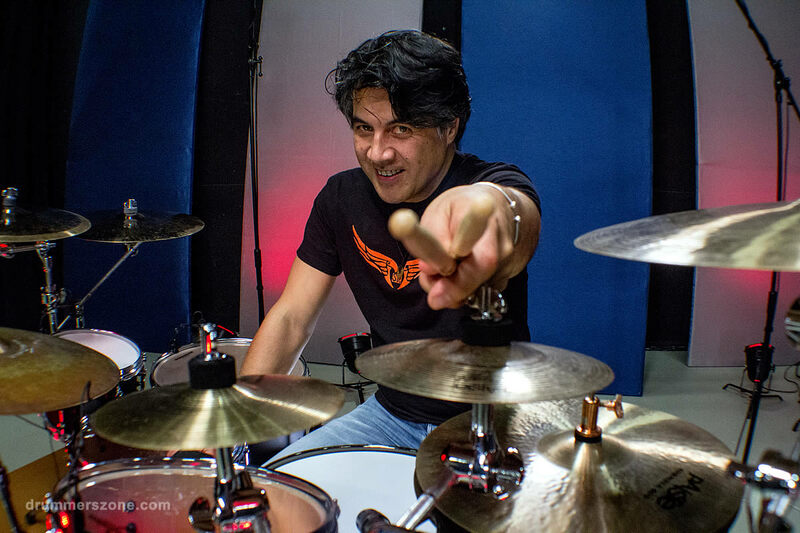 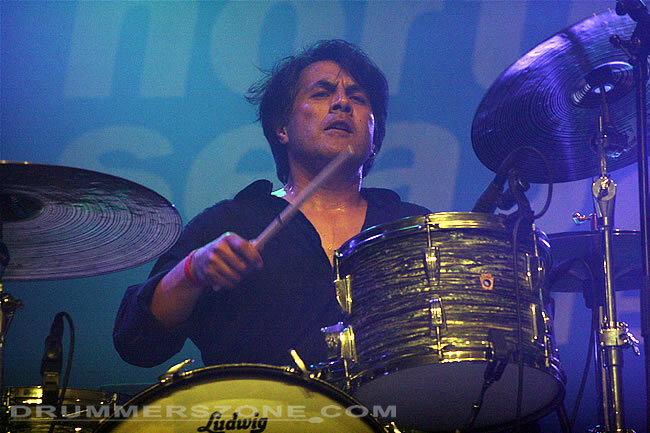 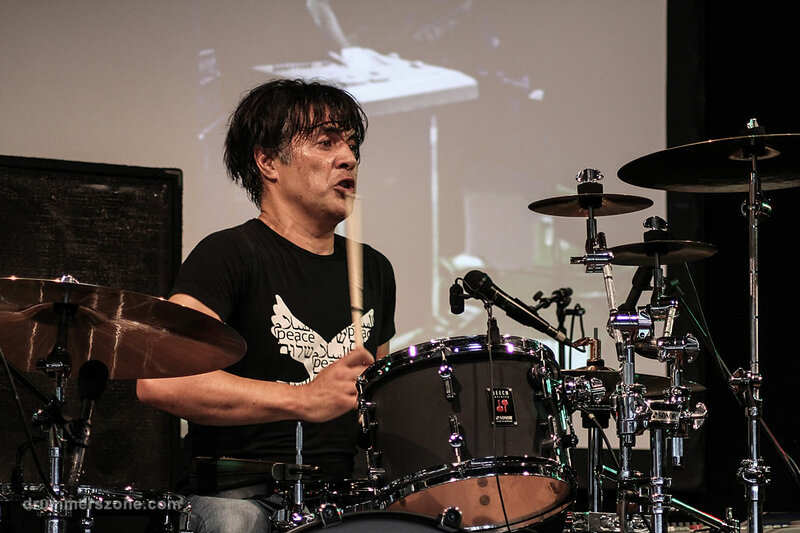 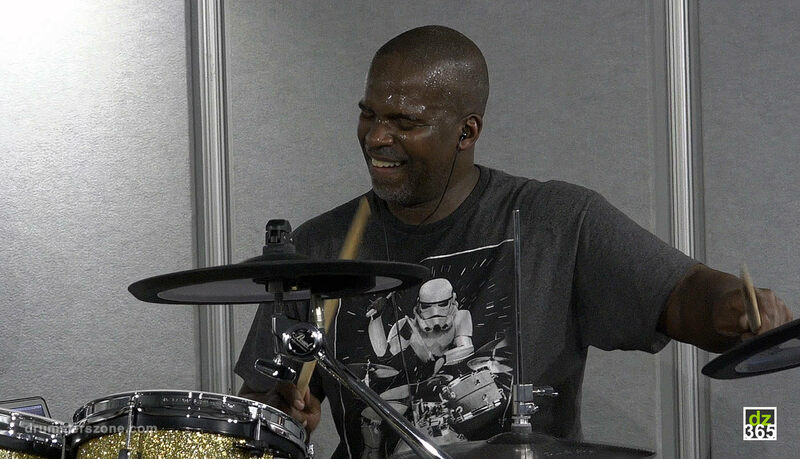 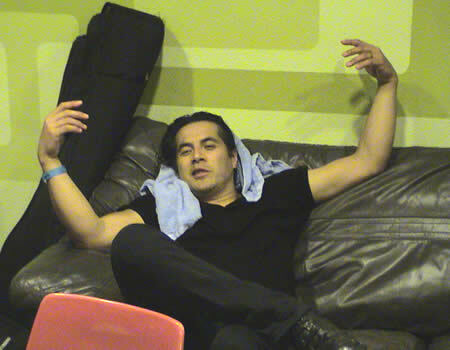 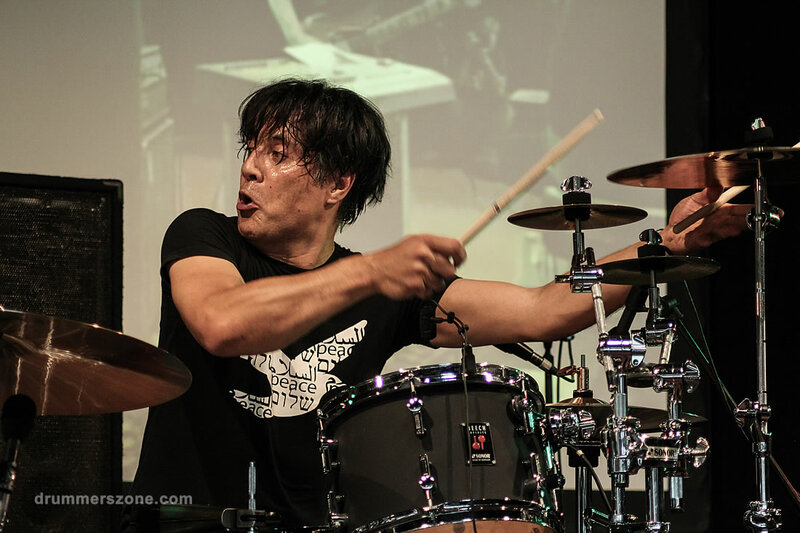 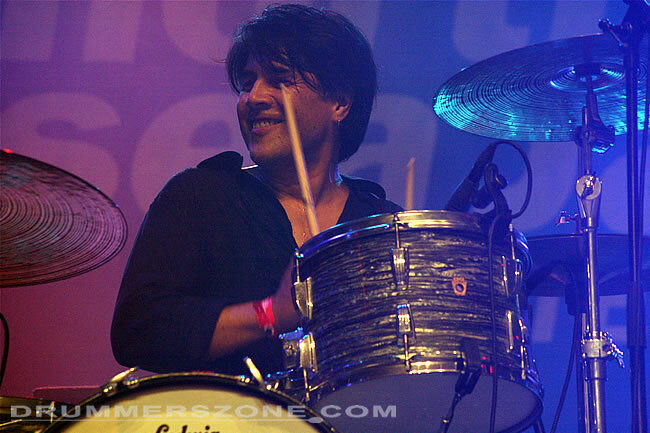 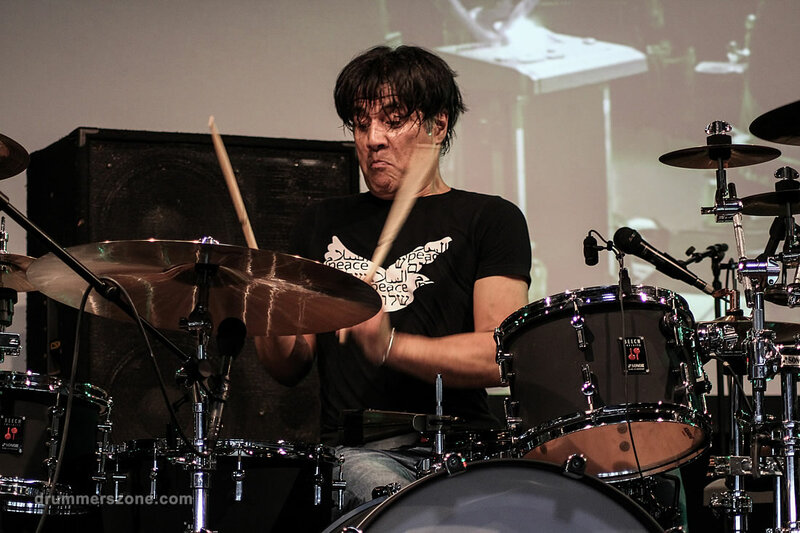 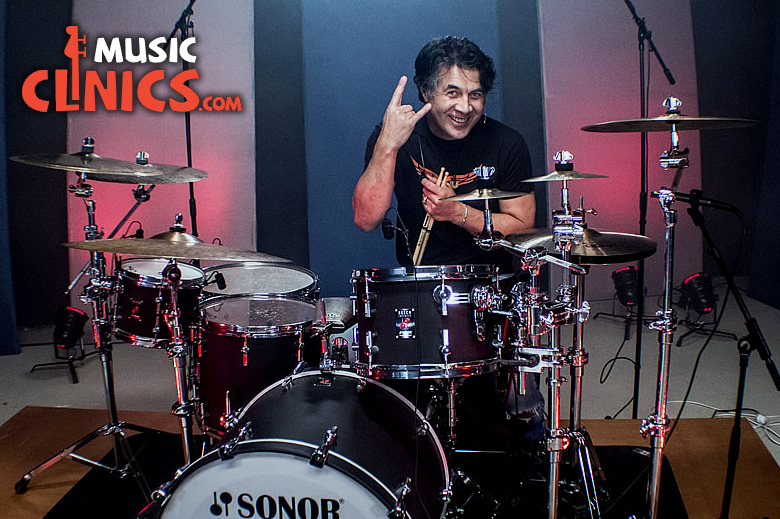 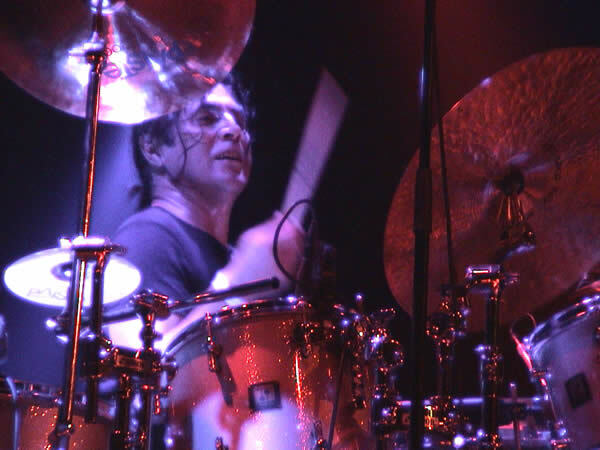 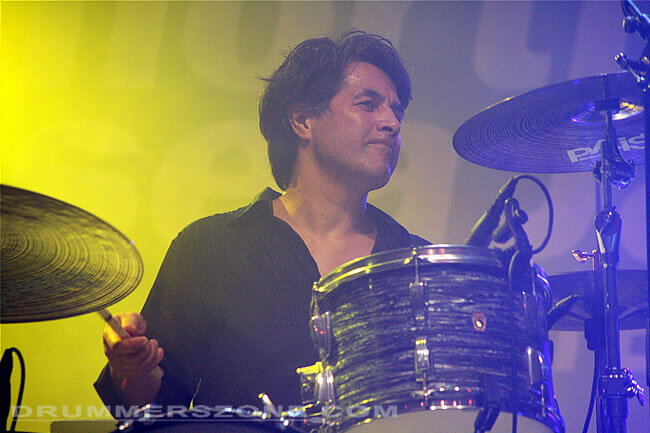 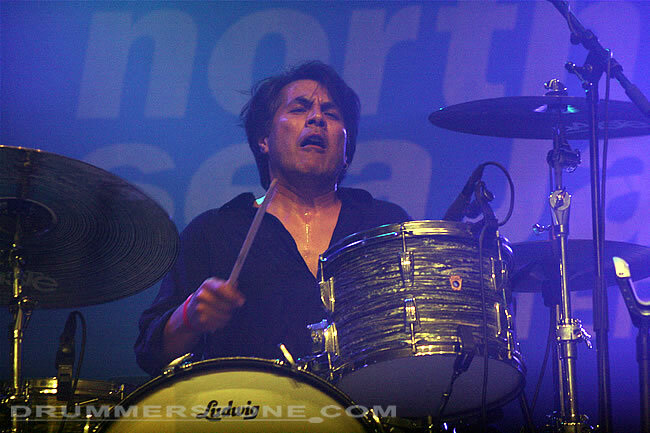 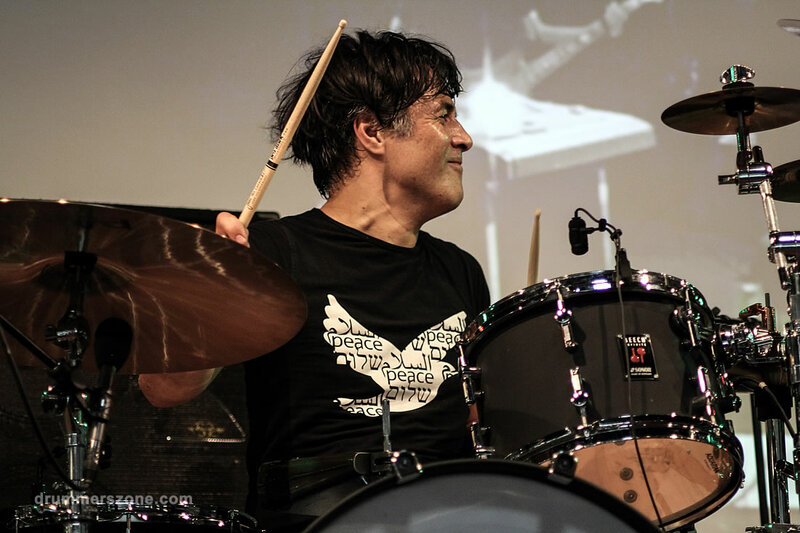 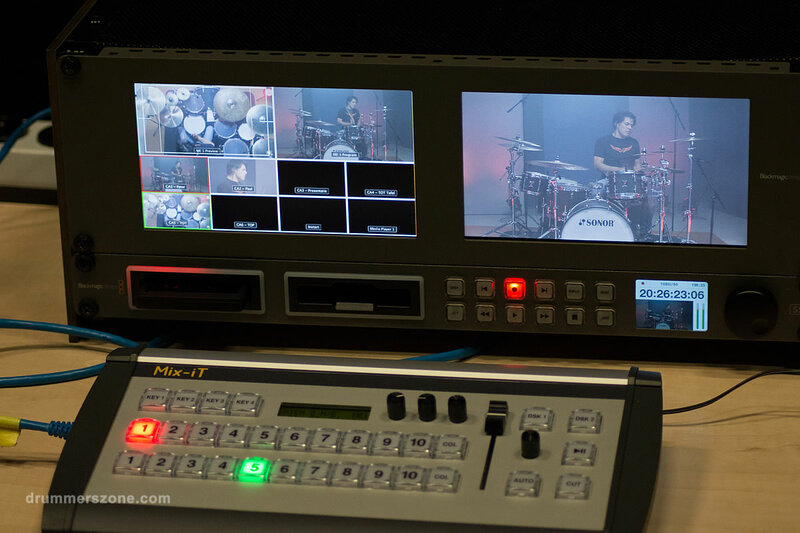 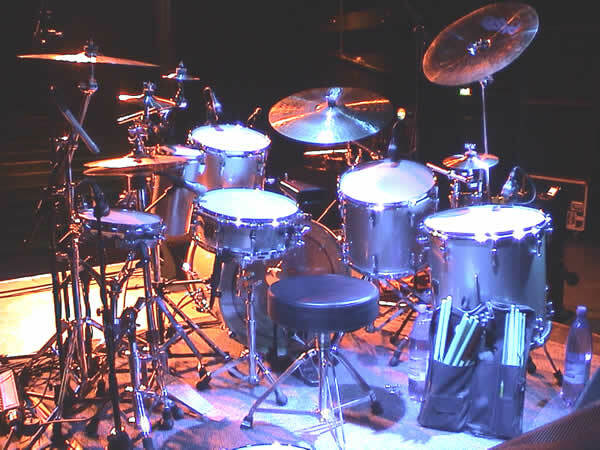 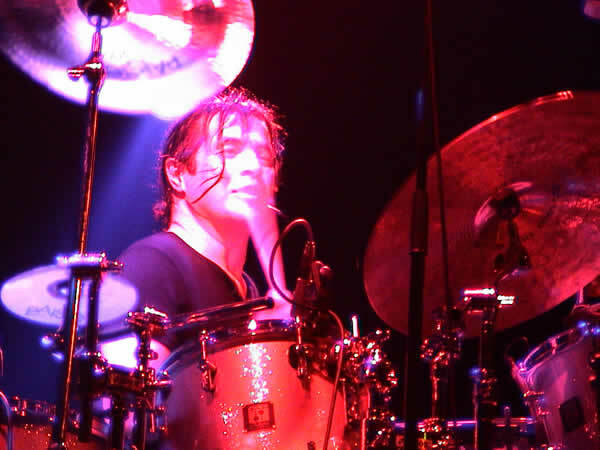 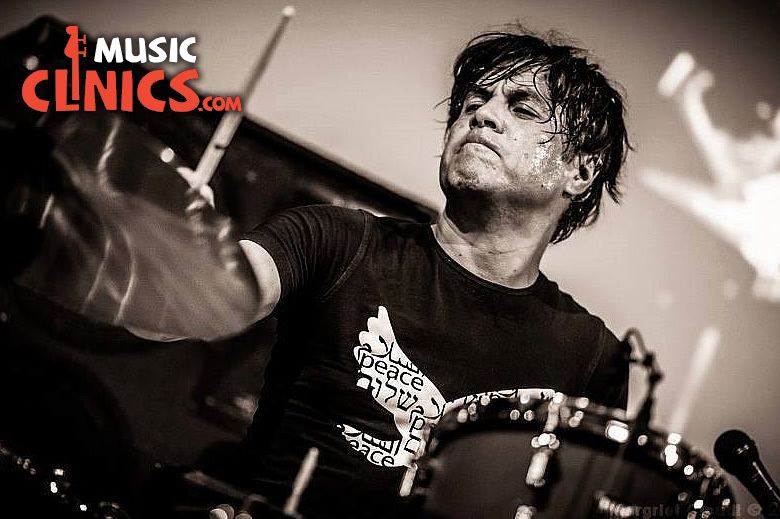 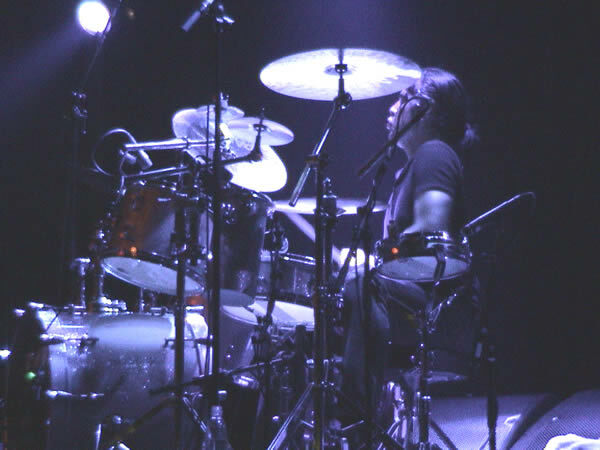 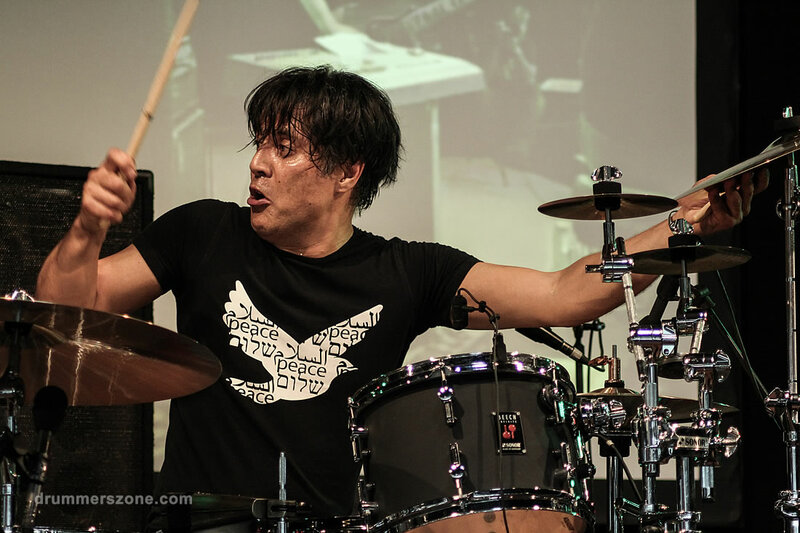 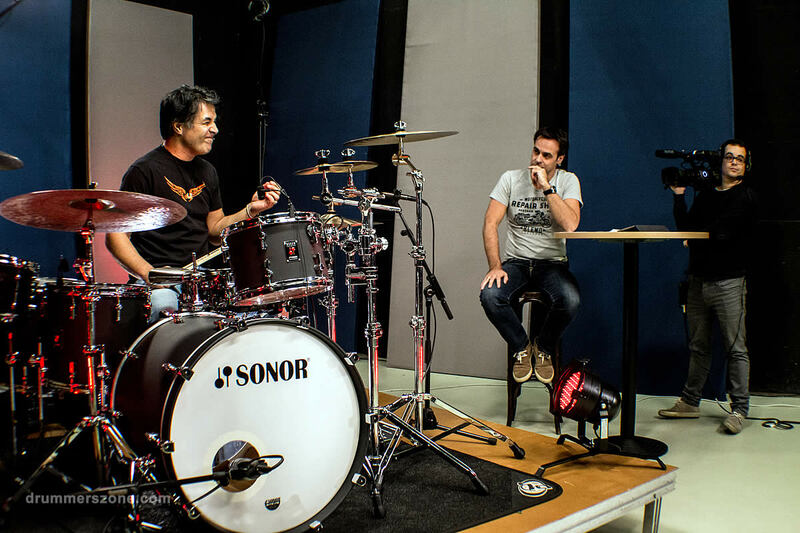 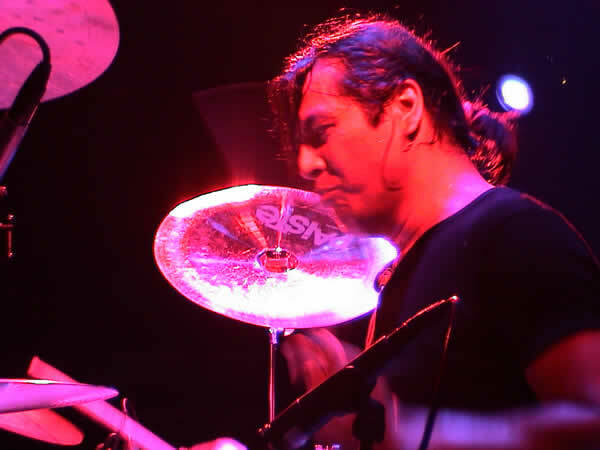 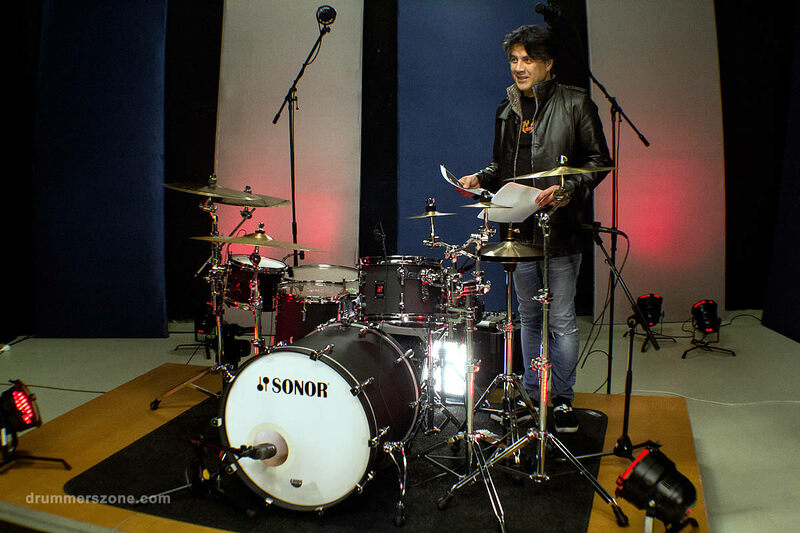 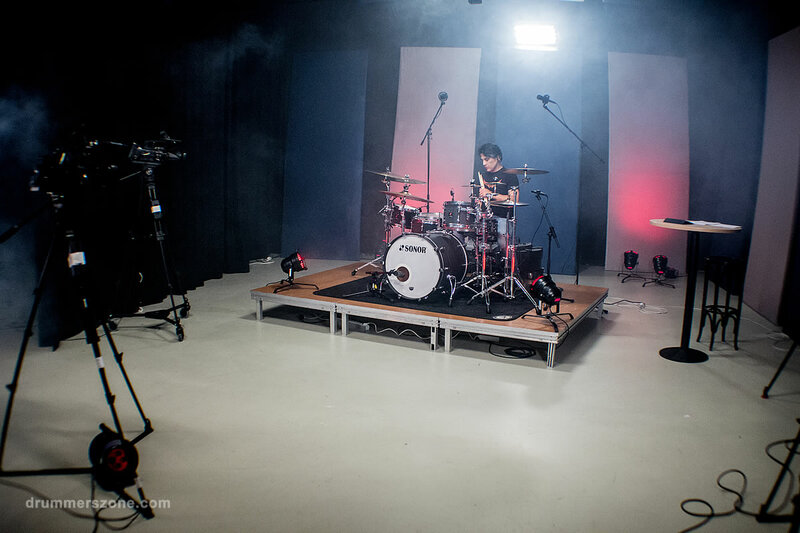 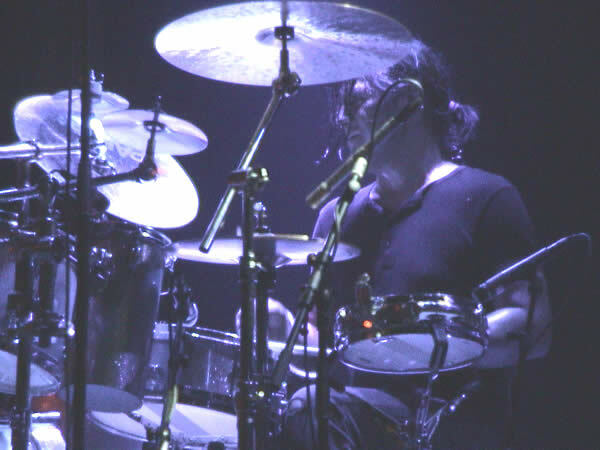 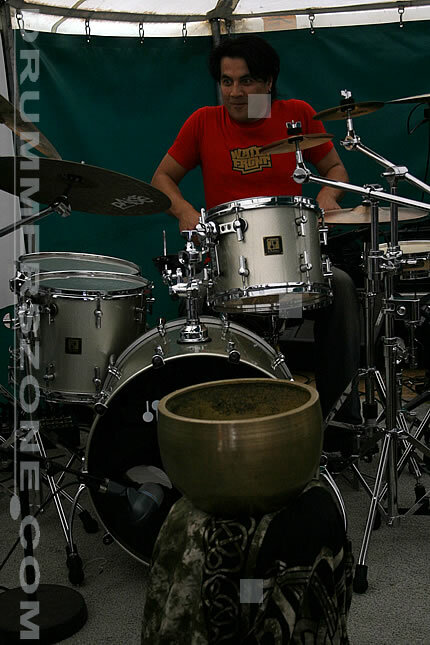 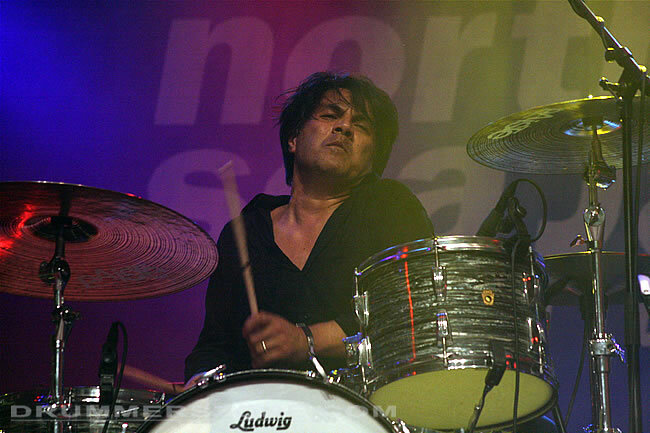 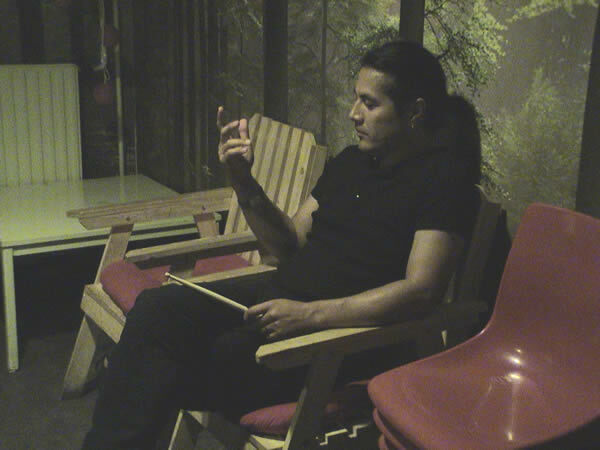 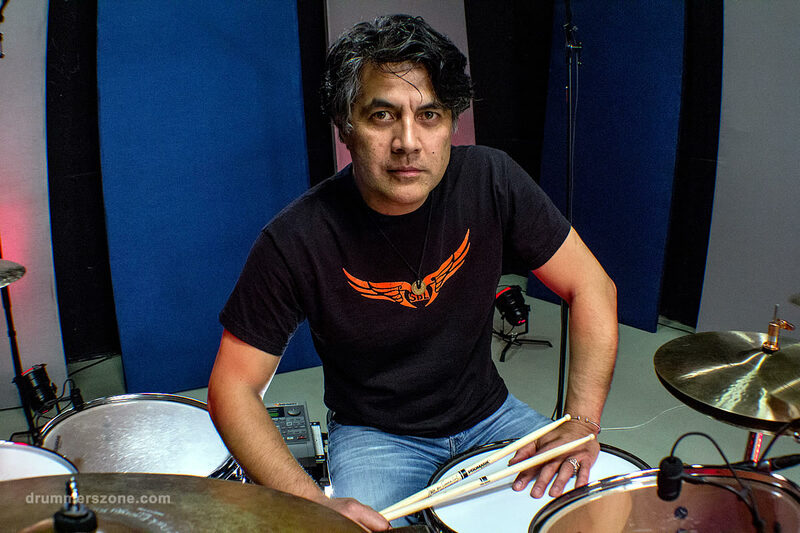 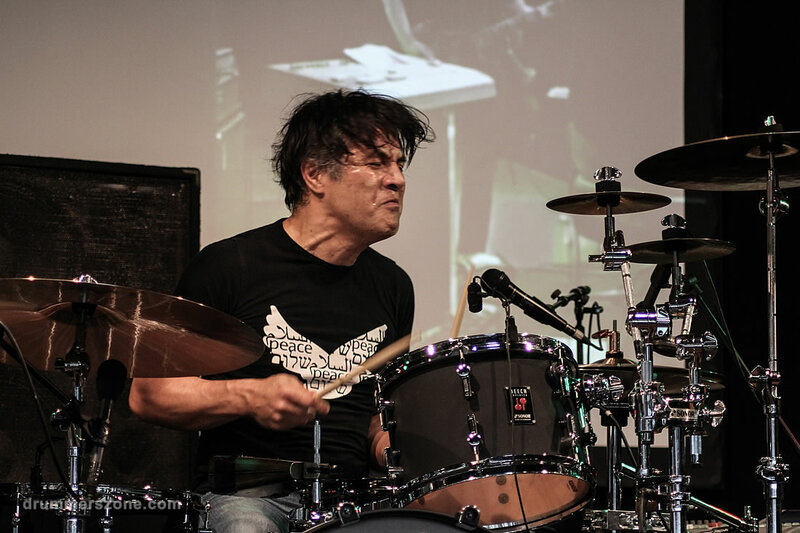 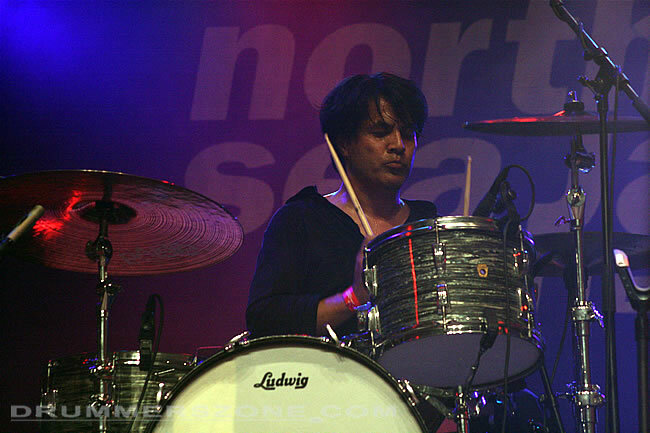 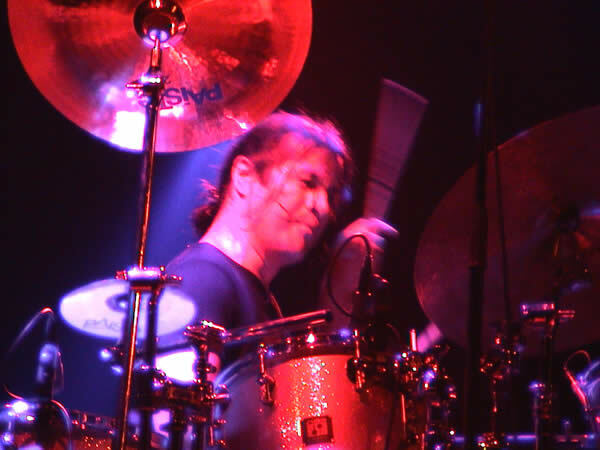 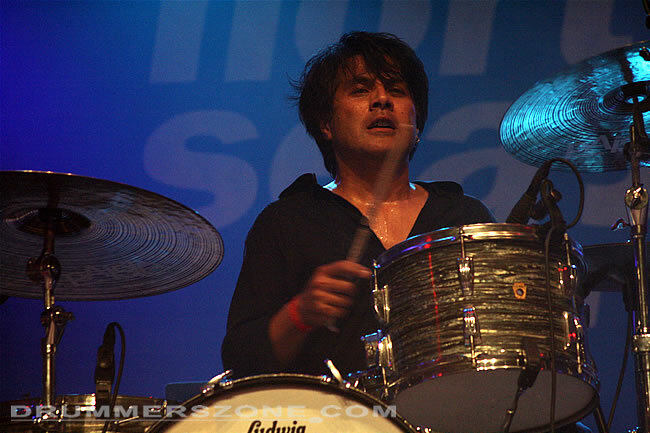 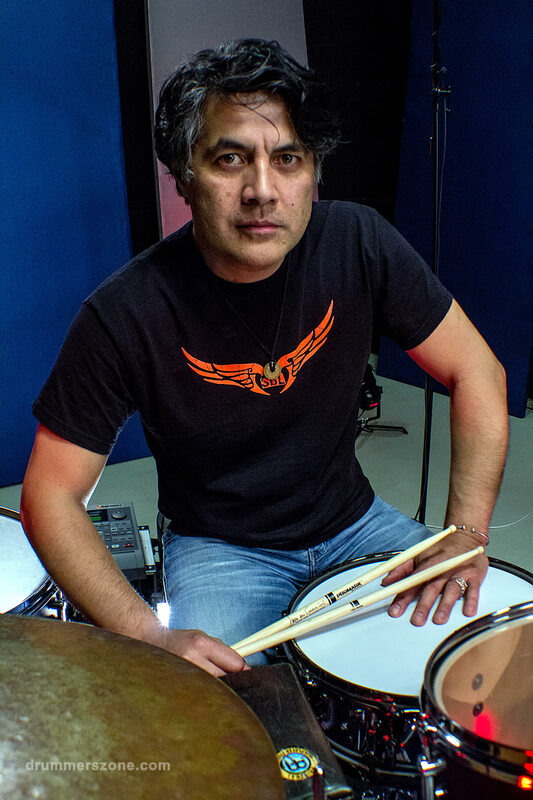 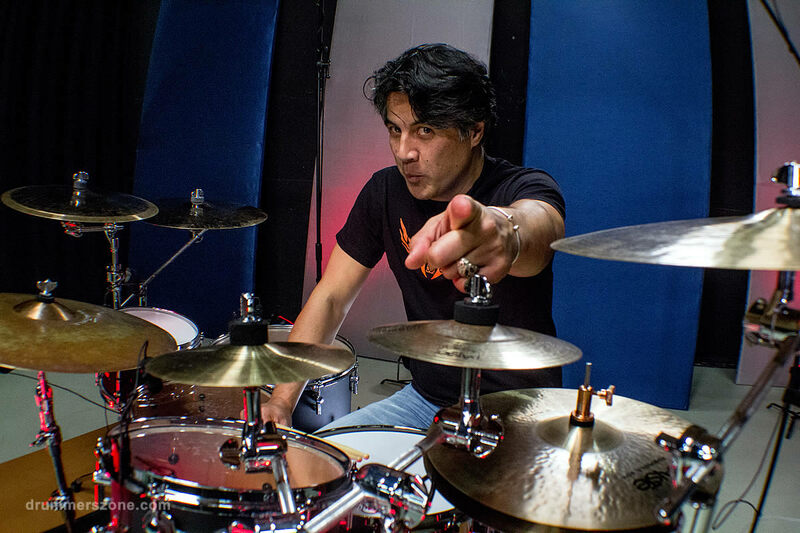 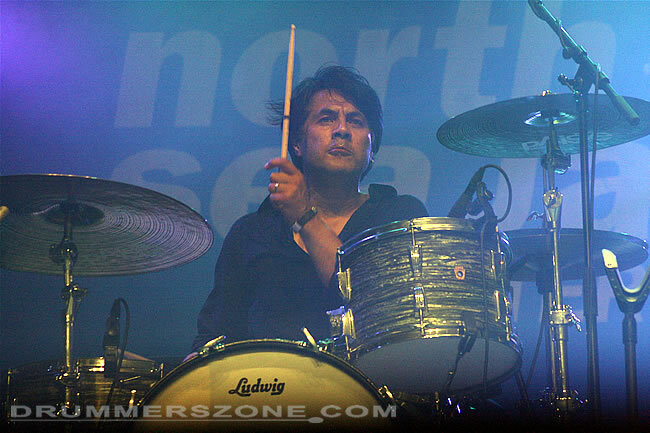 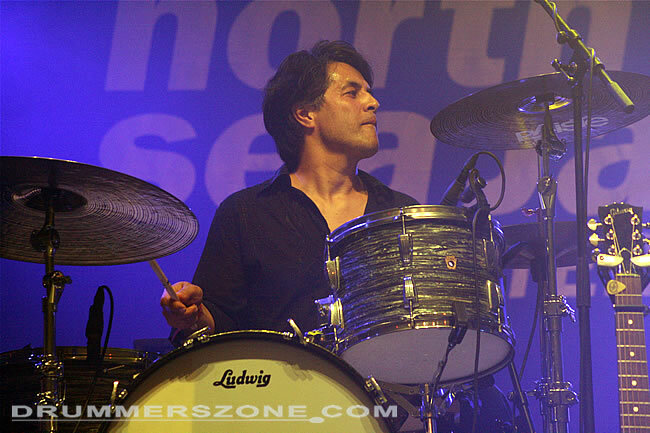 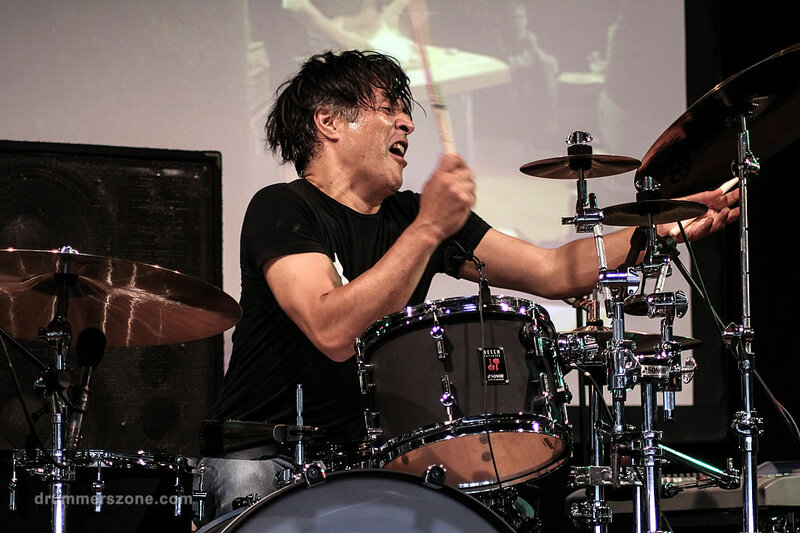 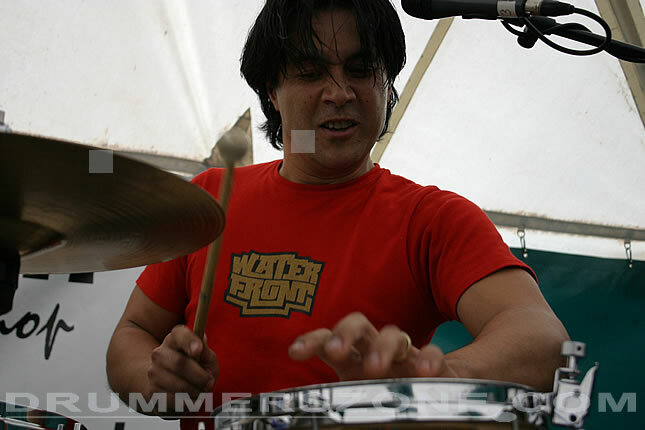 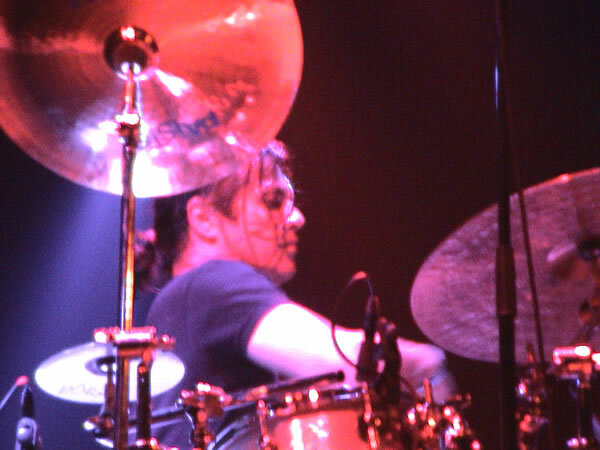 As a professional session drummer, Juan played together with quite a number of artists, including the Dutch artists Kaz Lux (Brain Box), Julya Lo'Ko and Robby Valentine. 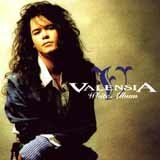 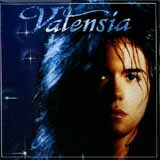 In 1996 & 1999, Juan toured Japan with Valentine and Valensia. 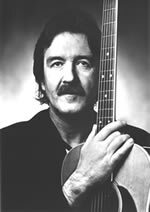 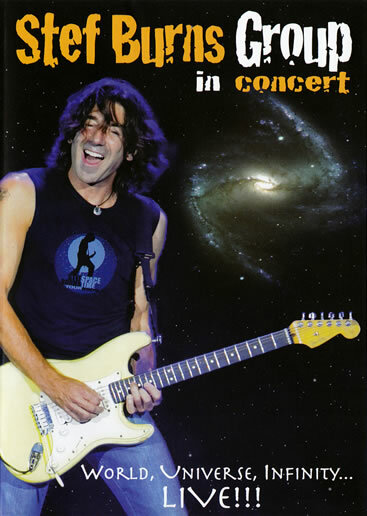 In August 2000, he was on tour in California with acoustic guitarist Peppino D'Agostino. 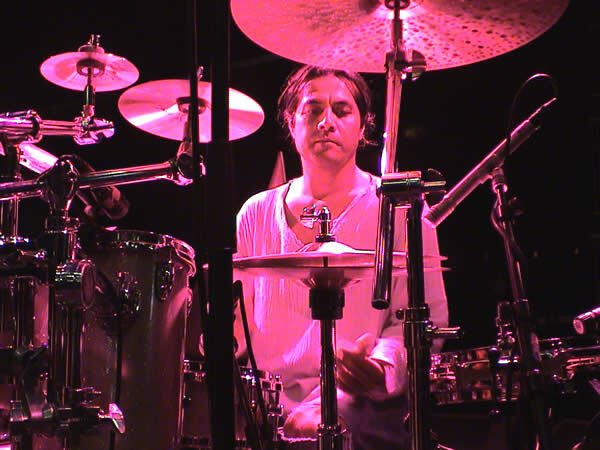 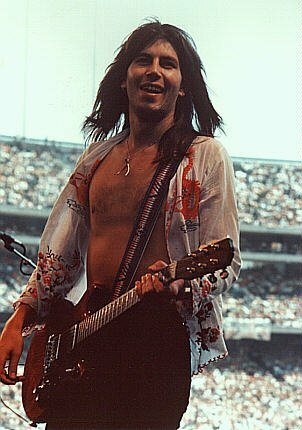 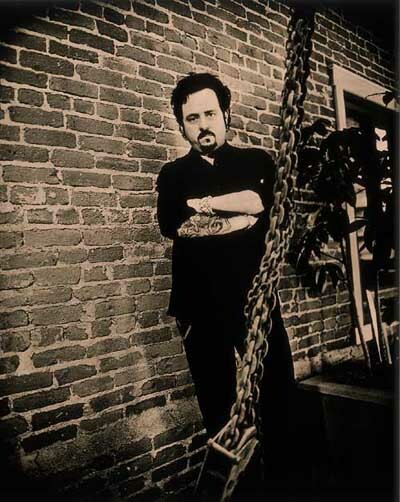 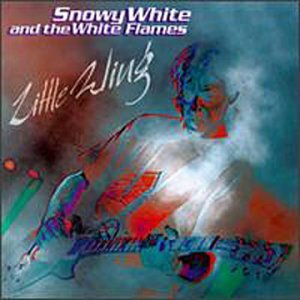 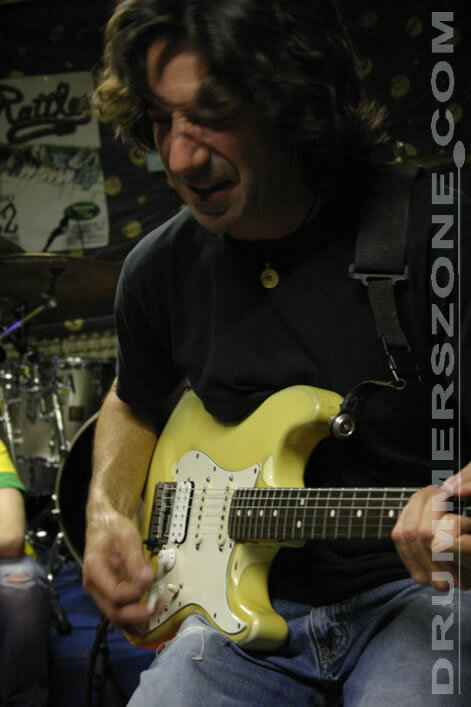 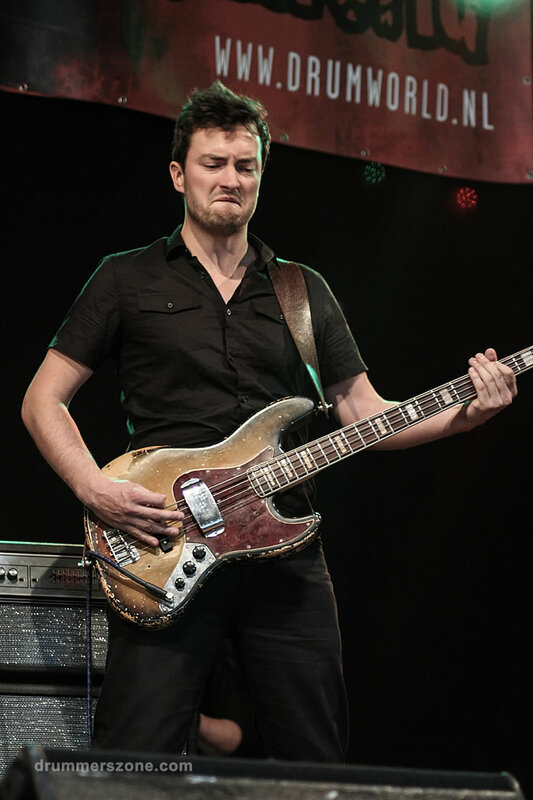 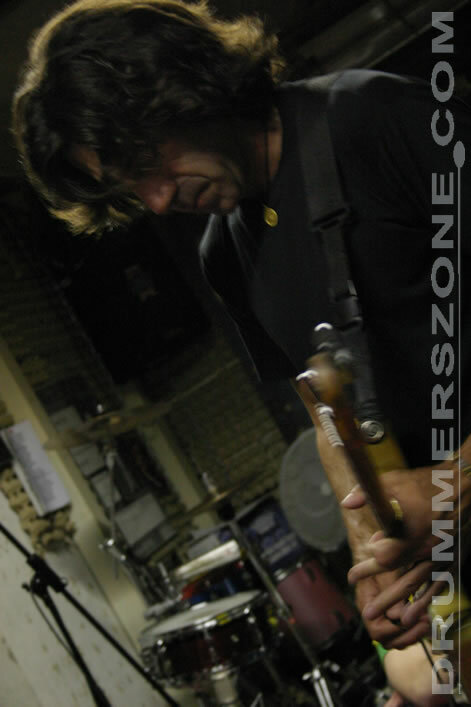 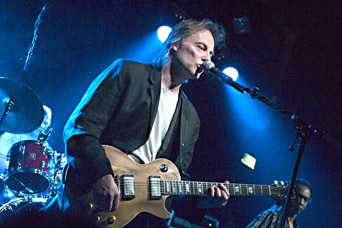 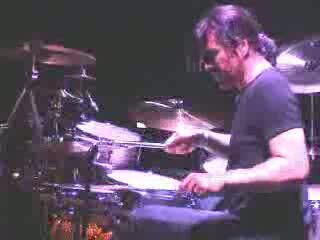 December 2001, he played with Steve Lukather in the Amsterdam Heineken Hall. 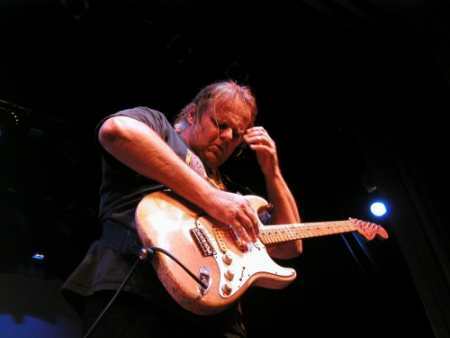 March 2002, an eight-concert tour with Walter Trout in Holland, as part of a tribute to Jimi Hendrix. 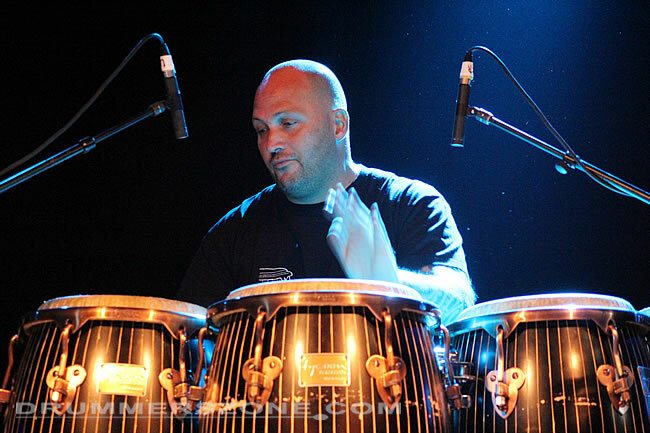 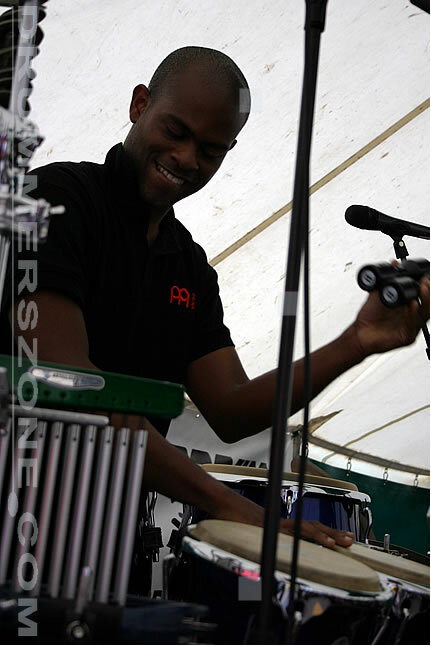 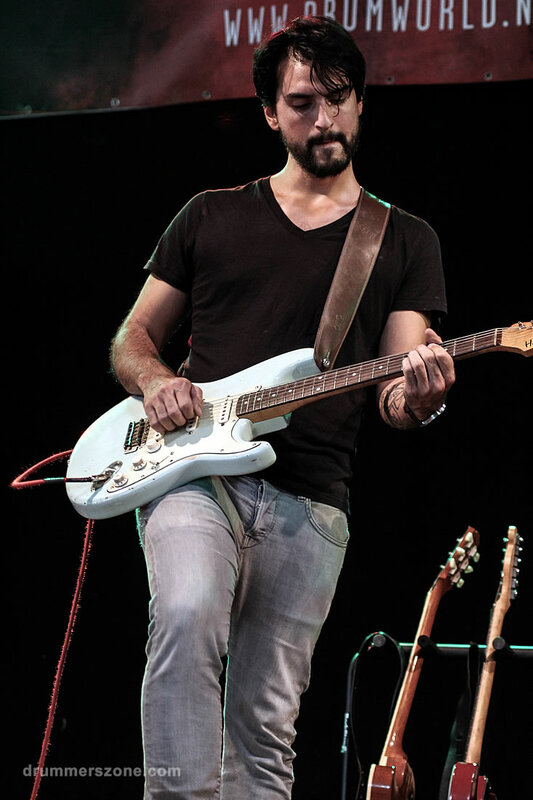 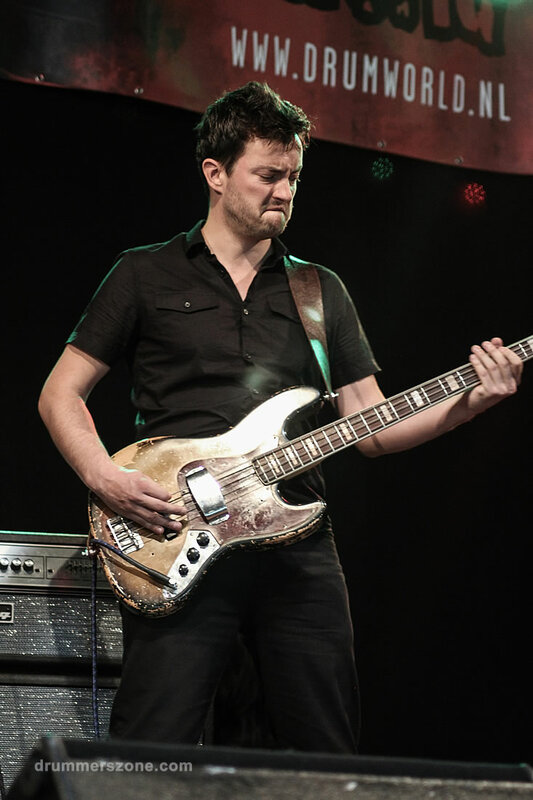 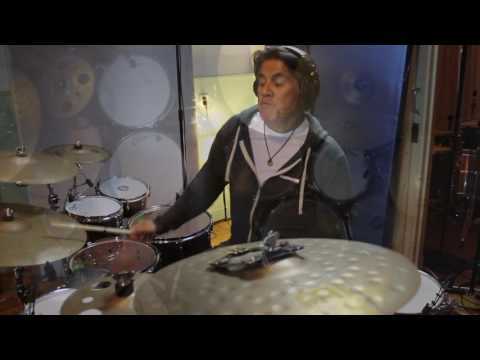 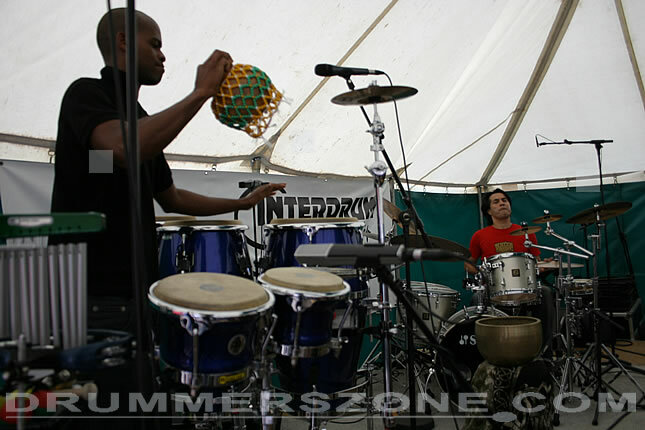 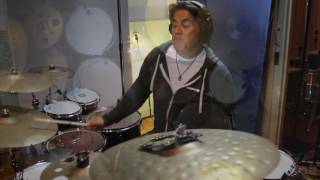 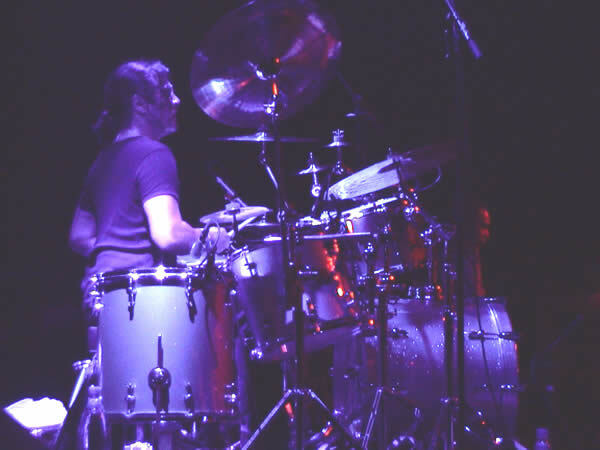 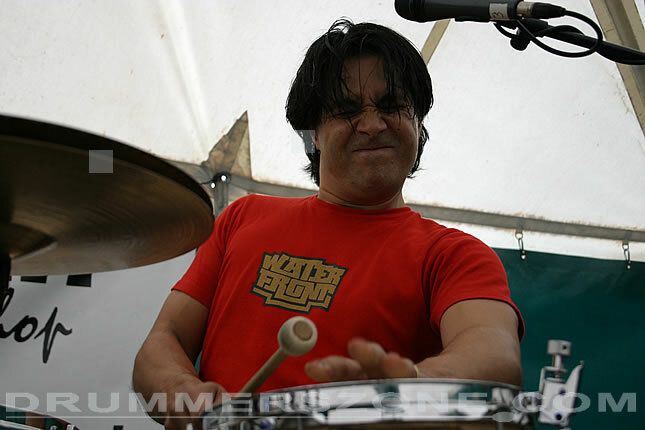 Although Juan's music is influenced by funk, jazz and Latin, his way of playing has turned into a strong grooving rock-based style, combined with percussion flavoured arrangements. 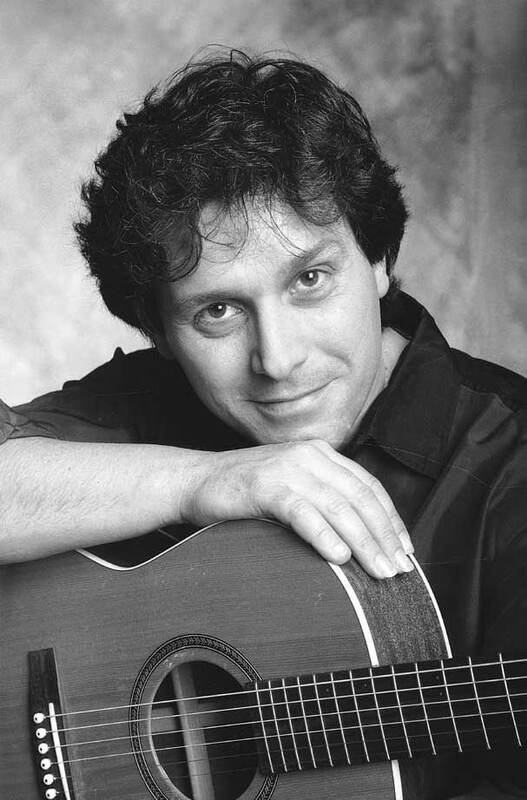 Having met acoustic guitarist Peppino D'Agostino (USA) in December of 1999 this created for Juan a new and exciting challenge. 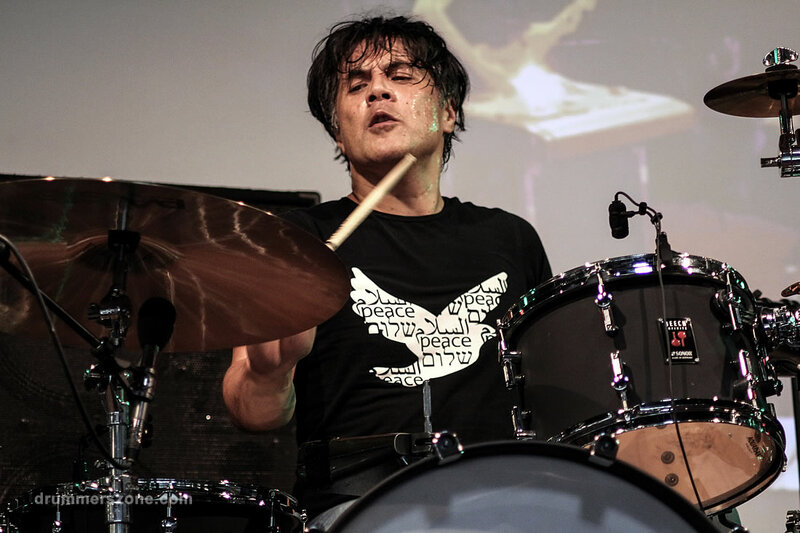 Working with Peppino meant 'the freedom to play more than just drums; by using more dynamics and even more colourful sounds.' 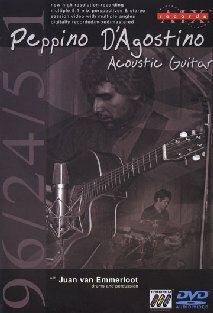 For these concerts Juan designed a special stage set-up that continues to serve his acoustic adventures and his outstanding creative imagination. 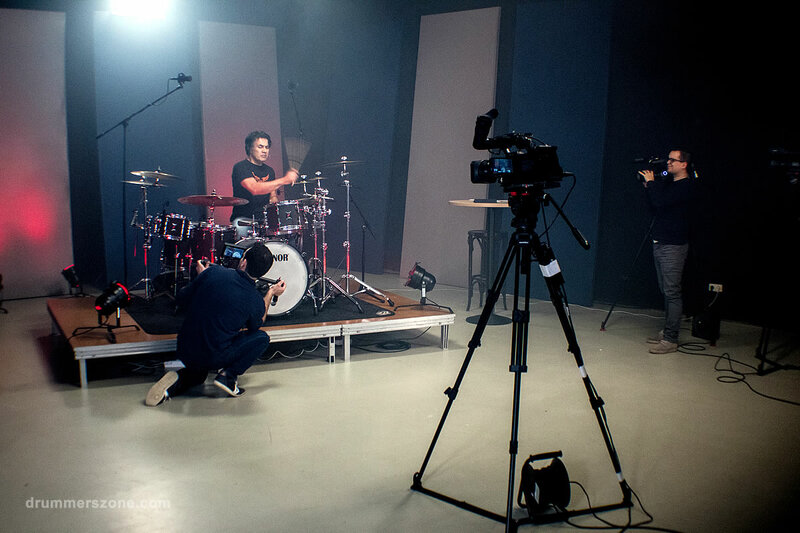 Study with us and improve your technical skills, learn to record 'one-take' sessions in the studio and become a respected PRO in the music business!